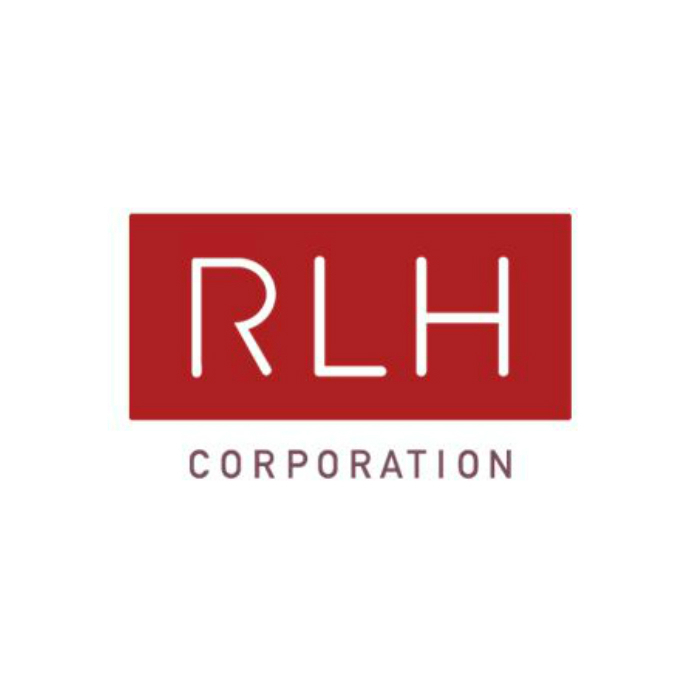 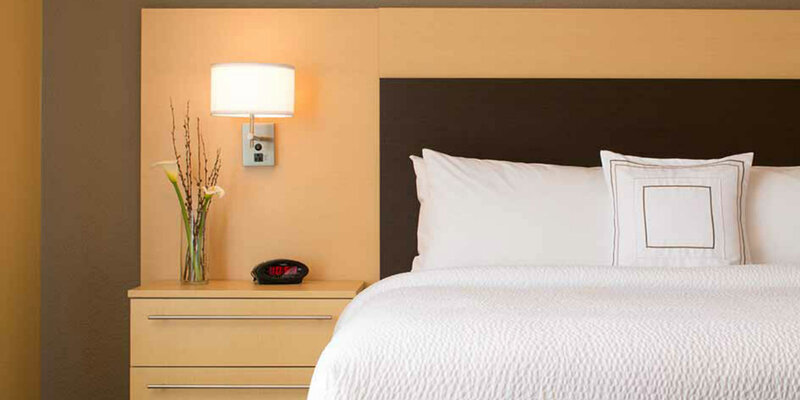 Our hotel management company portfolio represents the vibrancy and diversity of products in the market today. 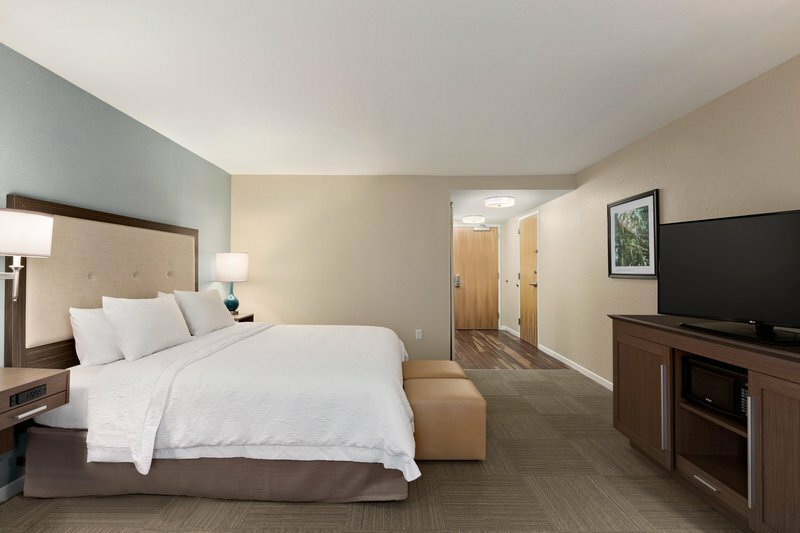 Take a look at our industry leading hotels across the U.S.
No properties for this filter selection. 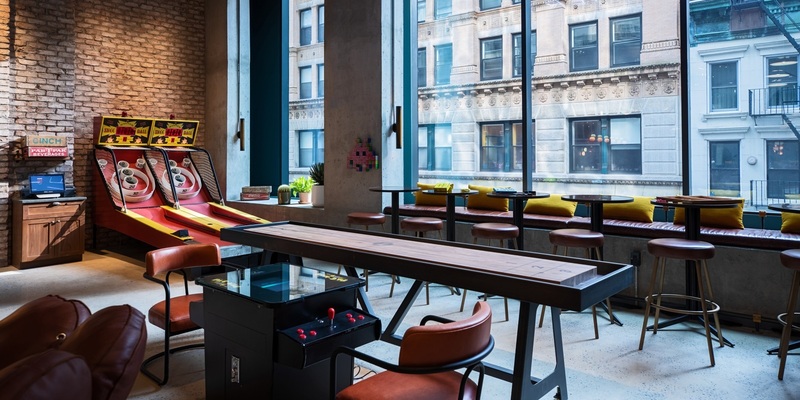 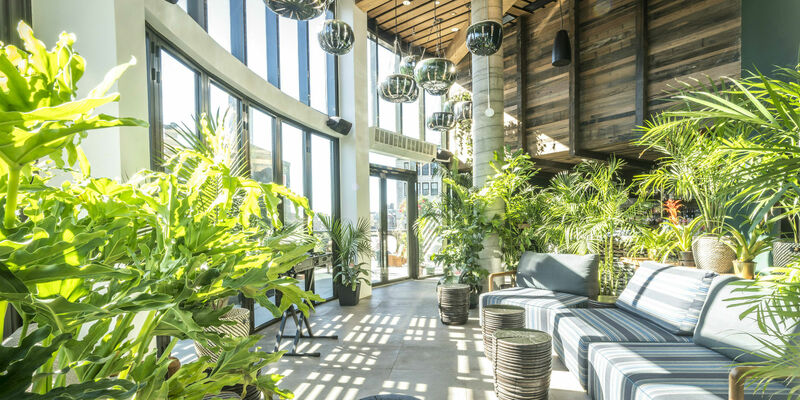 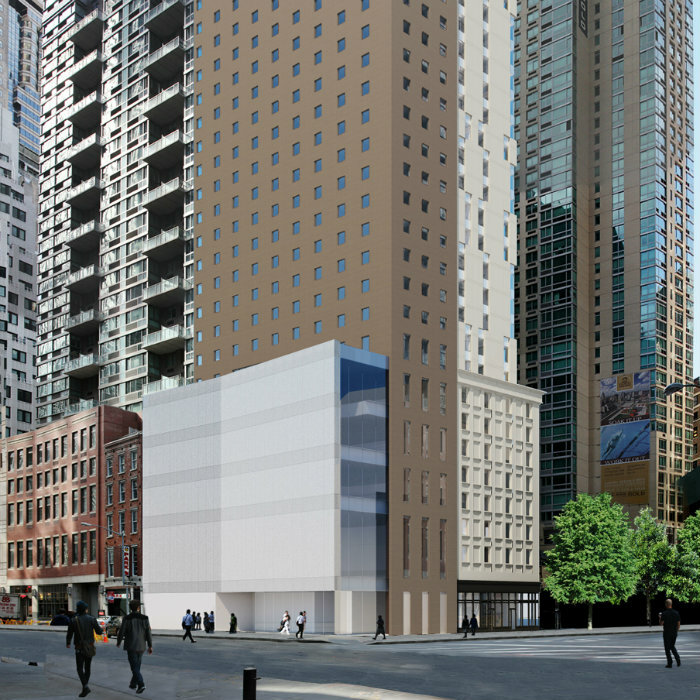 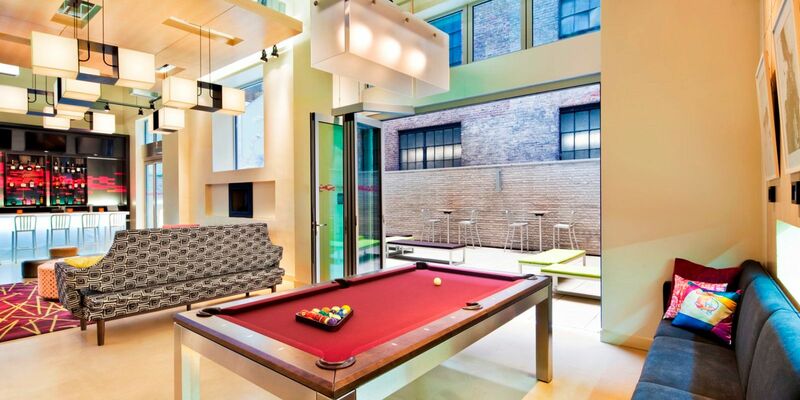 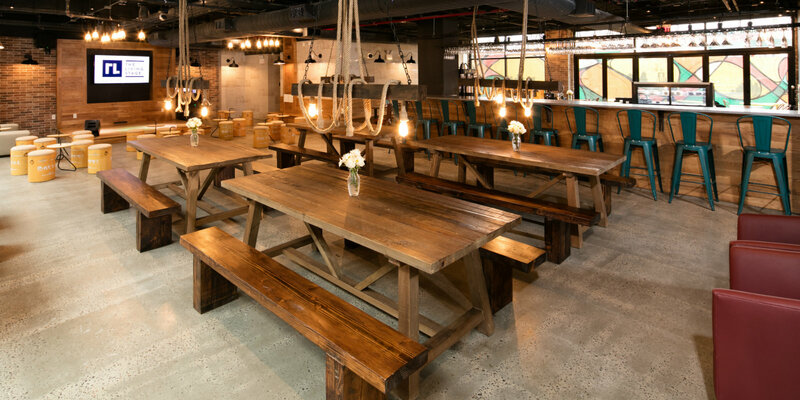 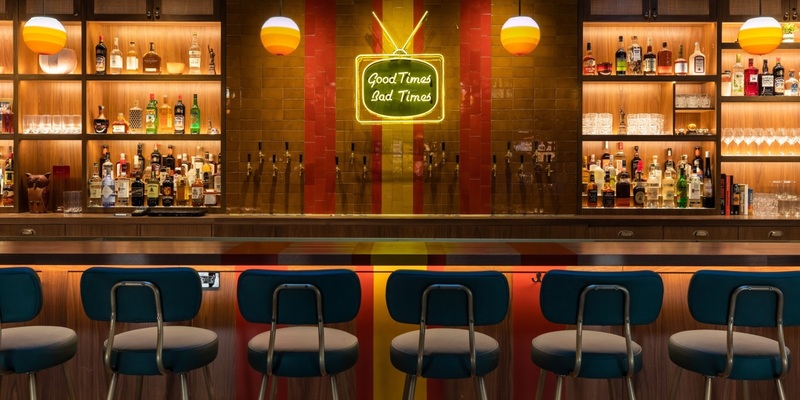 Play On at Lower Manhattan's hottest new addition, Moxy NYC Downtown. 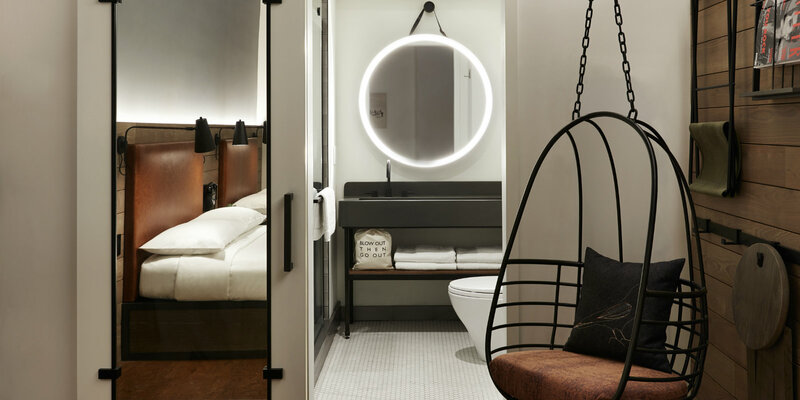 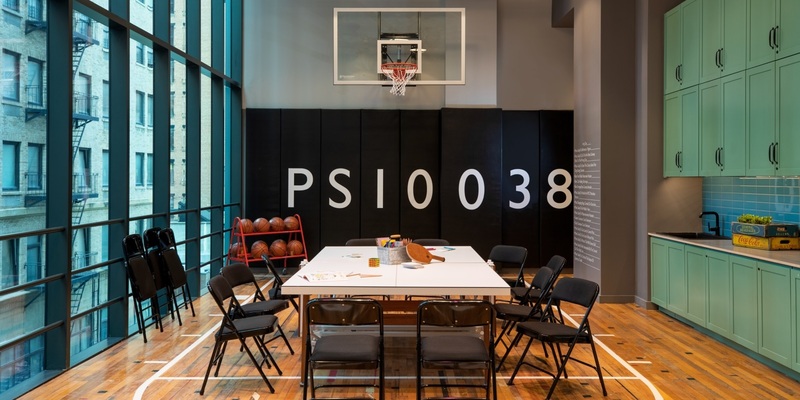 A hotel that breaks the rules by design - a basketball court, arcade, suspended chairs in guestrooms, and FiDi's largest LED window. 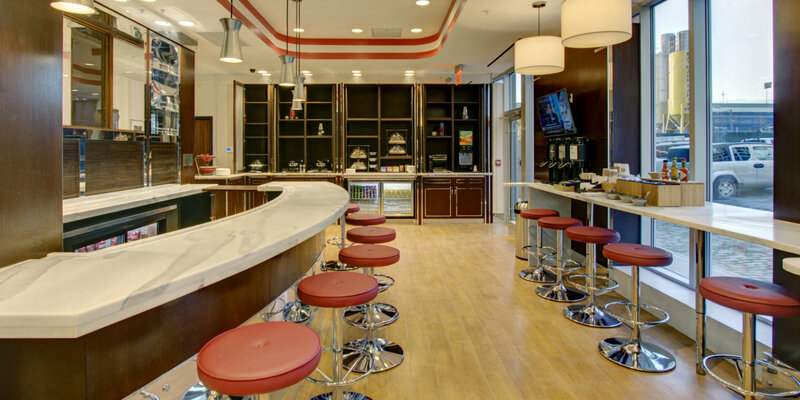 Indulge at Recreation, a 5,000 sq ft co-working and fun space with a bar, lounge, live dj's and craft cocktails. 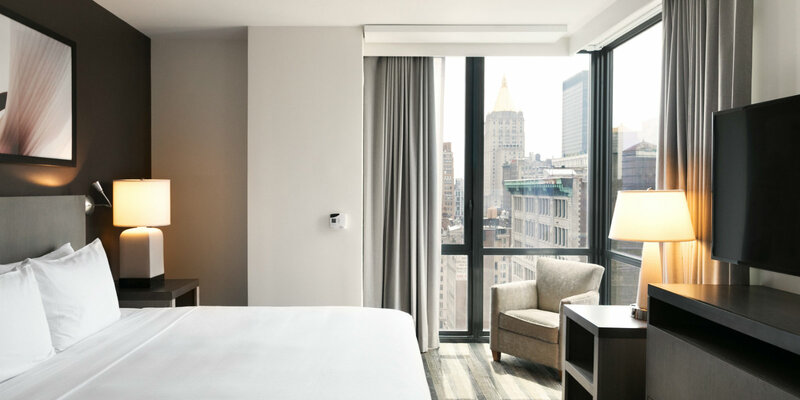 Walk to Wall St, the New York Stock Exchange, the 9/11 Memorial, and more from our hotel in lower Manhattan. 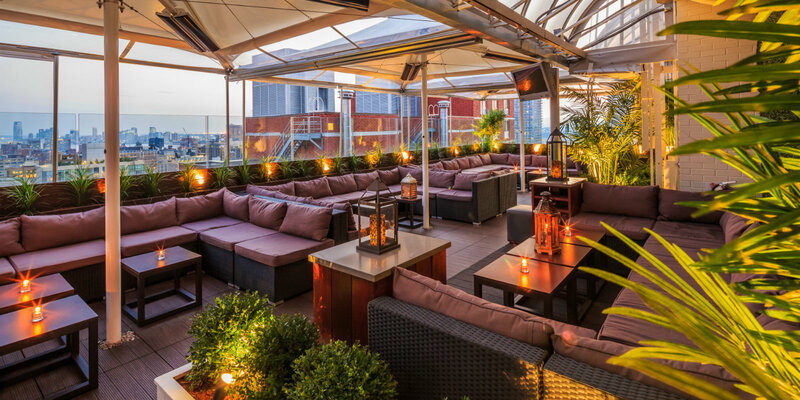 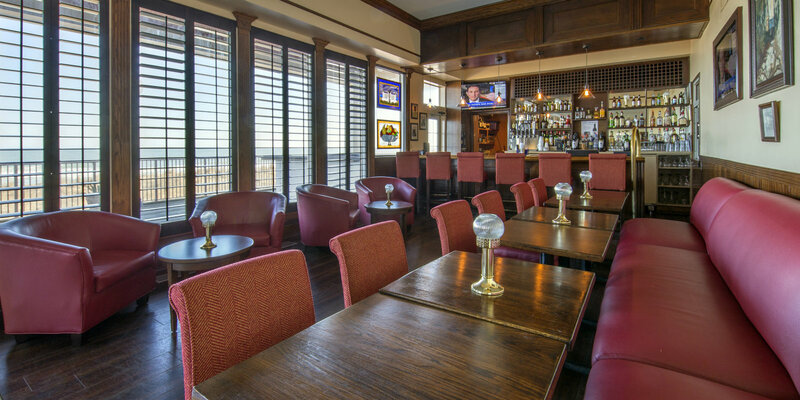 Entertain clients or relax after work at our very own, Ketch Brewhouse, where the indoor/outdoor options will set the backdrop for the perfect evening. 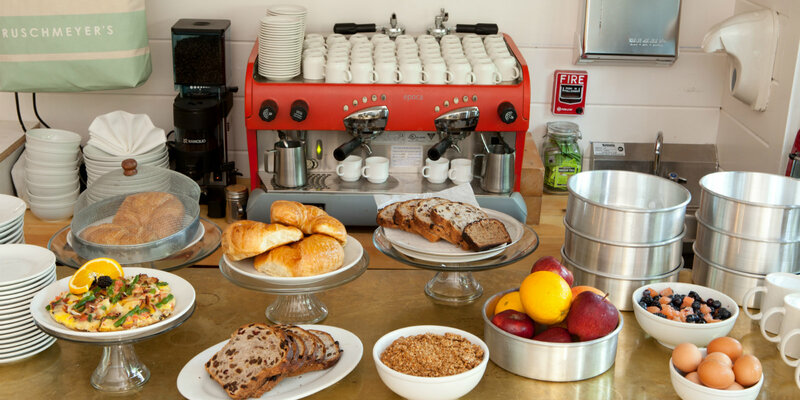 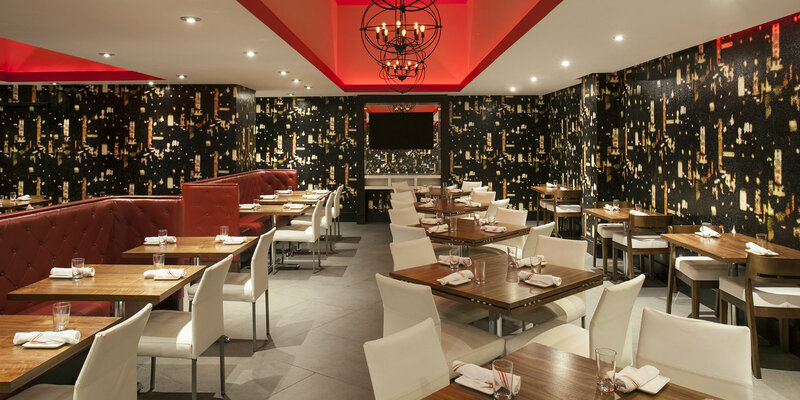 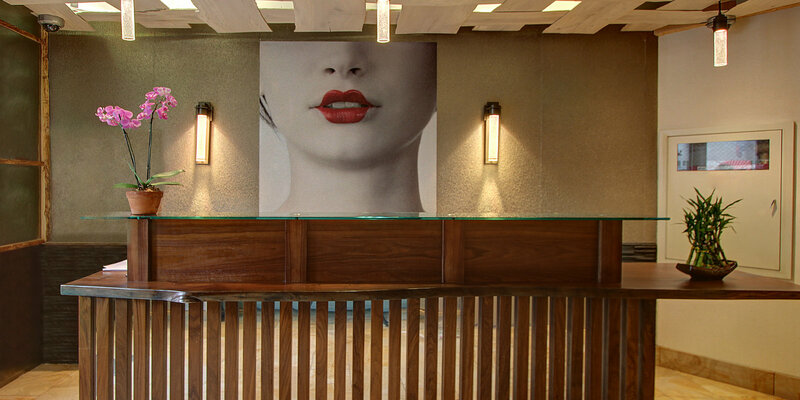 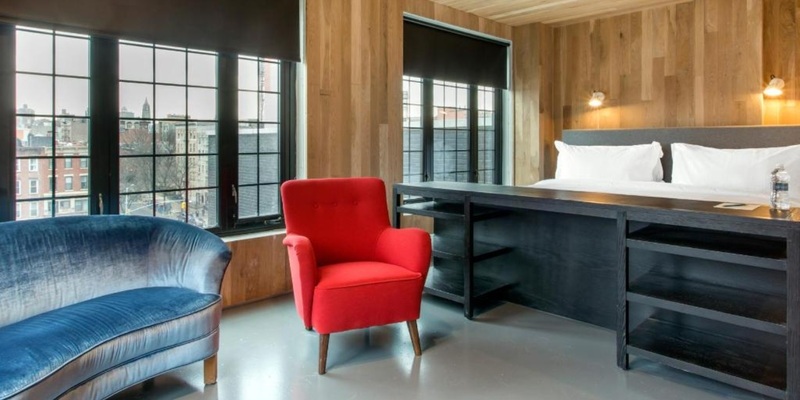 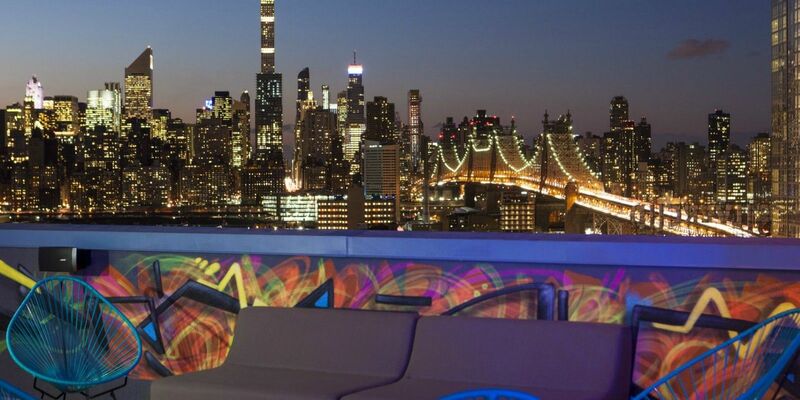 Brooklyn's most glamorous boutique hotel is undoubtedly Hotel Indigo. 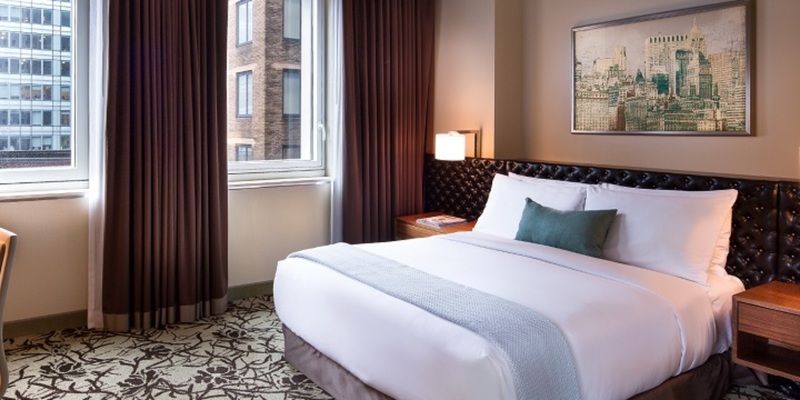 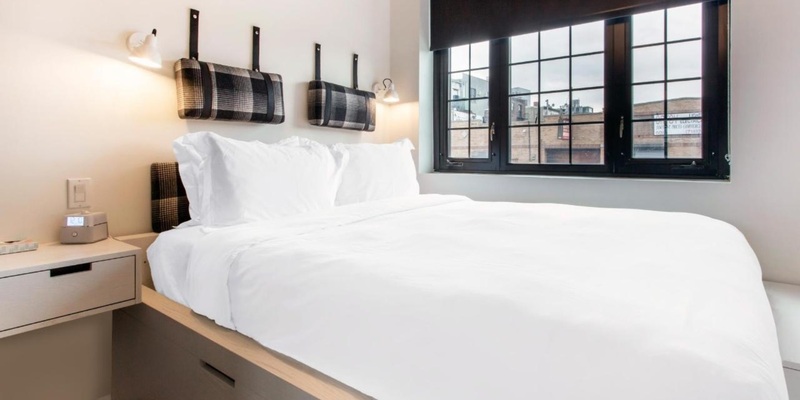 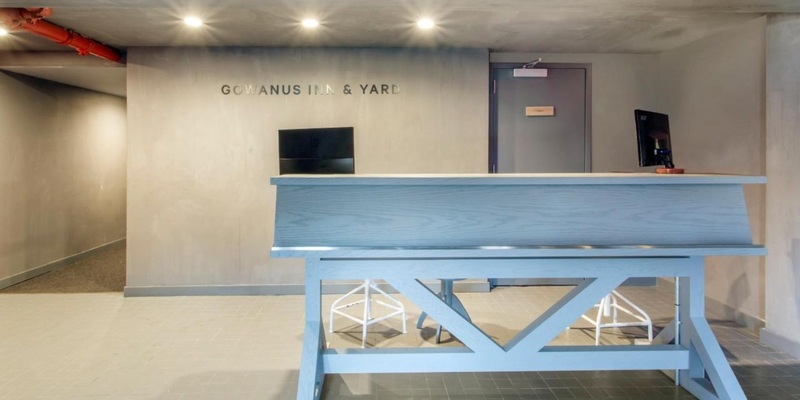 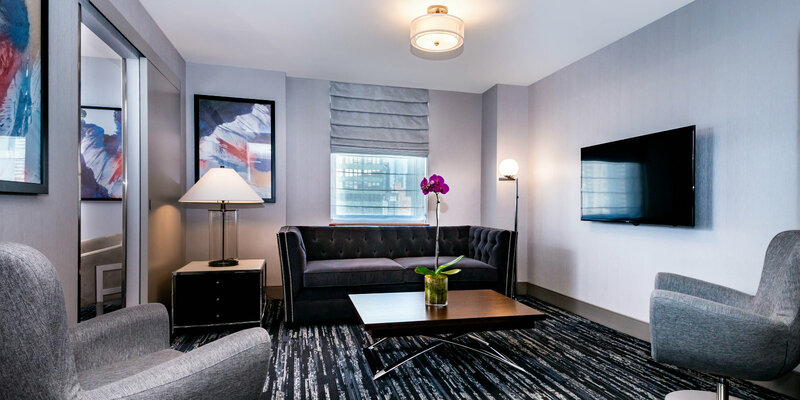 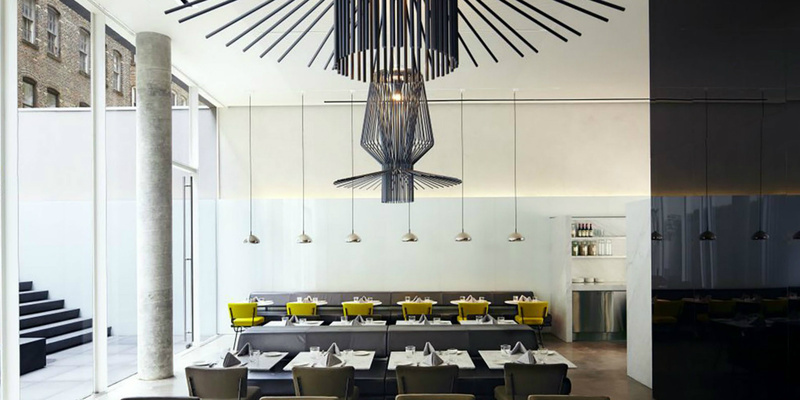 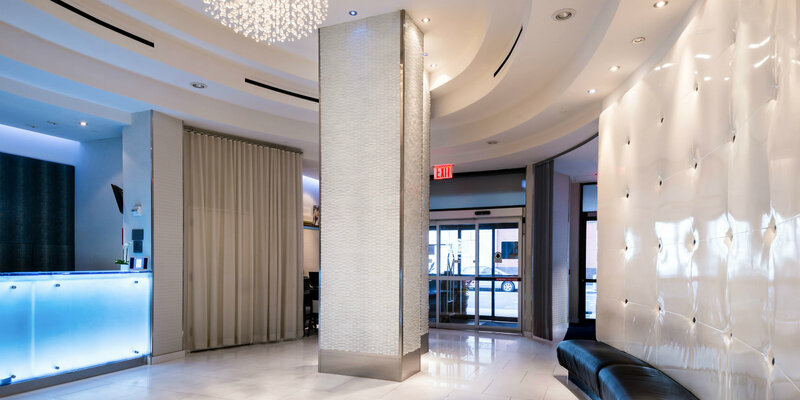 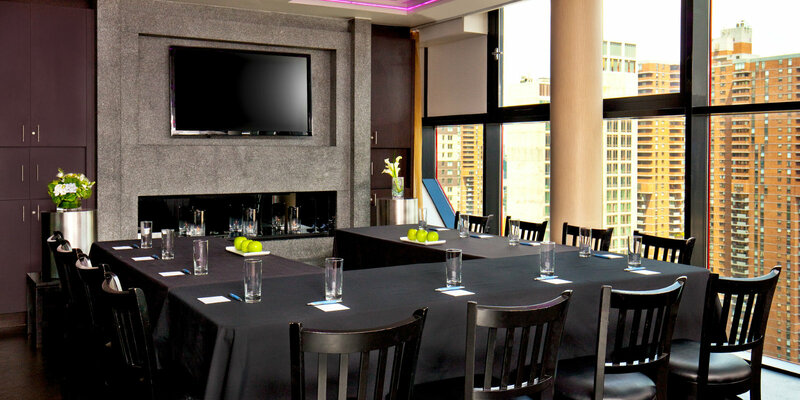 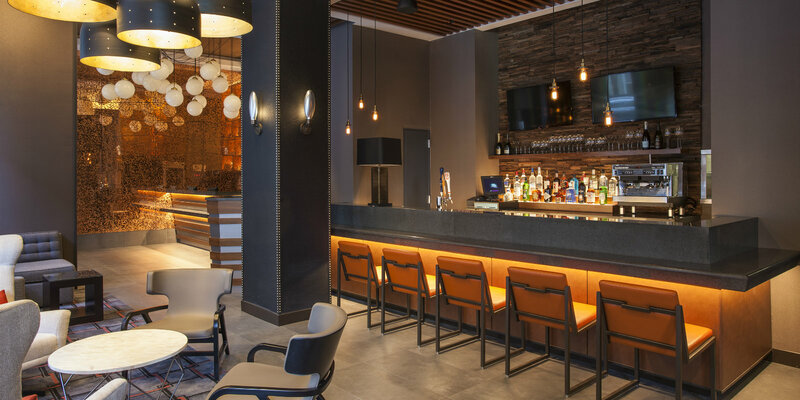 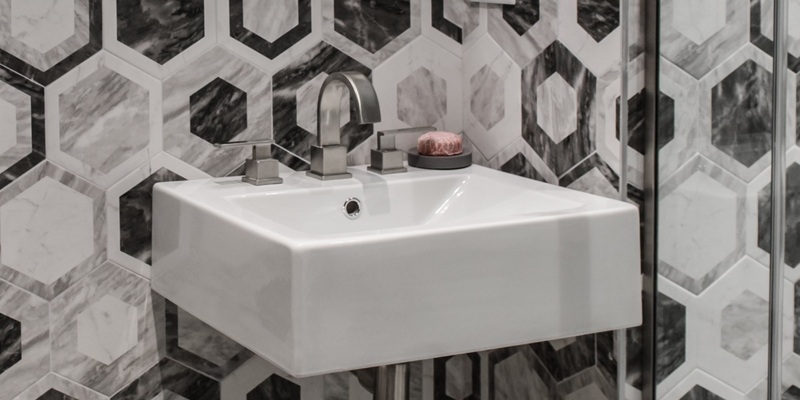 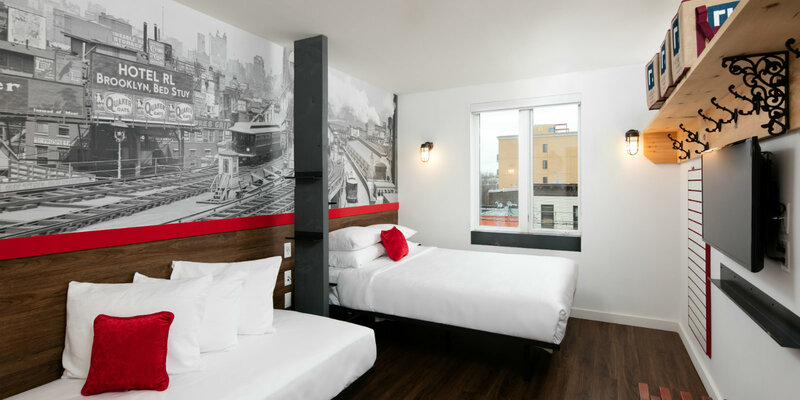 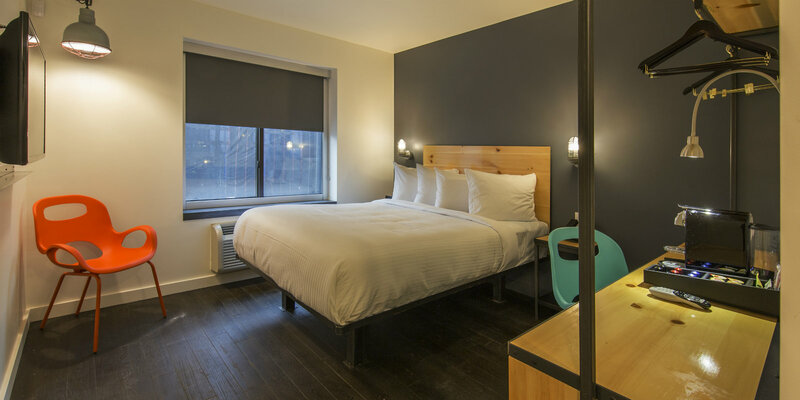 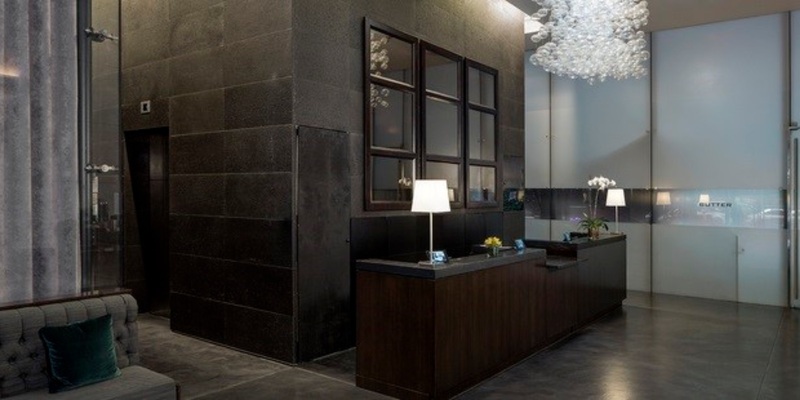 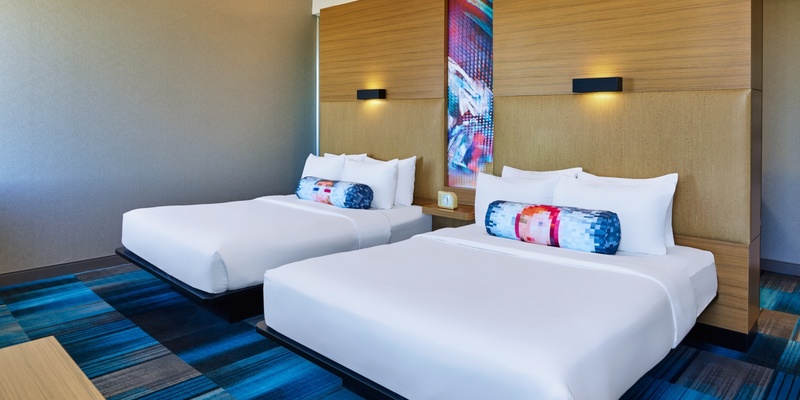 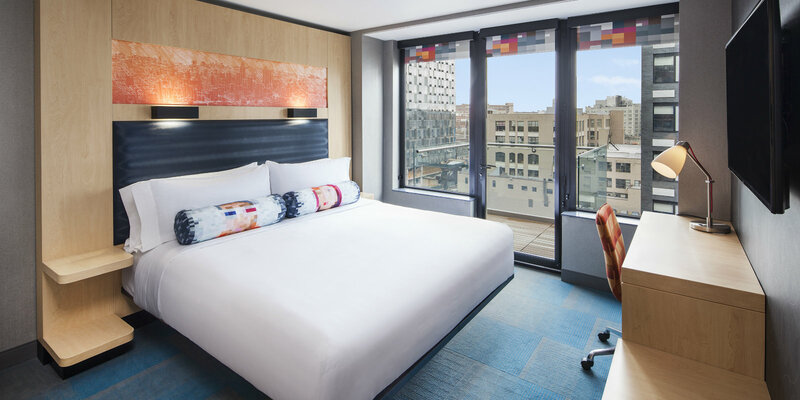 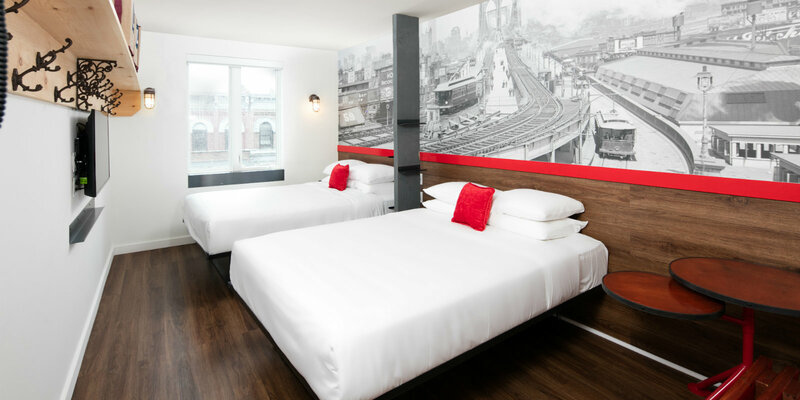 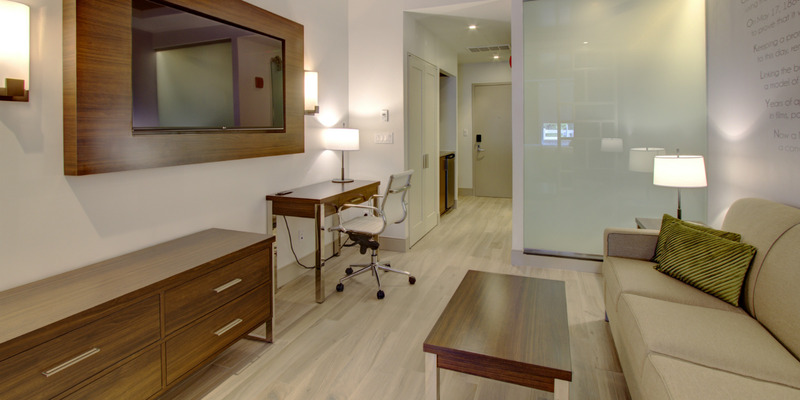 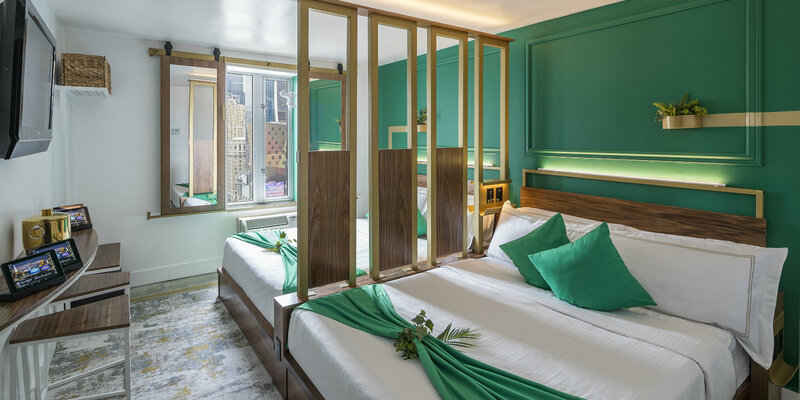 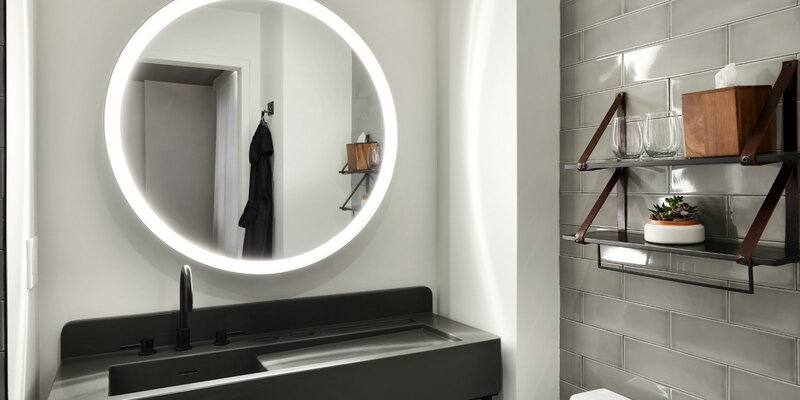 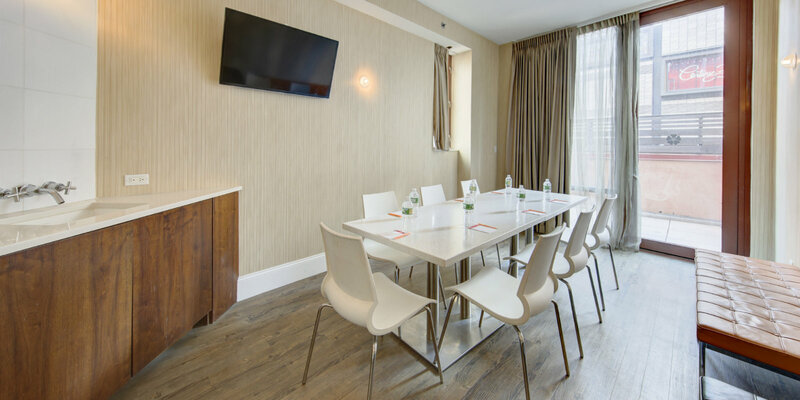 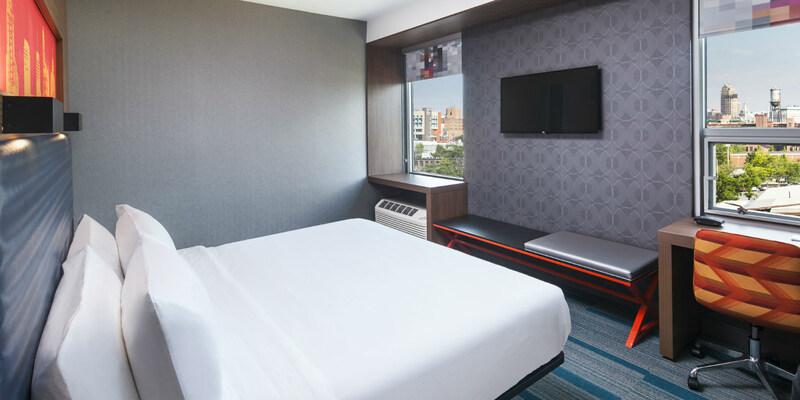 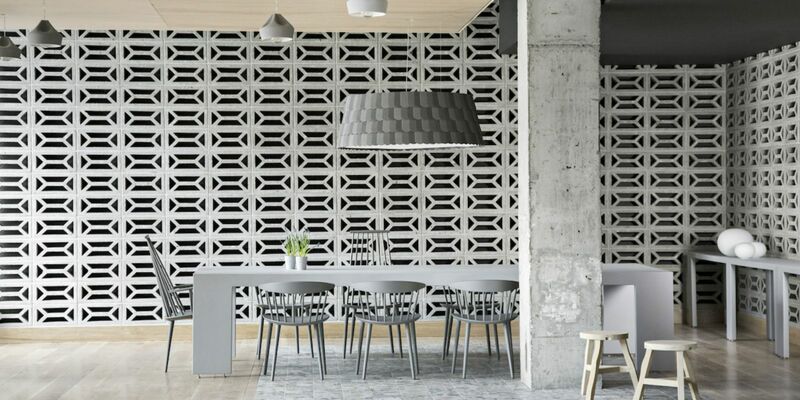 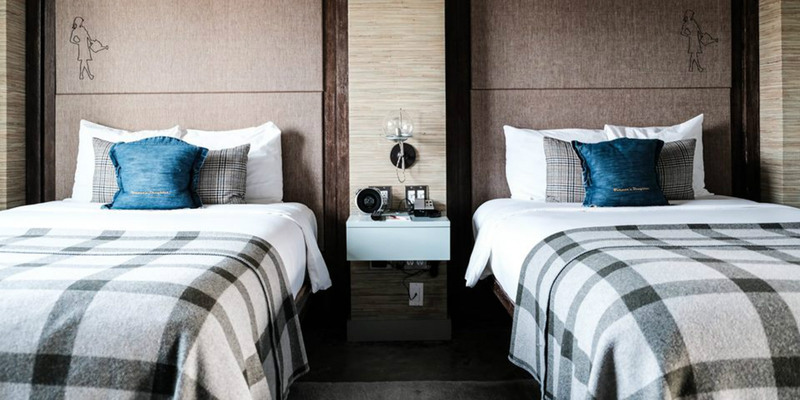 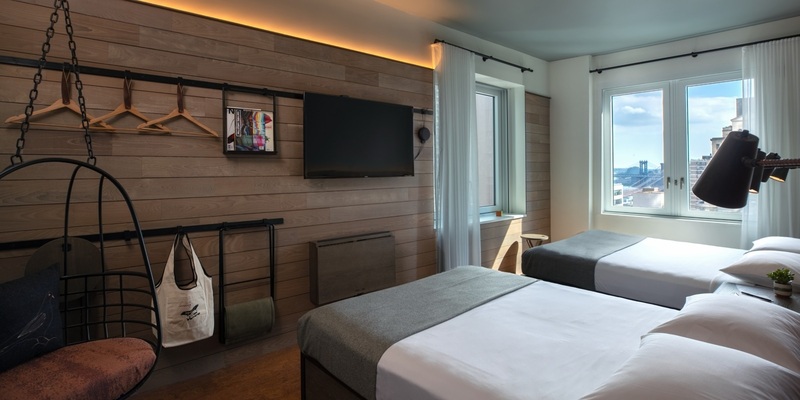 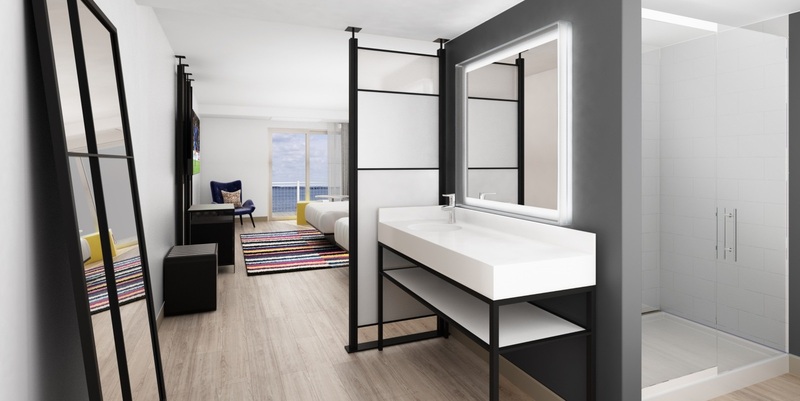 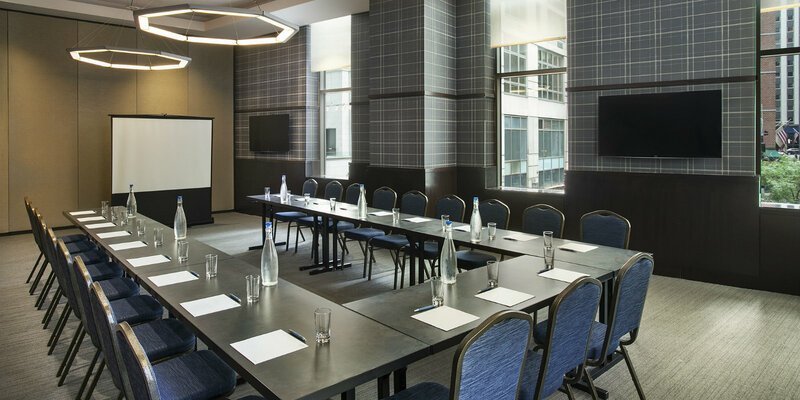 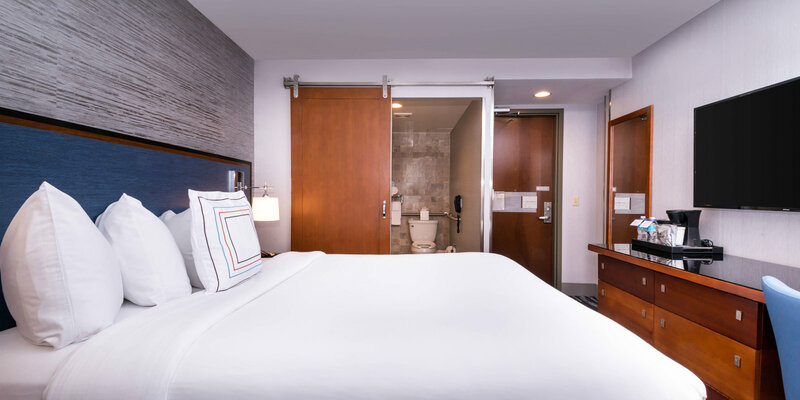 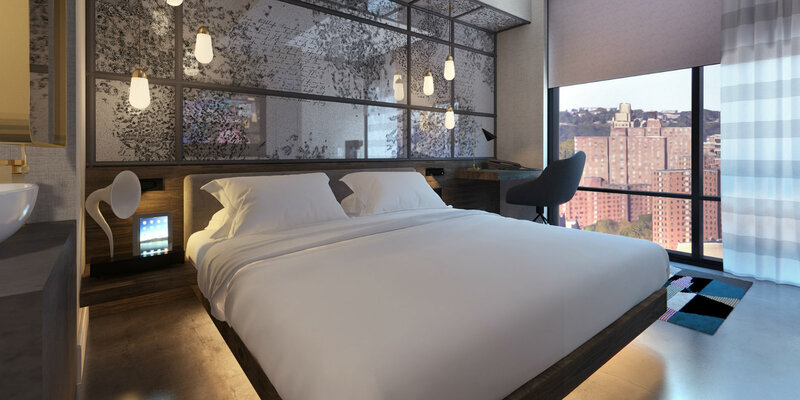 Bold, modern design gives this hotel a unique feel and a great downtown Brooklyn location allows for easy access to Barclays Center, BAM, Brooklyn Museum, and lower Manhattan. 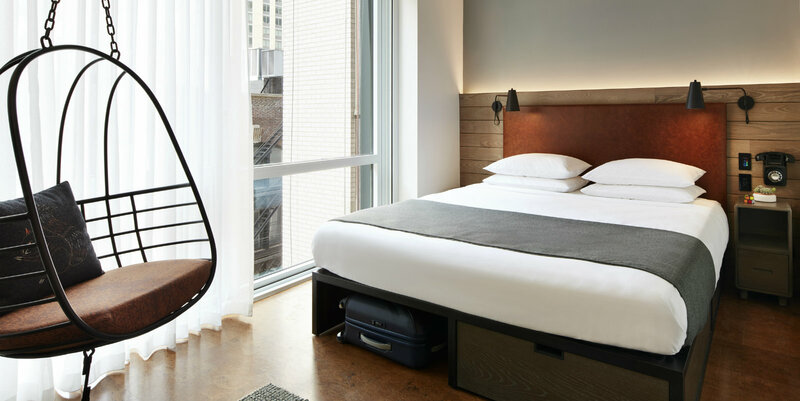 Venture beyond expectation in one of Boro Hotel's 108 guest rooms & suites where industrial design and modern comforts coalesce. 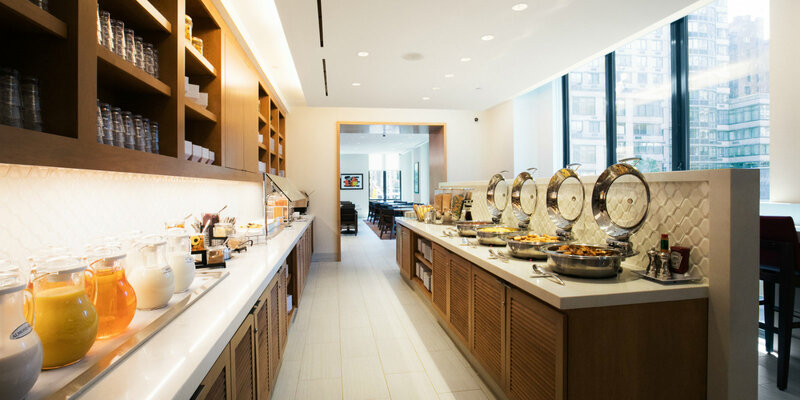 Style your New York City experience with stunning Manhattan views, breathtaking balconies, and decadent fare at our new eatery, Beebe's. 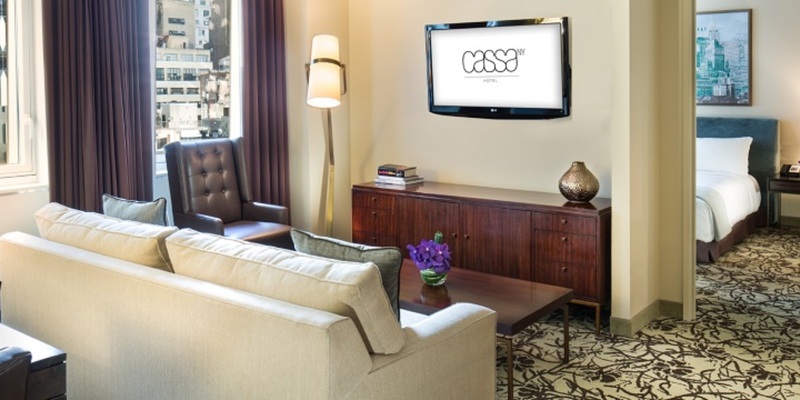 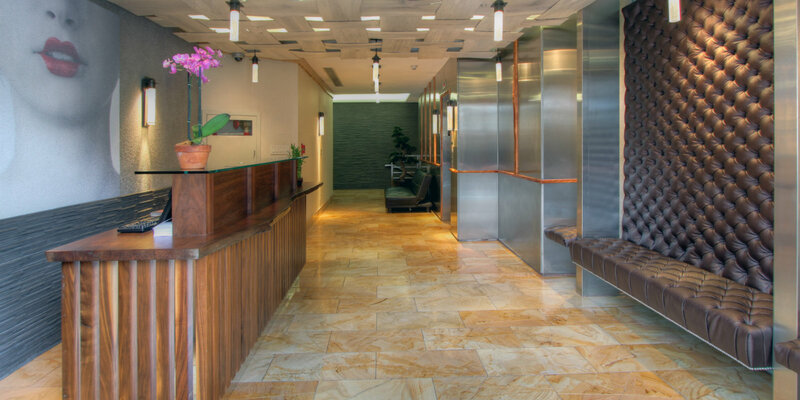 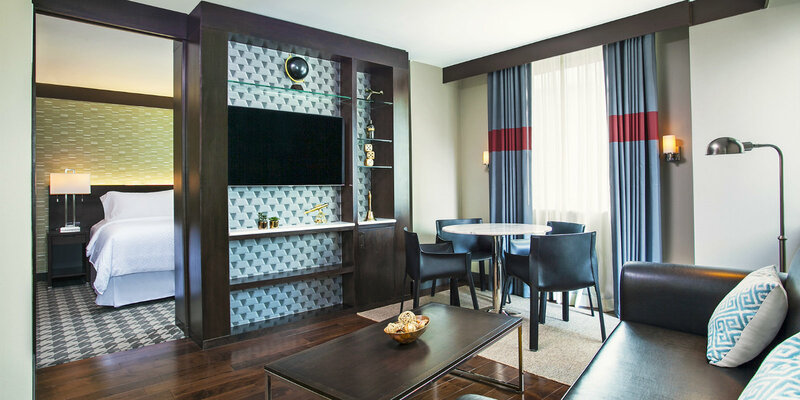 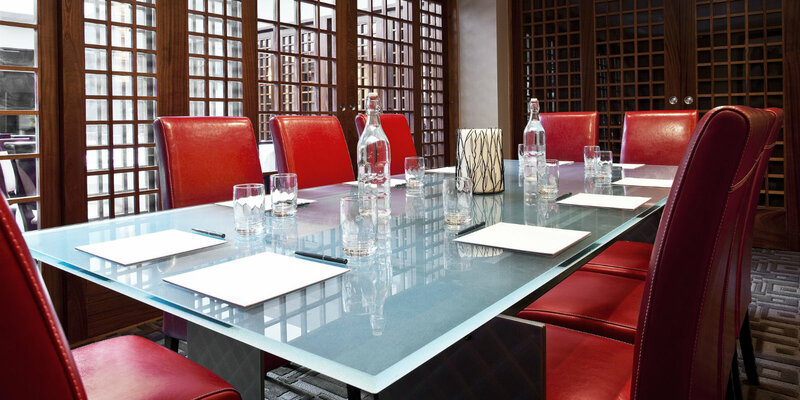 Cassa Hotel invites you to experience boutique elegance in the heart of Midtown Manhattan. 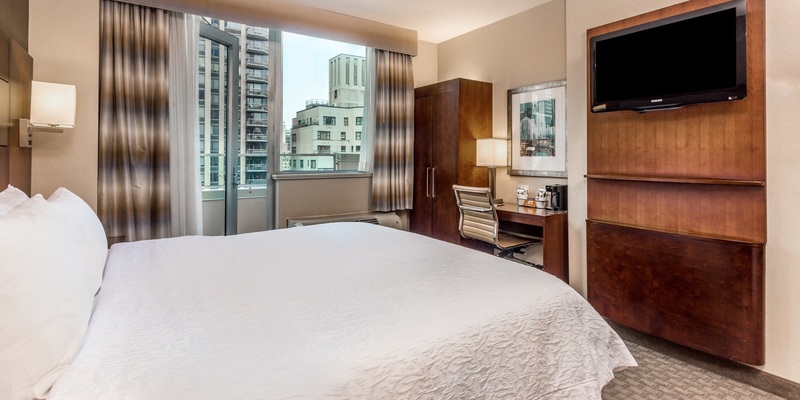 Walk to Times Square, Broadway Shows, and the Empire State Building from our perfectly situated hotel. 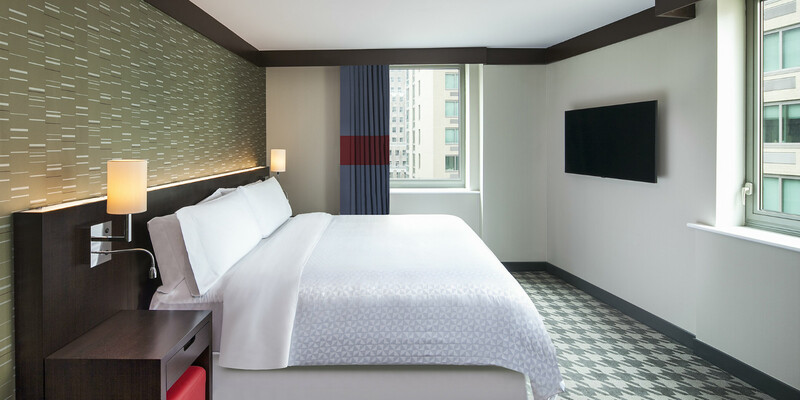 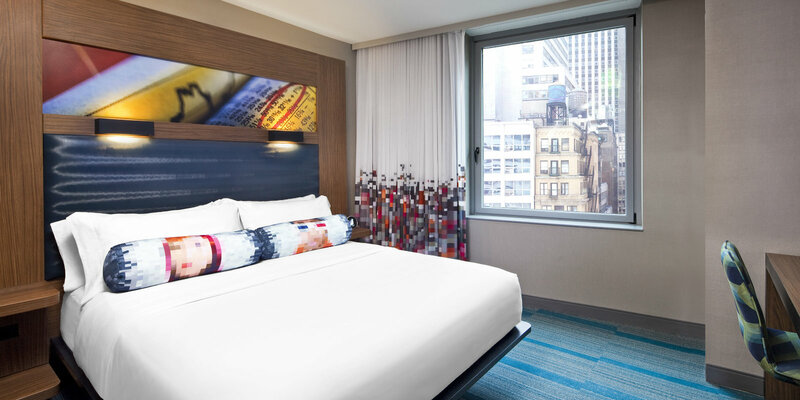 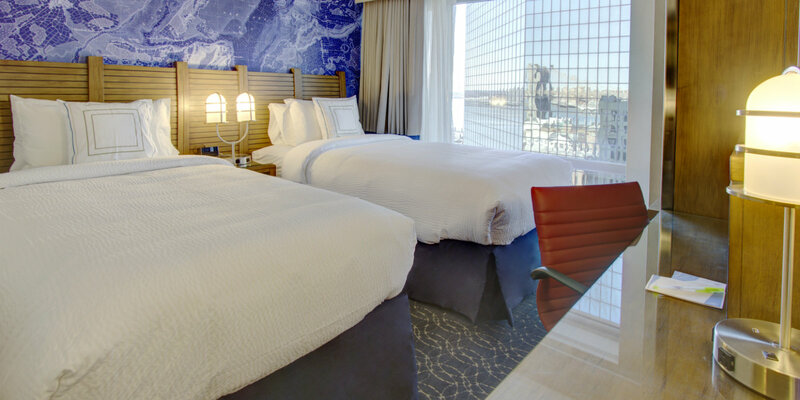 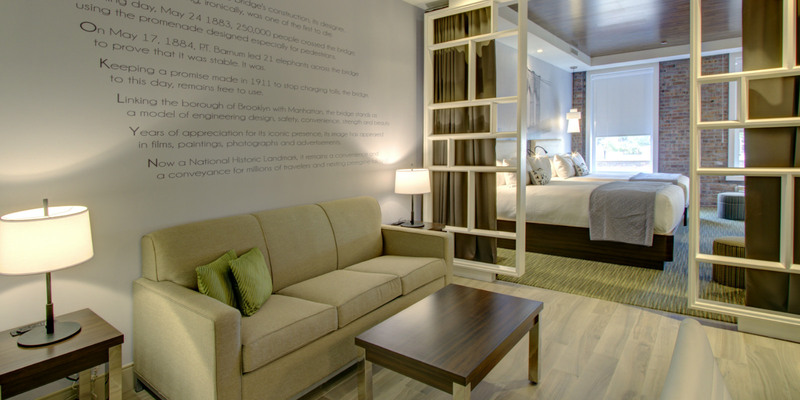 Enjoy plush bedding & modern design for a Big Apple experience to remember. 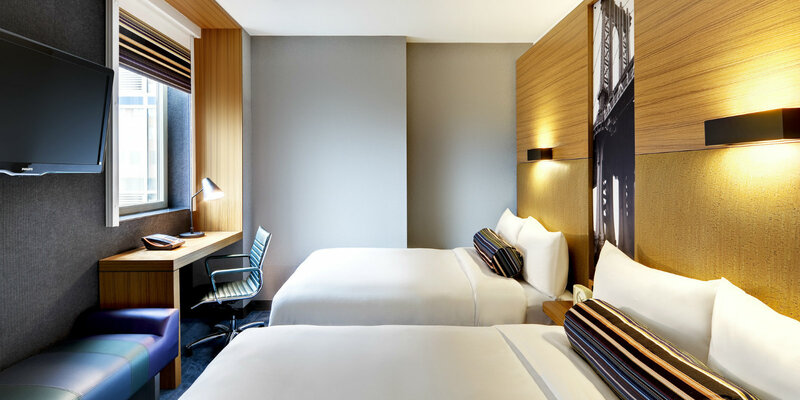 Tailor-made for contemporary, global minded travelers, MADE Hotel is where experience becomes the new luxury. 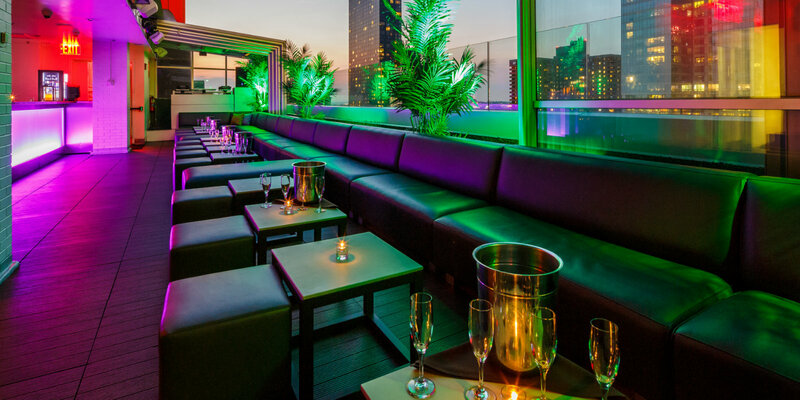 Ascend to our 18th floor bar & lounge this spring or spend the evening at Ferris, NYC's hottest new restaurant. 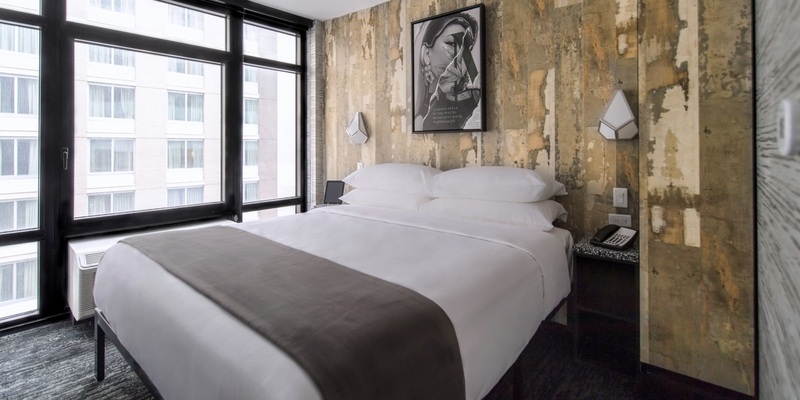 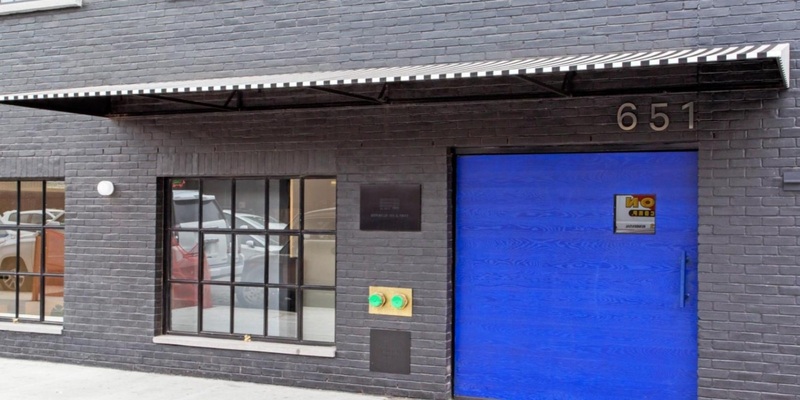 Tucked along the western edges of Manhattan’s Chelsea neighborhood, the center of the art world and home to hundreds of galleries, Hotel Americano’s 56 rooms inhabit one of the city’s last slices of cool authenticity. 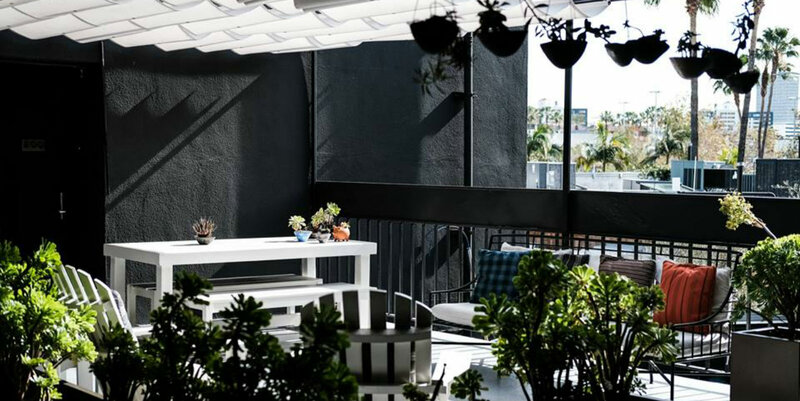 Our renowned restaurant, rooftop pool, and array of private event spaces have kept Hotel Americano a favorite among locals and travelers alike. 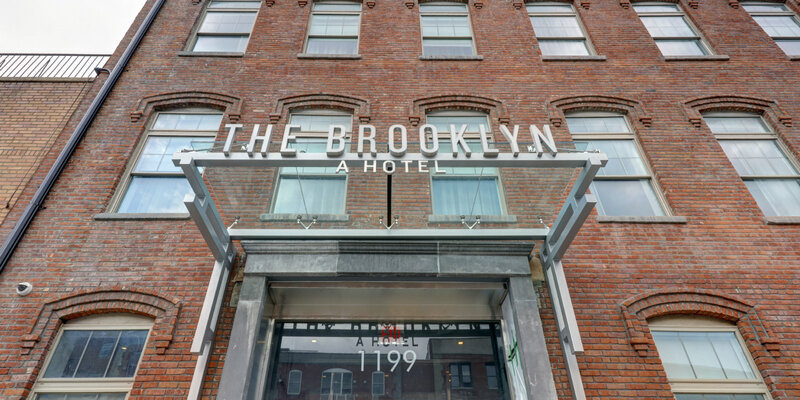 Nestled between the historic neighborhoods of Crown Heights and Bedford-Stuyvesant is Brooklyn's most upscale address. 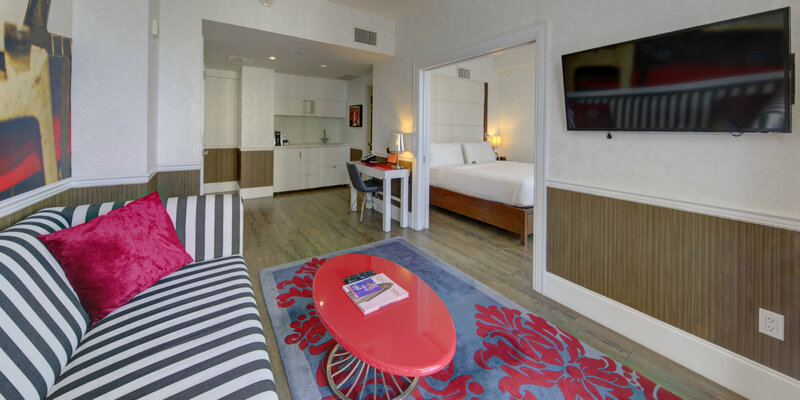 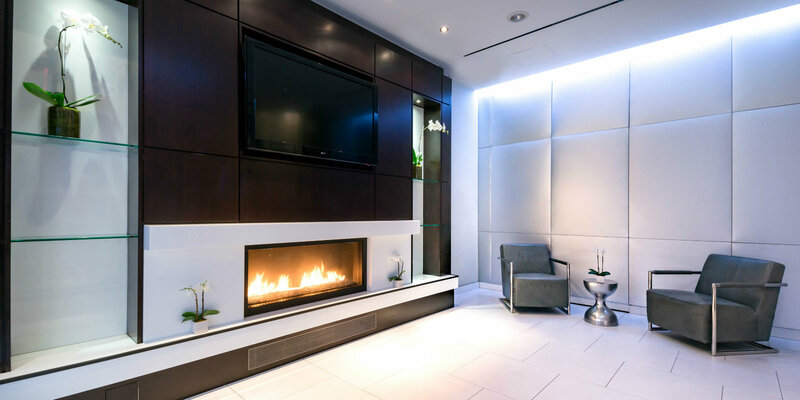 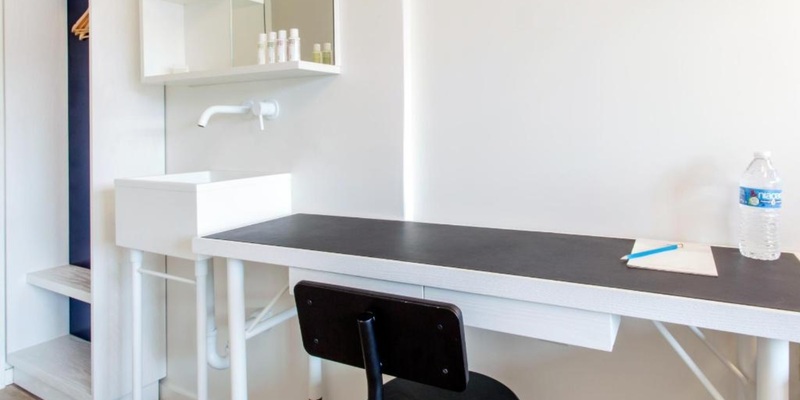 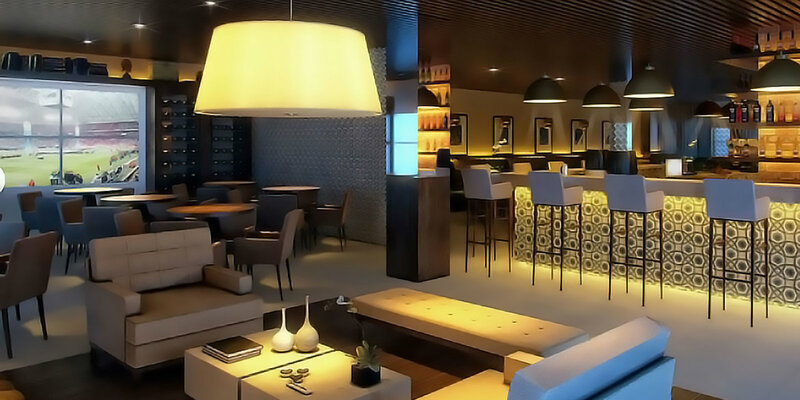 Indulge with sumptuous amenities & modern design at this 34 room boutique hotel. 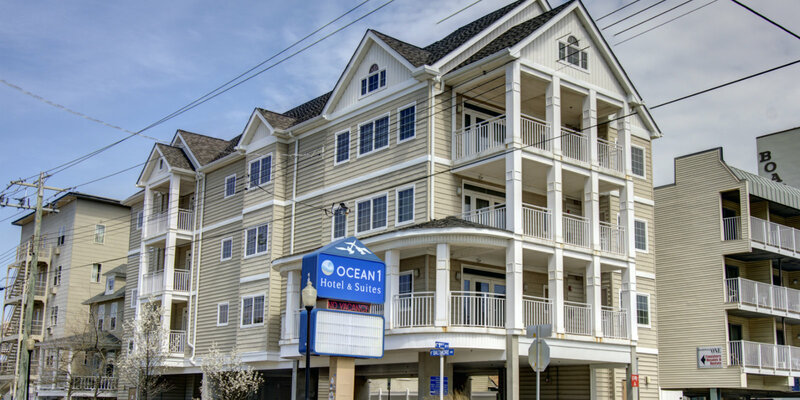 Ocean City's newest addition is ready for its summertime debut. 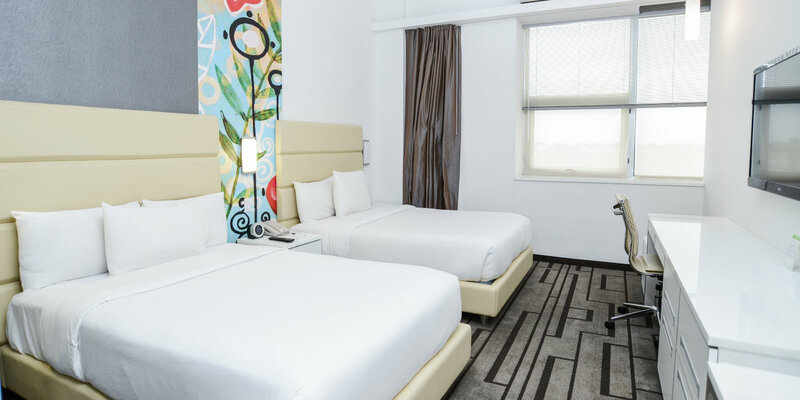 Be free to be you at Home2 with stylish suites, free breakfast, and a convenient location to get to the east coast's most renowned beaches. 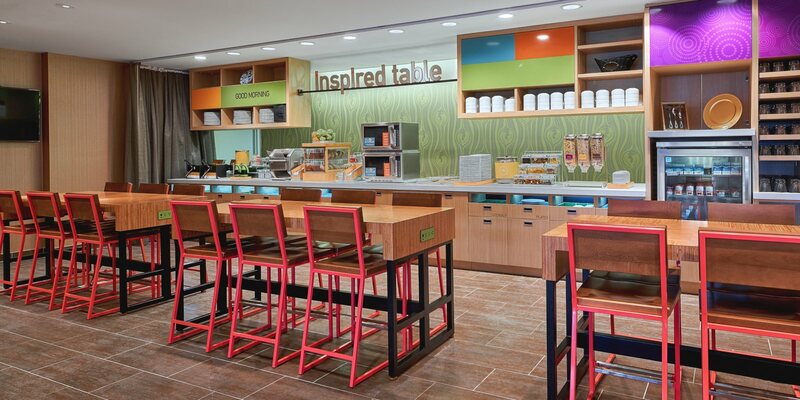 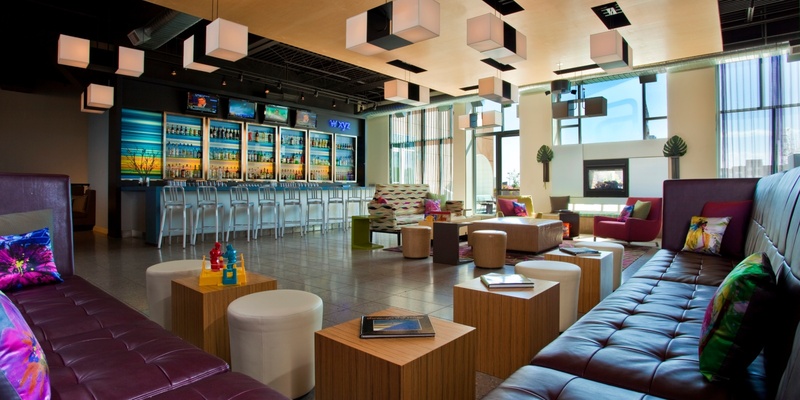 Spin your Syracuse stay towards the Inner Harbor at Aloft. 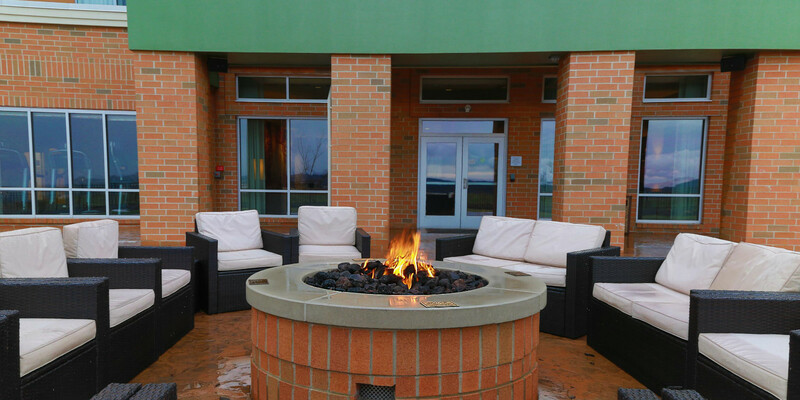 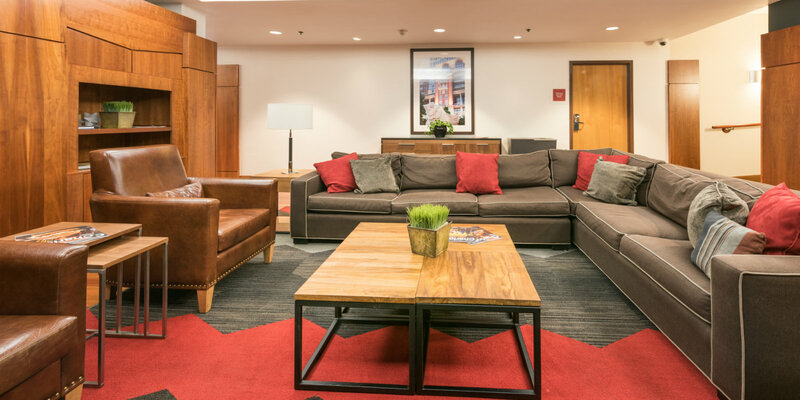 Walk to Destiny Mall, enjoy a concert at Lakeview Amphitheater, or cheer on your favorite Syracuse University team all from our boutique hotel. 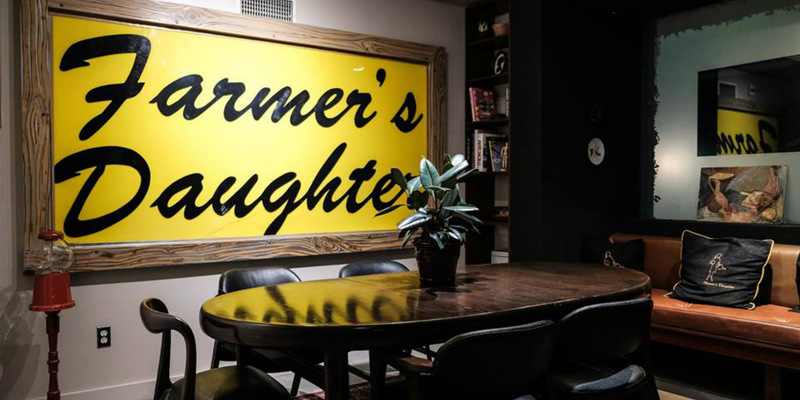 Farmers Daughter Hotel is an icon of the Fairfax district of Los Angeles where you'll find the original Los Angeles Farmers Market, The Grove CBS, and great dining. 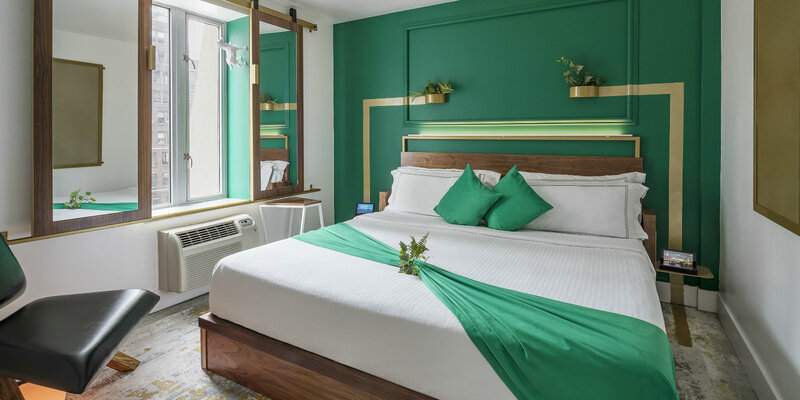 The vintage feel of this art-driven hotel is why it's a favorite among boutique hotel dwellers. 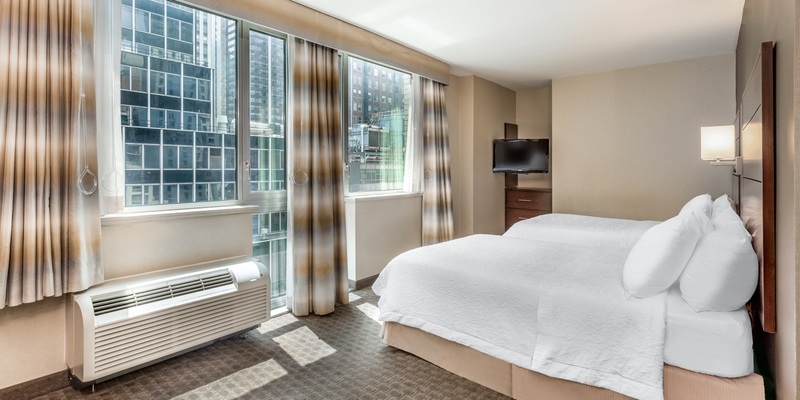 Situated in the heart of downtown Brooklyn and moments away from lower Manhattan, the Barclays Center and City Point, Sheraton is the perfect place for exploring downtown Brooklyn and beyond. 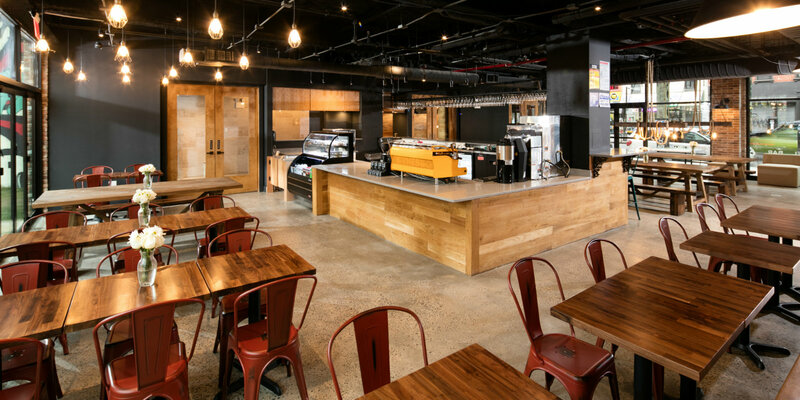 Wander the quaint streets of Cobble Hill, make the scene at Williamsburg's Brooklyn Bowl or take care of business at MetroTech Center. 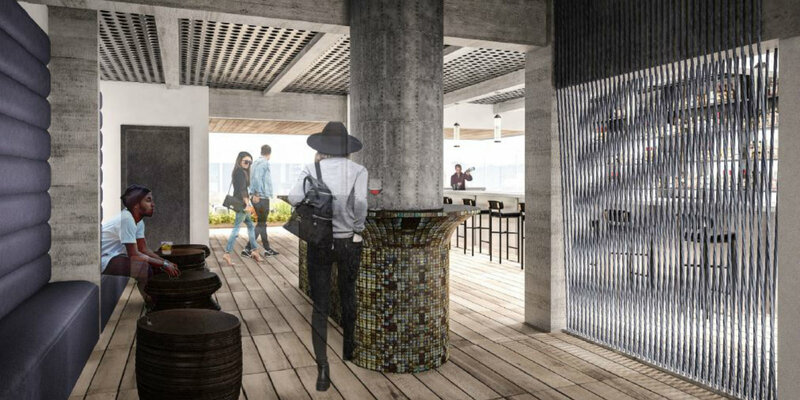 Under Development - Opening in Summer 2019. 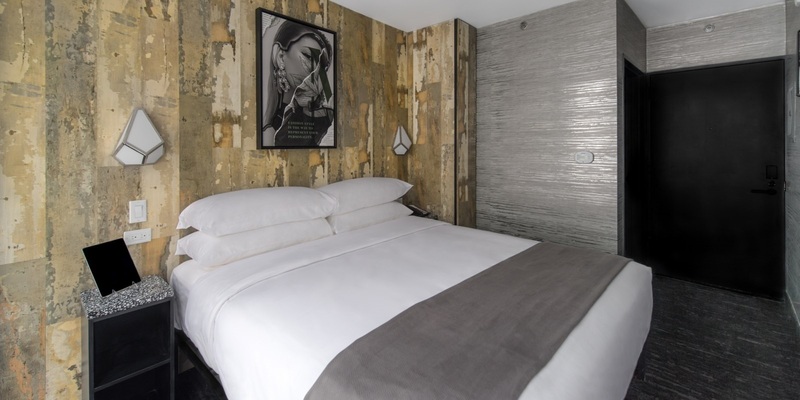 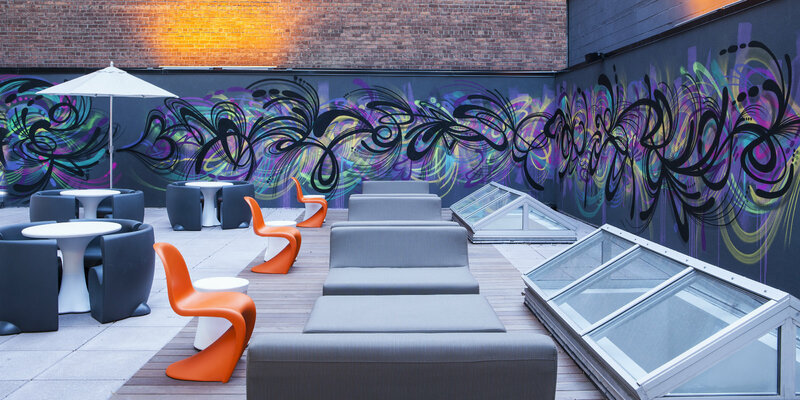 Bushwick's first boutique hotel boasts custom murals at every turn from local artists. 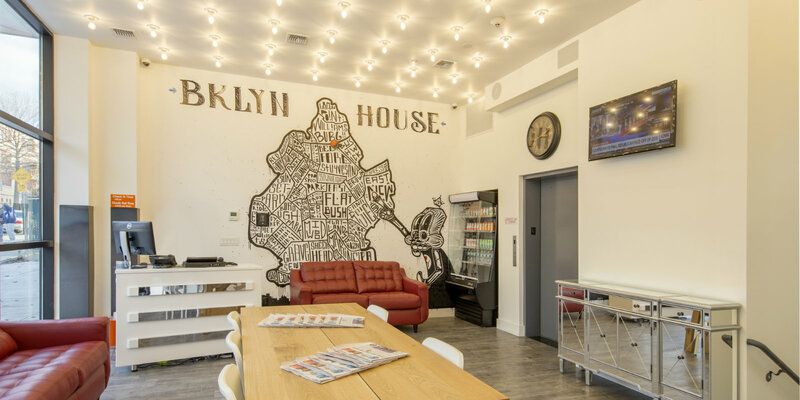 Stay close to Williamsburg, downtown Brooklyn, and lower Manhattan and discover why Bushwick is the creative hub of New York City. 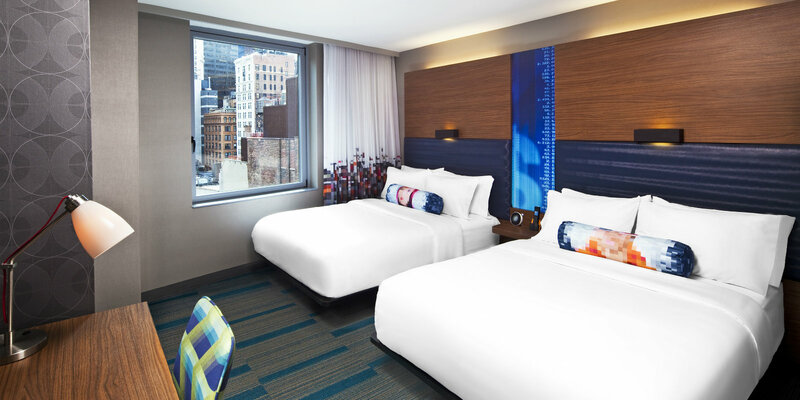 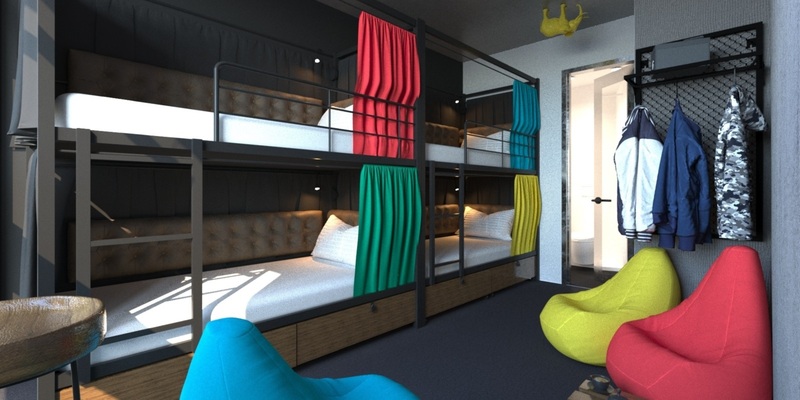 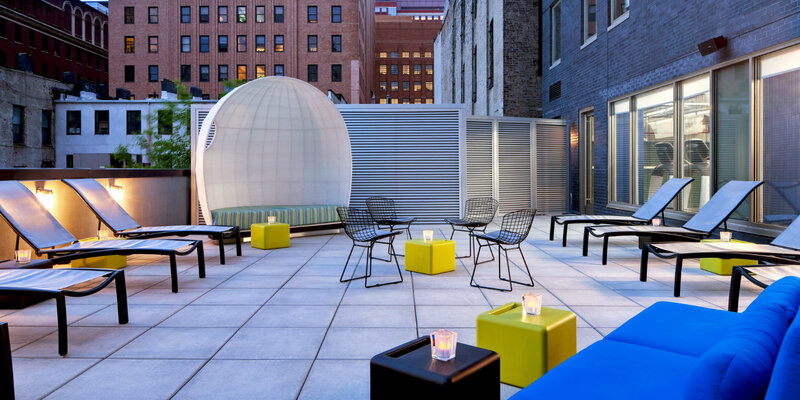 Dive into a new day at this Aloft Hotel in the Financial District of NYC. 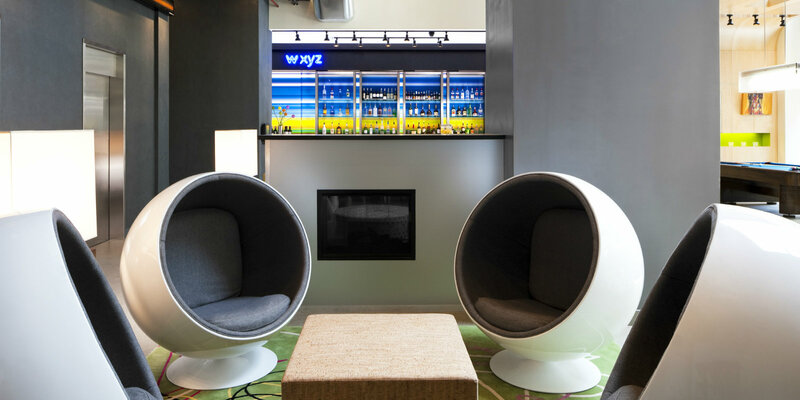 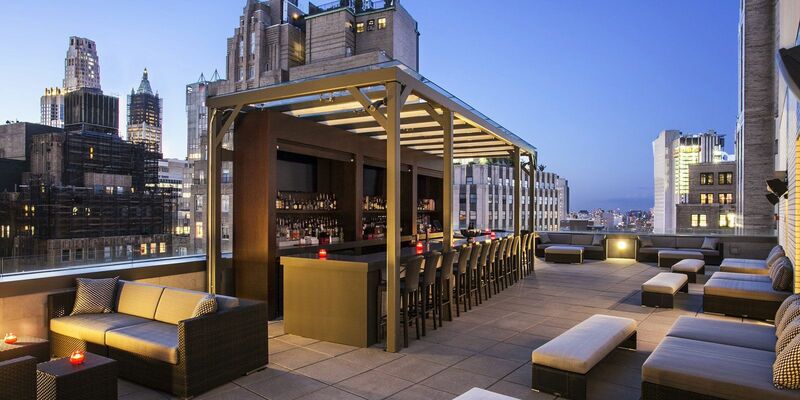 Get the ball rolling at W XYZ Bar with a round of pool or sip outdoor cocktails on the private patio. 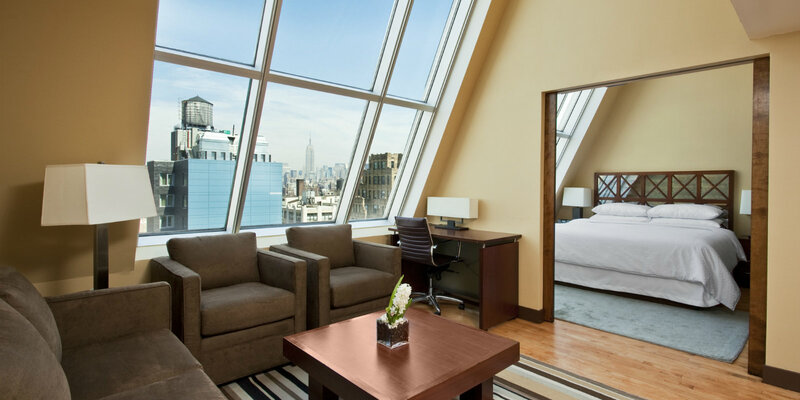 Stay close to all downtown attractions such as One World Trade, The Oculus, Brooklyn Bridge, and more. 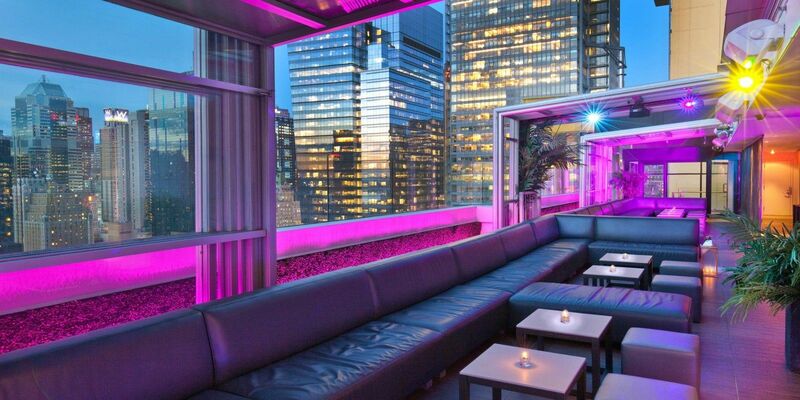 Experience New York City from 34 stories up at Sky Room. 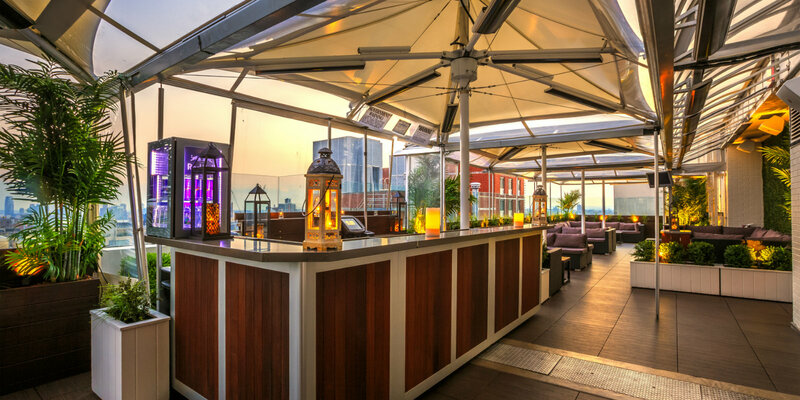 This multilevel, indoor/outdoor venue is home to legendary parties, exciting happy hours, and spectacular events. 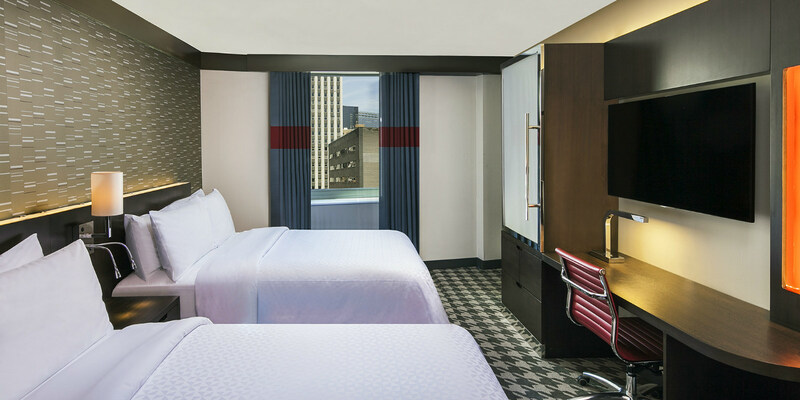 Dive into a new day during your next stay near Denver, Colorado. 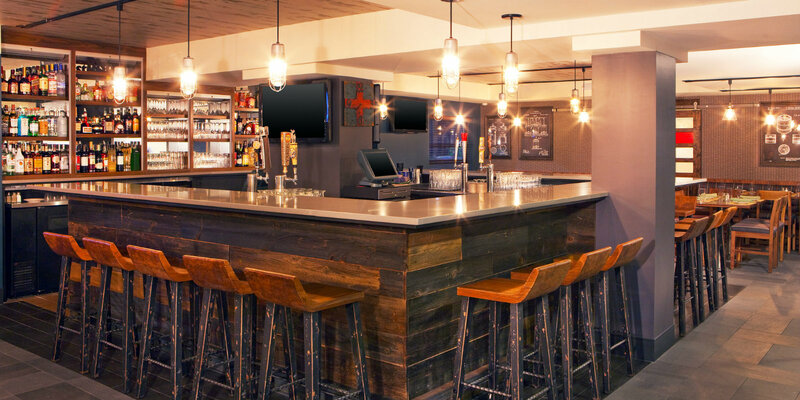 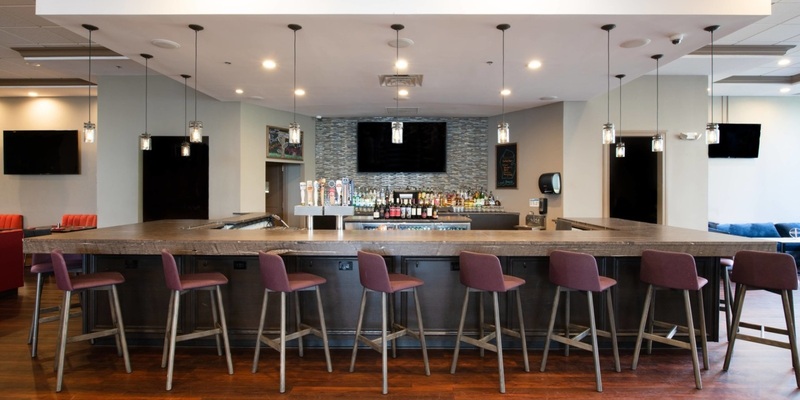 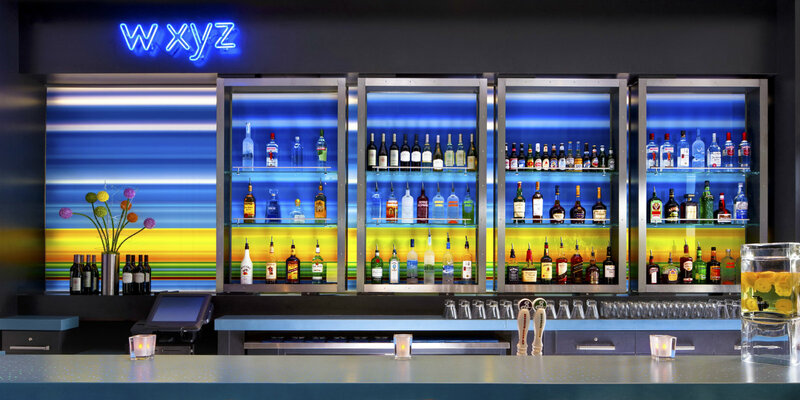 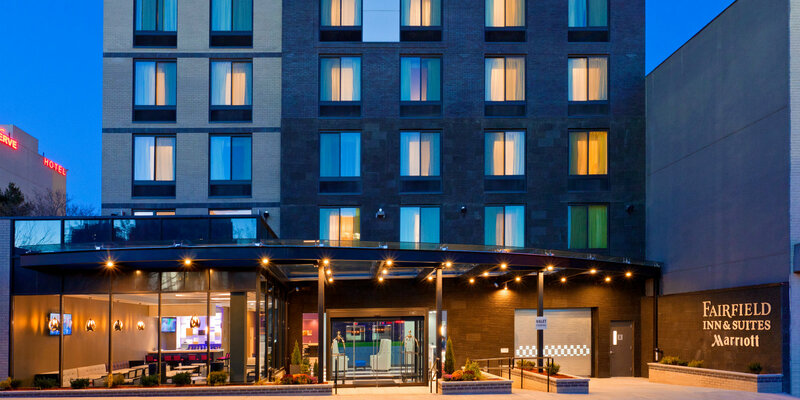 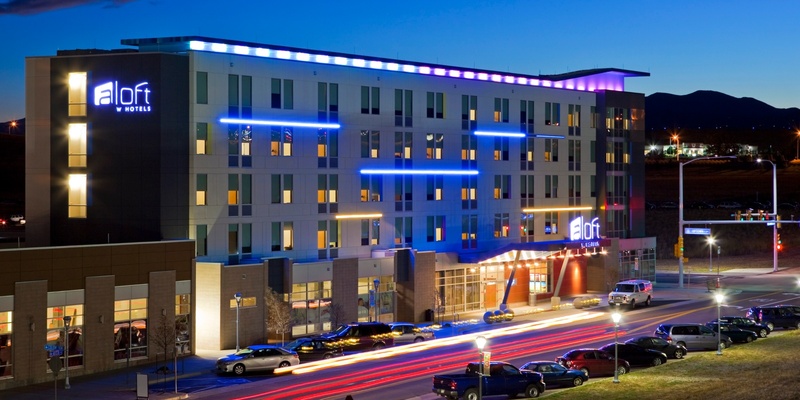 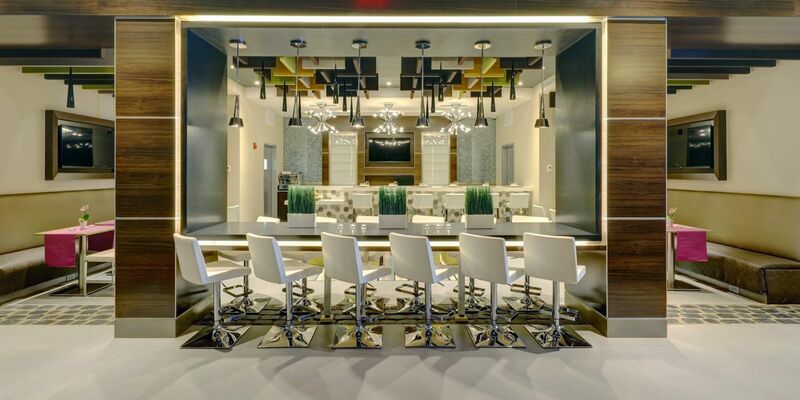 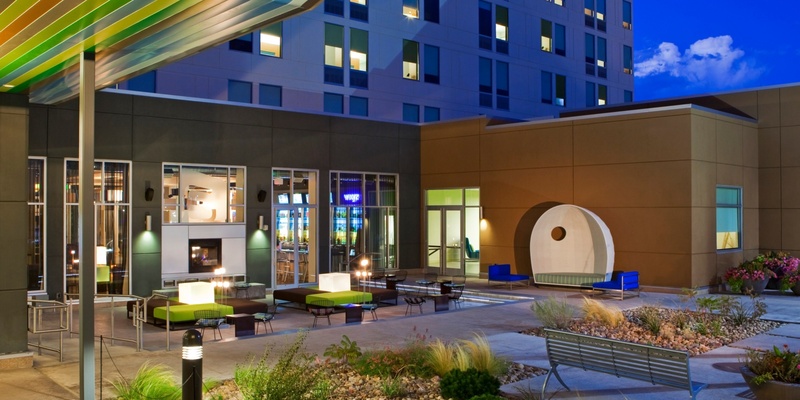 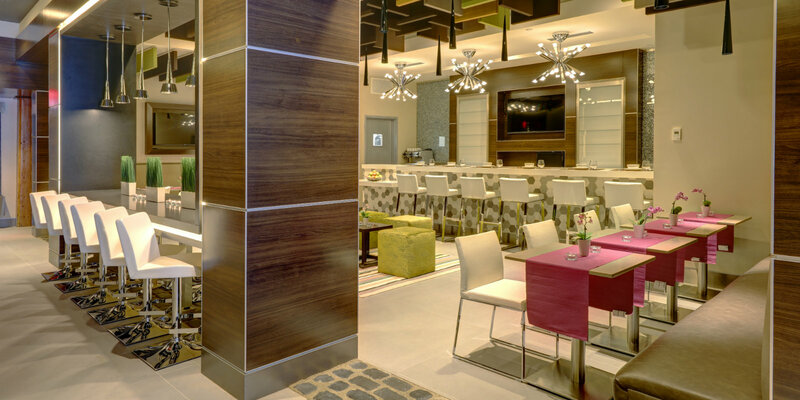 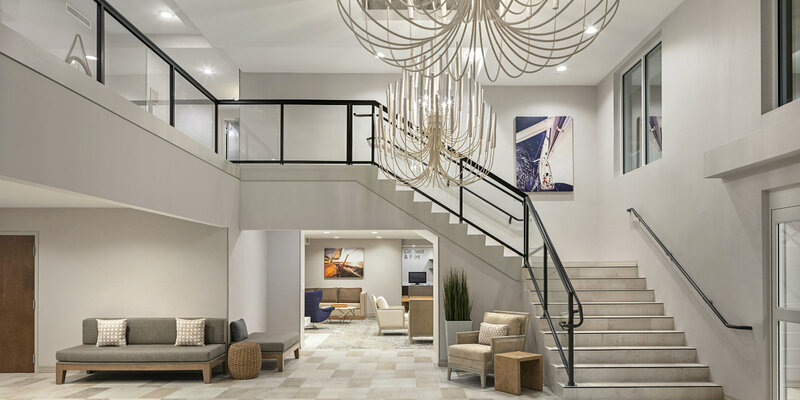 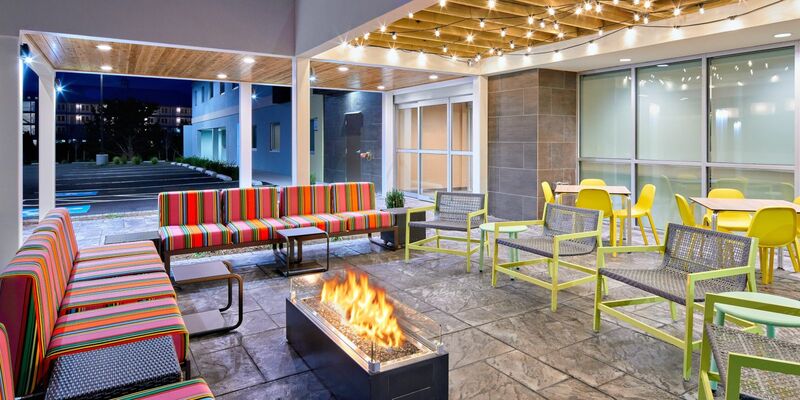 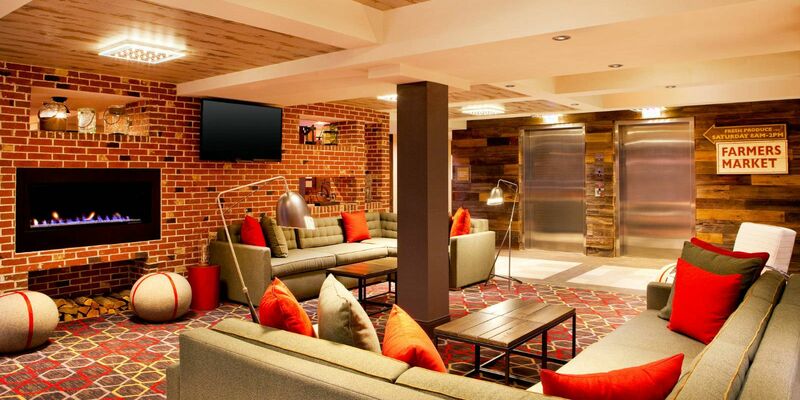 With specialty cocktails, a vibrant social scene, and loft-inspired rooms, Aloft Broomfield Denver will have you staying in style near Westmoor Technology Park, Interlocken Business Park, Broomfield Event Center, or Coors Field. 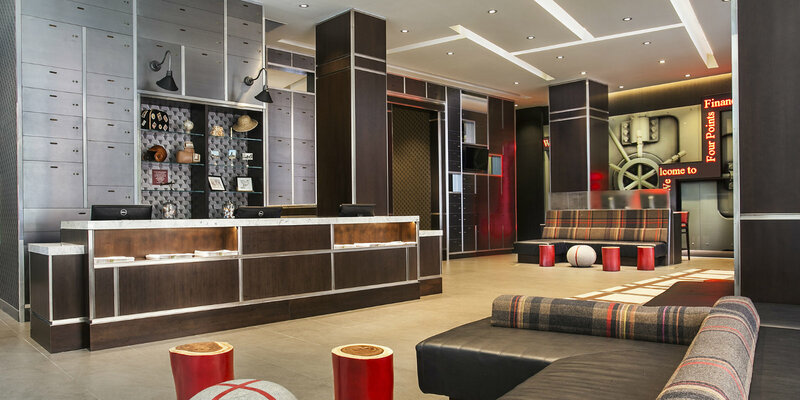 Relax and recharge just a few minutes from Midtown Manhattan. 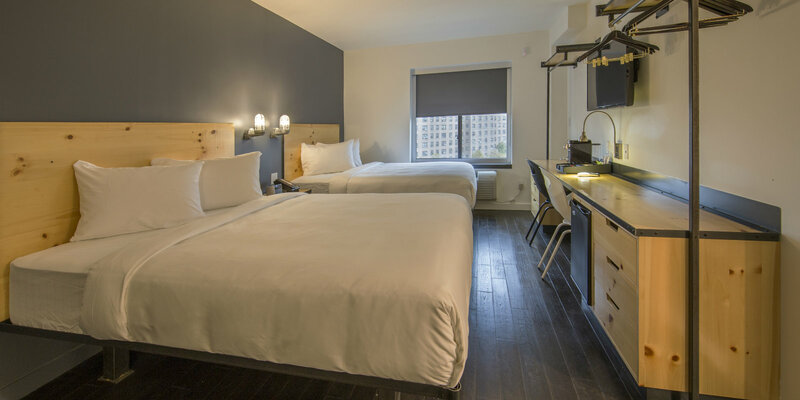 Long Island City offers great value for travelers looking for a home away from home in the Big Apple. 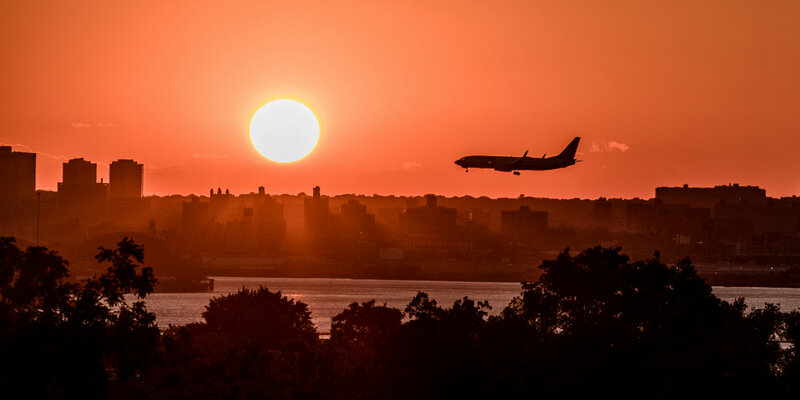 Stay connected to the city via the subway or easily access Queens landmarks such as Citi Field, the USTA (home of U.S. Open Tennis) and Forest Hills Stadium. 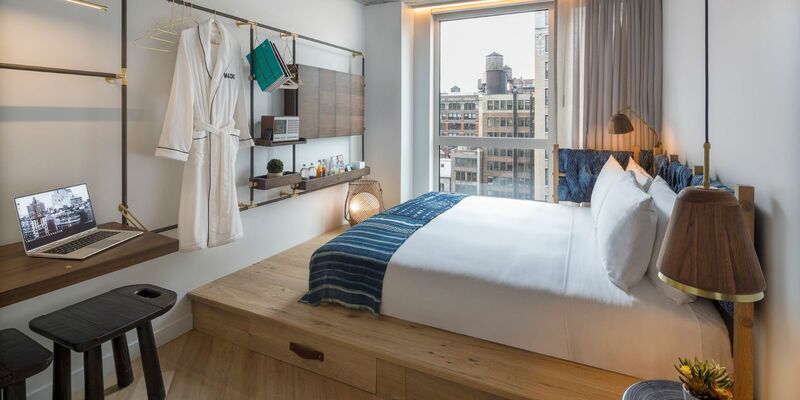 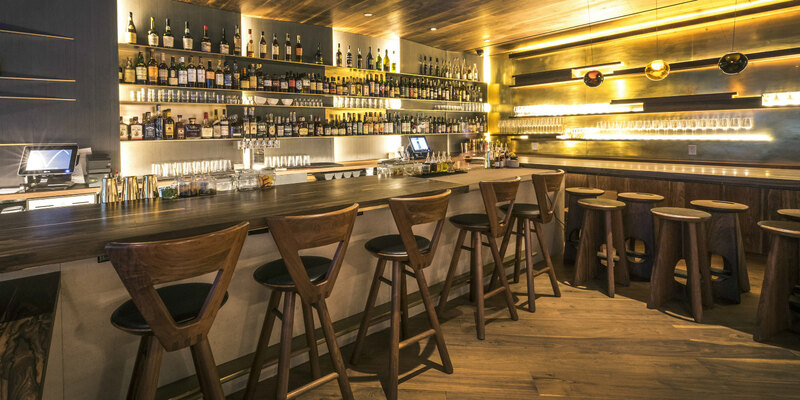 Experience Times Square's newest boutique sensation, Lord & Moris. 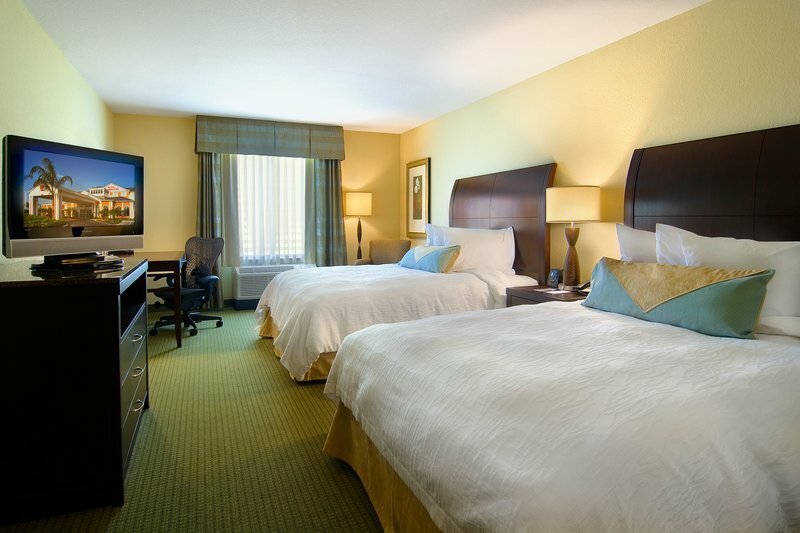 Perfect for group travel, many of the newly remodeled guest rooms at Lord & Moris are quadruple occupancy. 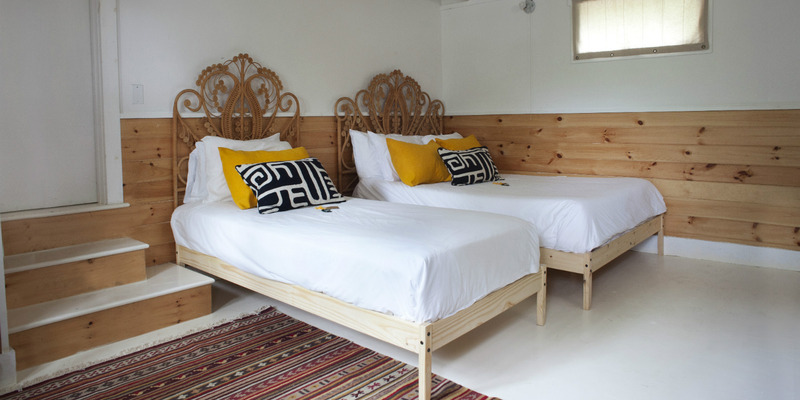 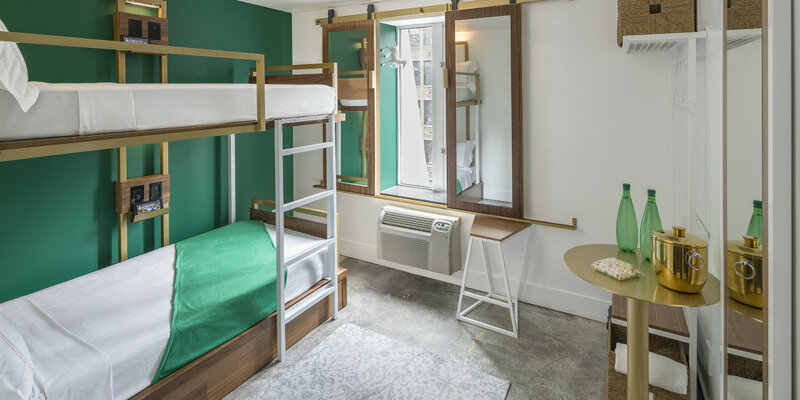 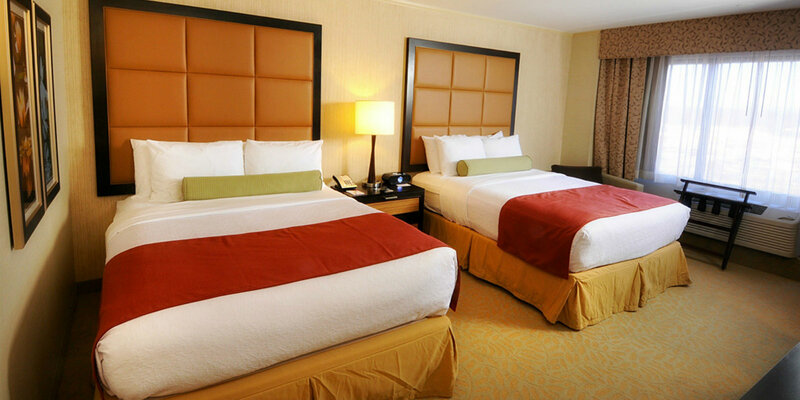 Either bunk up with your favorite friends and relatives in our bunk bed rooms or couple up in our two queen bed rooms. 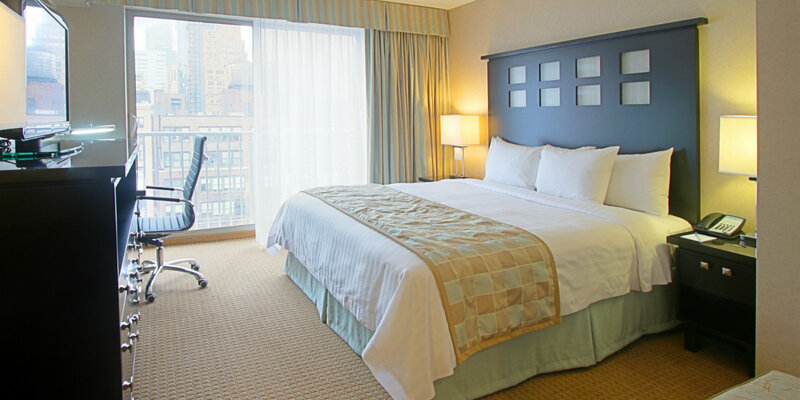 The more the merrier as you enjoy being walking distance to all of NYC's greatest attractions. 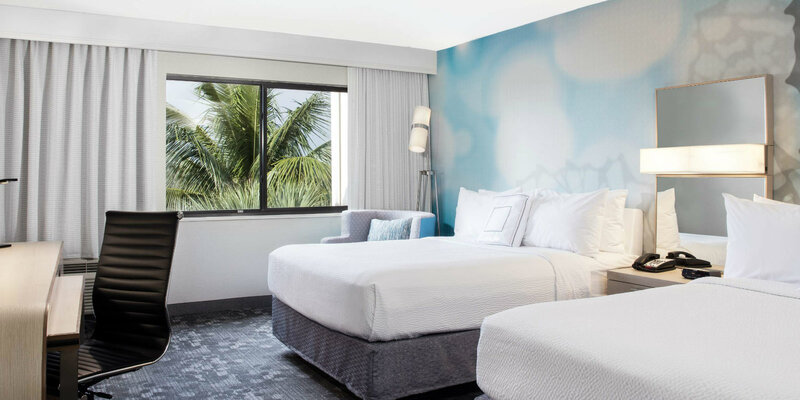 Relax and recharge in South Florida at Homewood Suites. 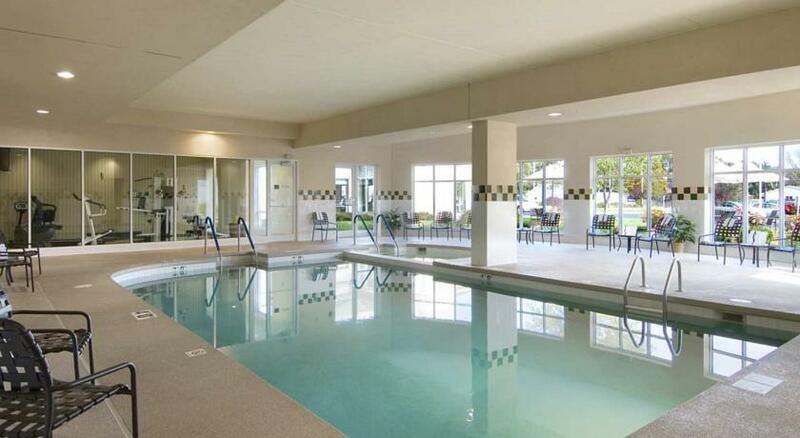 Get your putting practice in before heading to the links or soak up the rays in the outdoor pool. 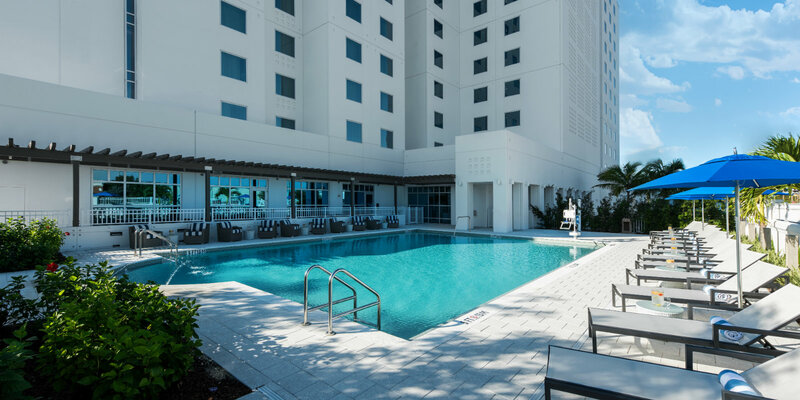 Stay close to Dolphin Mall and easily access downtown Miami in minutes. 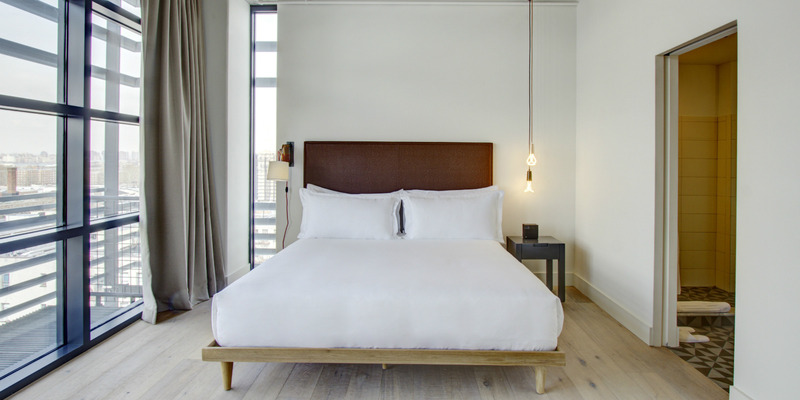 Mix it up in Long Island City just a few minutes from midtown Manhattan. 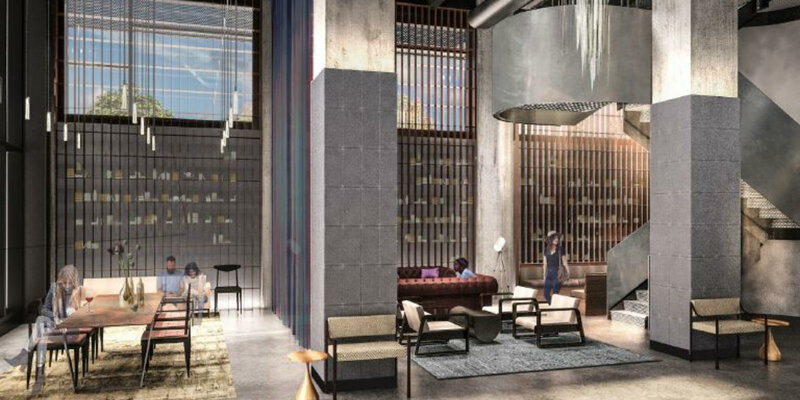 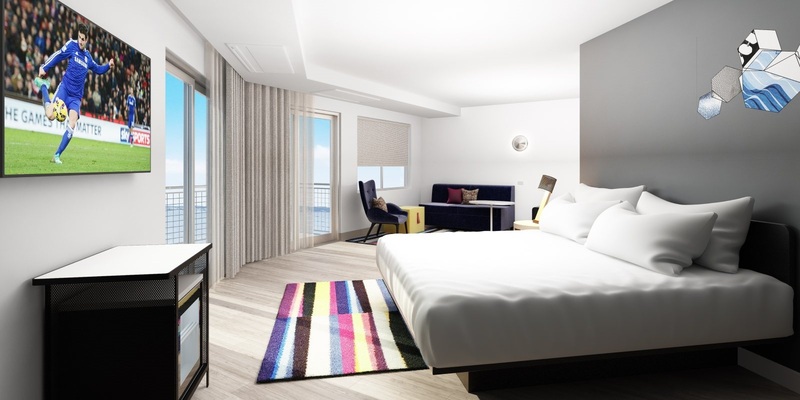 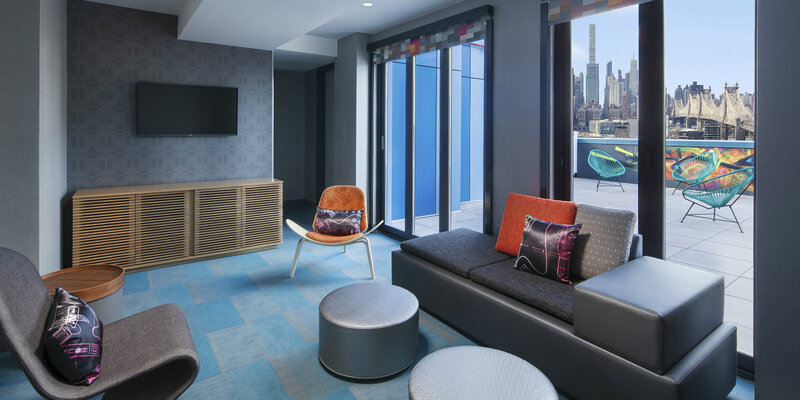 Step into vibrant social spaces, stunning New York City views, and Aloft signature amenities. 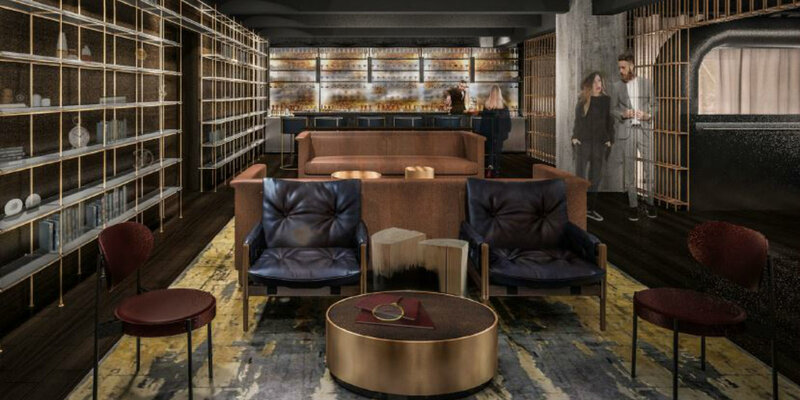 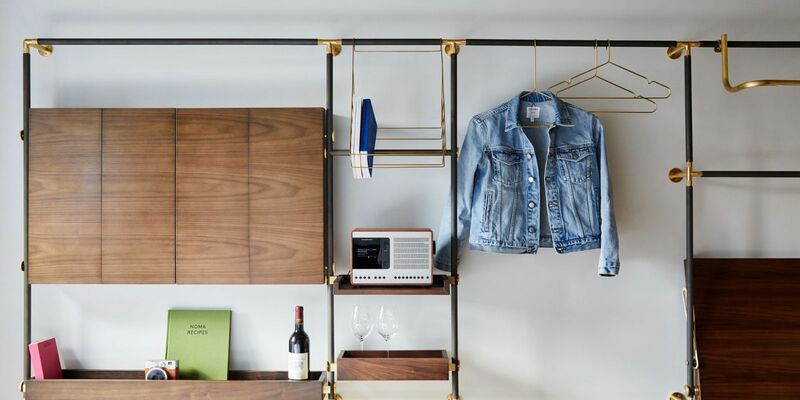 Explore Brooklyn like never before at the first lifestyle boutique hotel in Bedford-Stuyvesant. 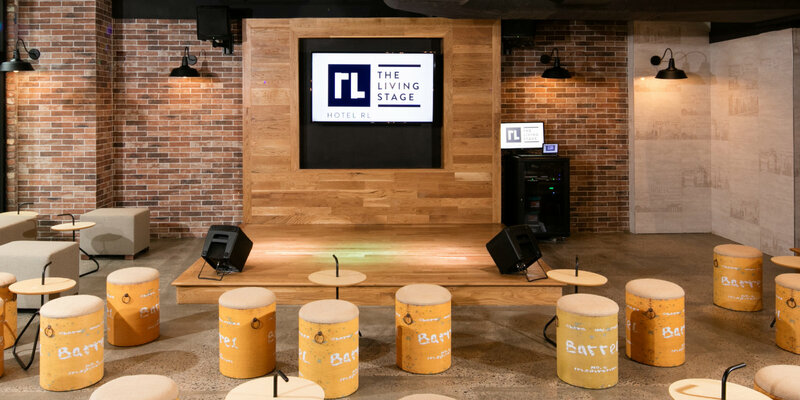 Catch a performance on our very own Living Stage or relax with friends and family in our lower level communal game room. 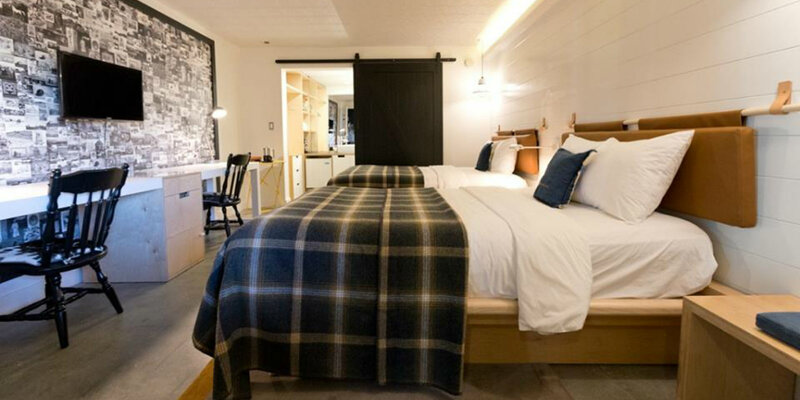 This quaint boutique hotel is the perfect home-base for your downtown Manhattan exploration. 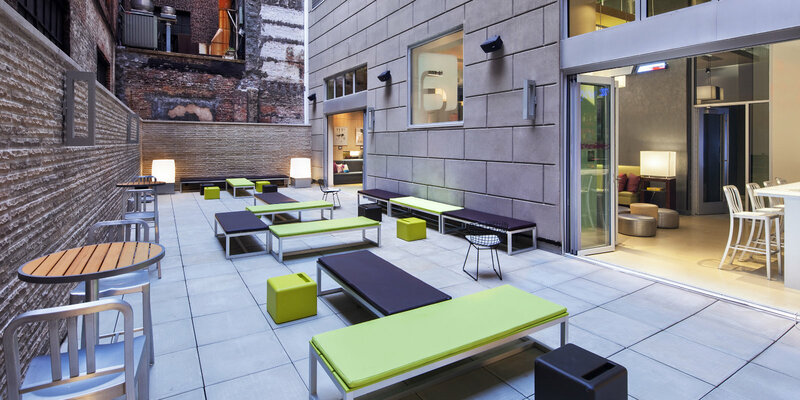 Steps away from Little Italy, Chinatown, the Lower East Side, and more. 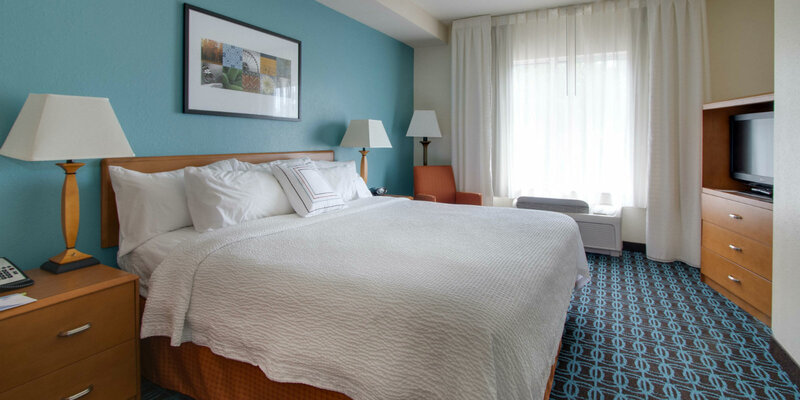 Return to your cozy room with comfy bedding after a day of site-seeing and shopping. 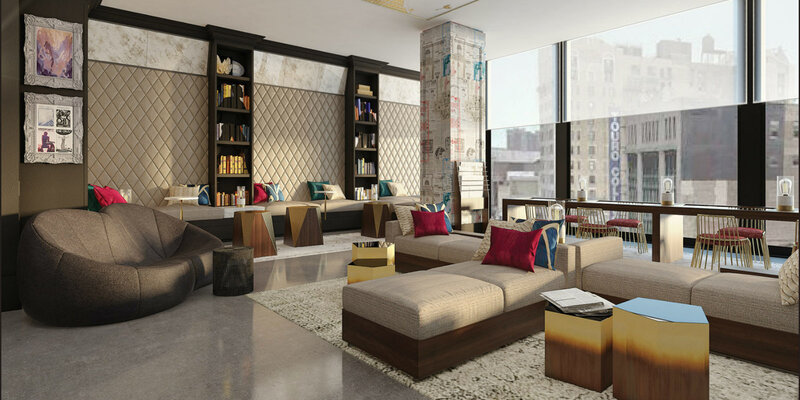 Discover Hudson Yards - Manhattan's next great neighborhood from the comfort of Four Points. 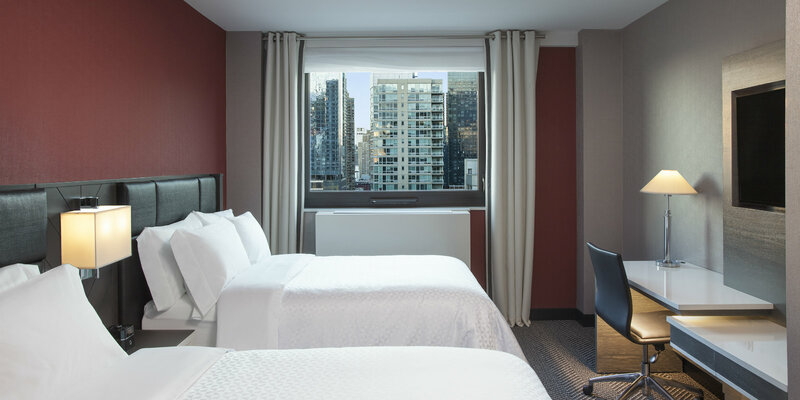 Walk to Jacob K. Javits Convention Center, High Line Park, the Vessel, and Madison Square Garden from this thoughtfully situated hotel. 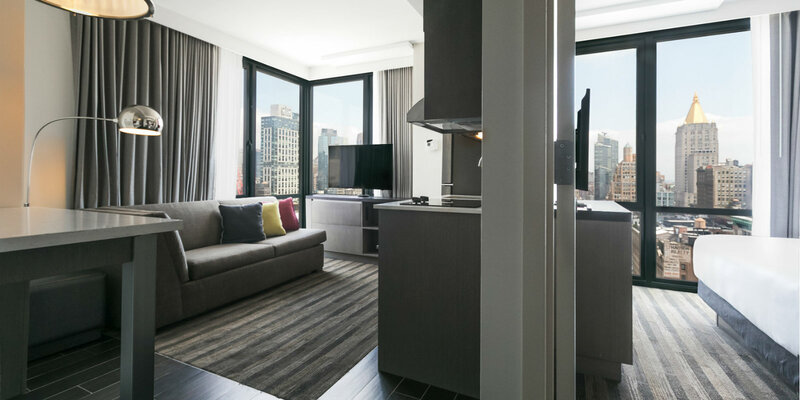 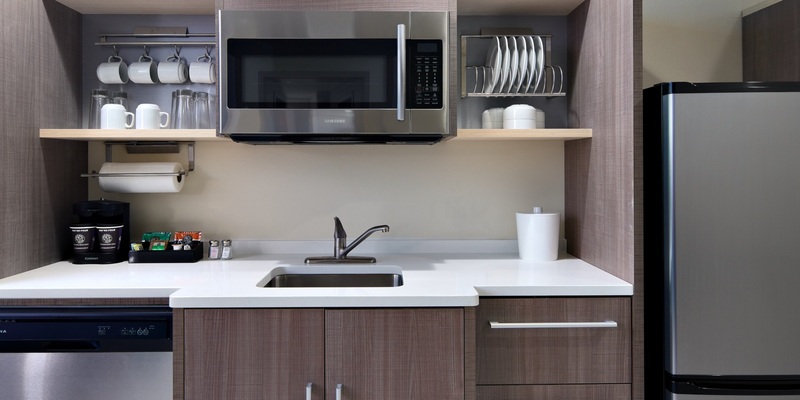 Stay in residentially inspired suites with full kitchens for longer stays in the heart of Manhattan. 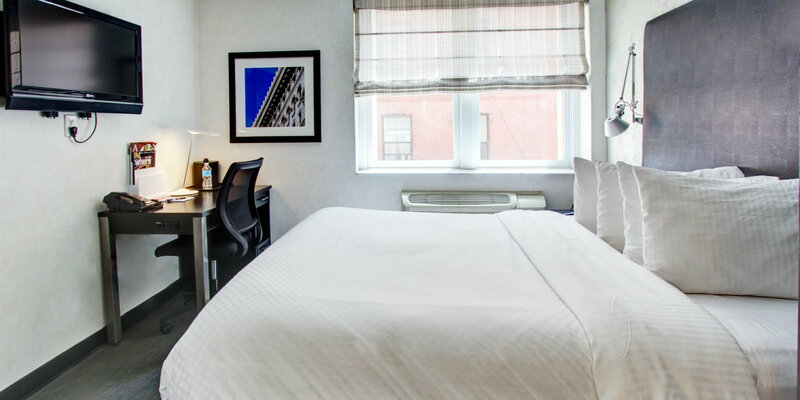 Wake up to free daily breakfast and walk to NYC landmarks like the Empire State Building and Madison Square Garden from our doorstep. 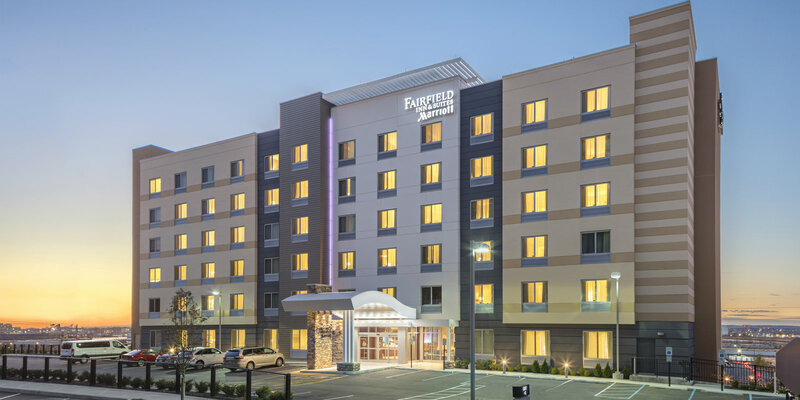 Fairfield Inn places you moments away from landmarks including the 9/11 Memorial and One World Observatory, as well as Pier 17 in the Seaport District; it also provides easy access to Battery Park and Ellis Island. 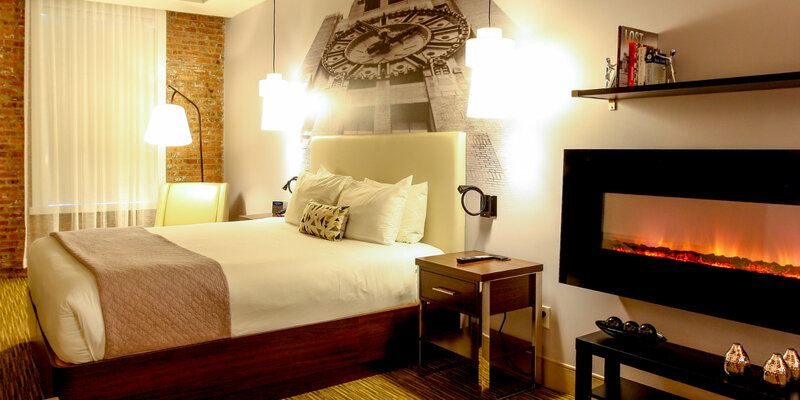 Discover lower Manhattan or venture over to Brooklyn from this popular hotel. 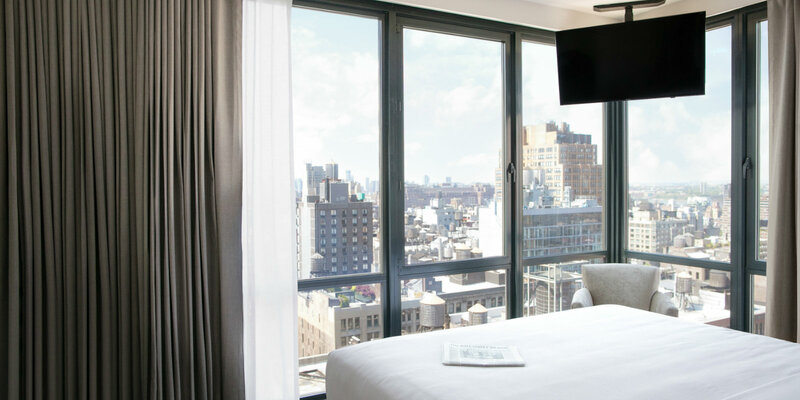 Walk along the cobblestone streets of SoHo or peruse the legendary brownstones of the West Village from the Four Points SoHo-Village. 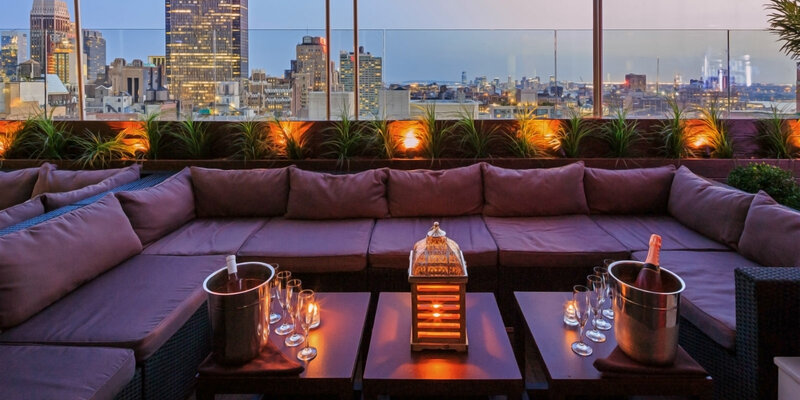 Indulge with famous SoHo shopping and take in the dining and nightlife that has made downtown Manhattan a must-see among NYC travelers. 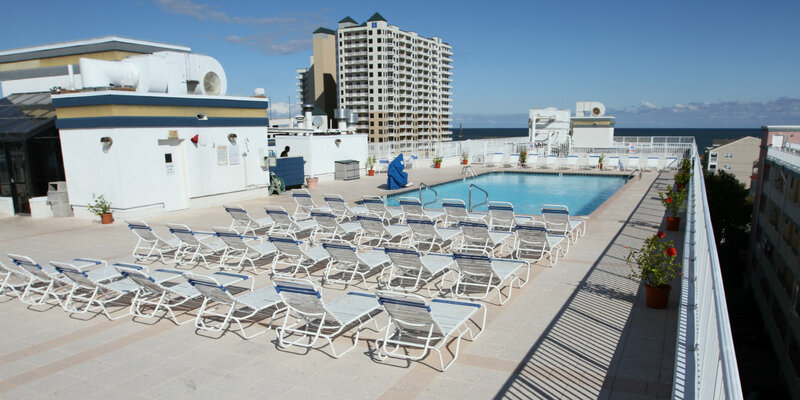 An Ocean City original, Commander Hotel & Suites has been a favorite of beach travelers for generations. 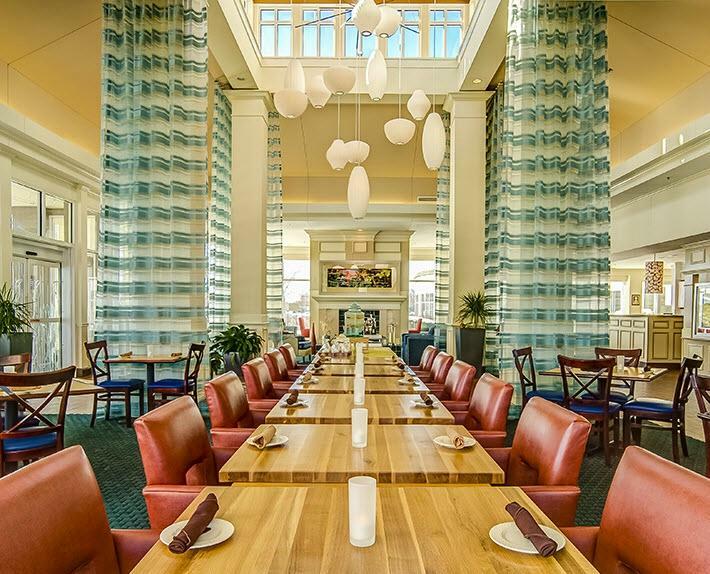 A recent renovation has made this oceanfront outpost a must-see in Ocean City. 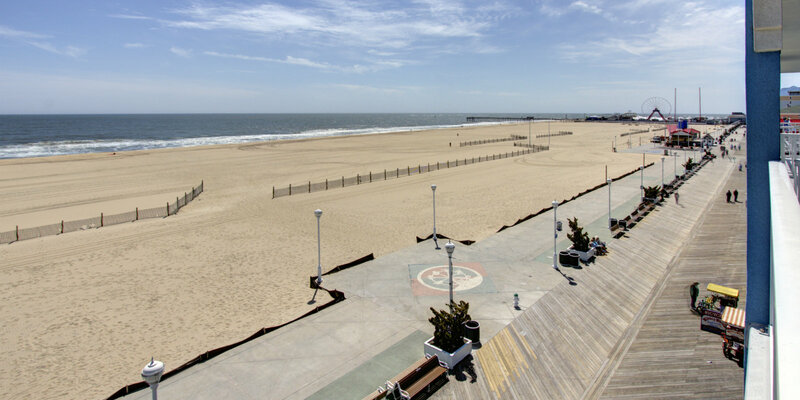 Walk out of the hotel and onto the famed Ocean City boardwalk. 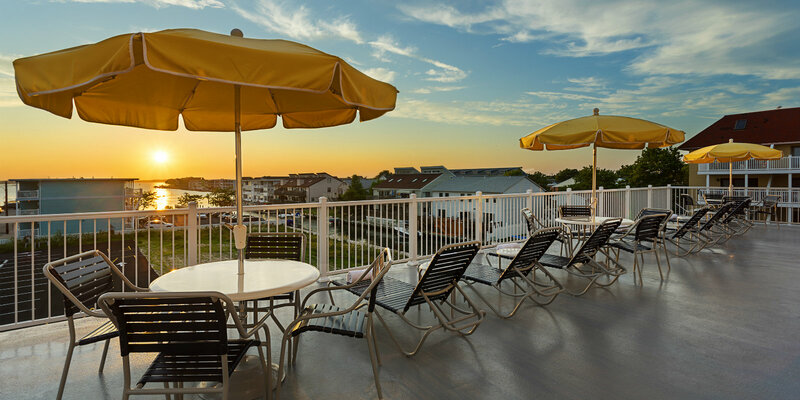 Centrally located in Ship Bottom, NJ on Long Beach Island, Drifting Sands offers easy access to Surf City, Barnegat Lighthouse, and Beach Haven. 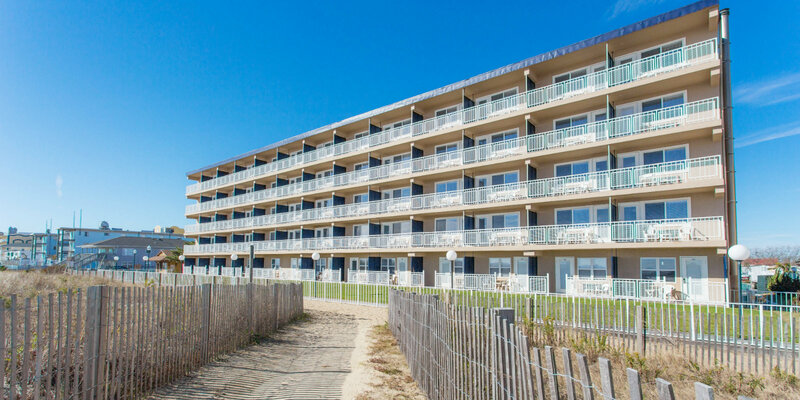 The comfortable oceanfront accommodations at Drifting Sands have made this beach outpost a favorite among LBI regulars and summer vacationers. 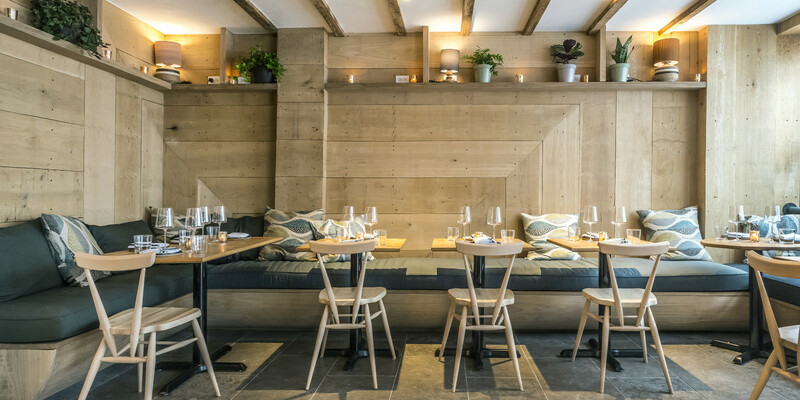 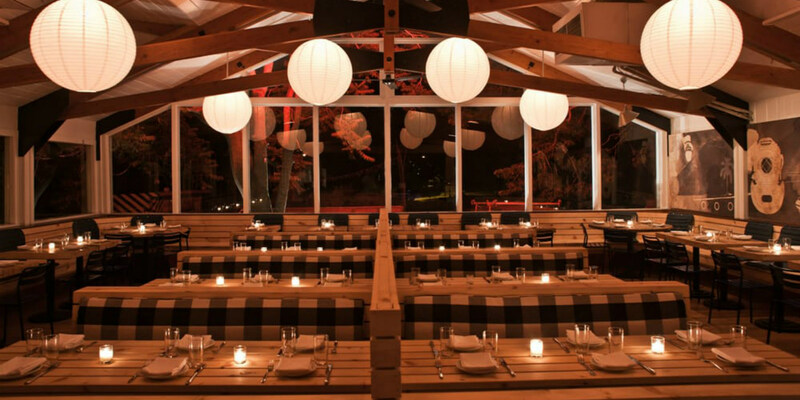 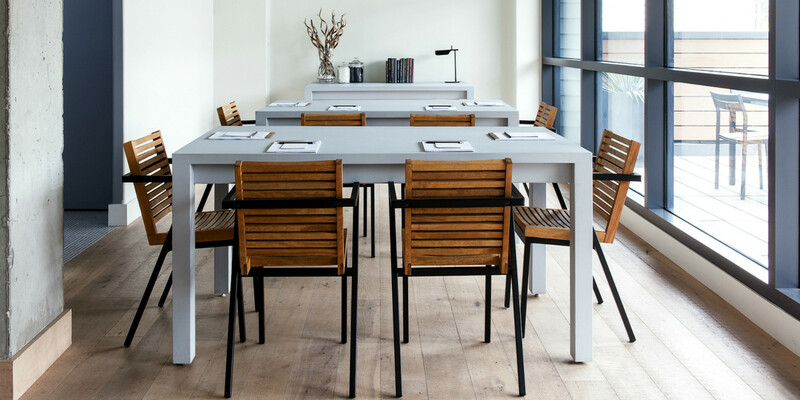 Escape this season to Montauk's most talked about hotel & restaurant, Ruschmeyer's. 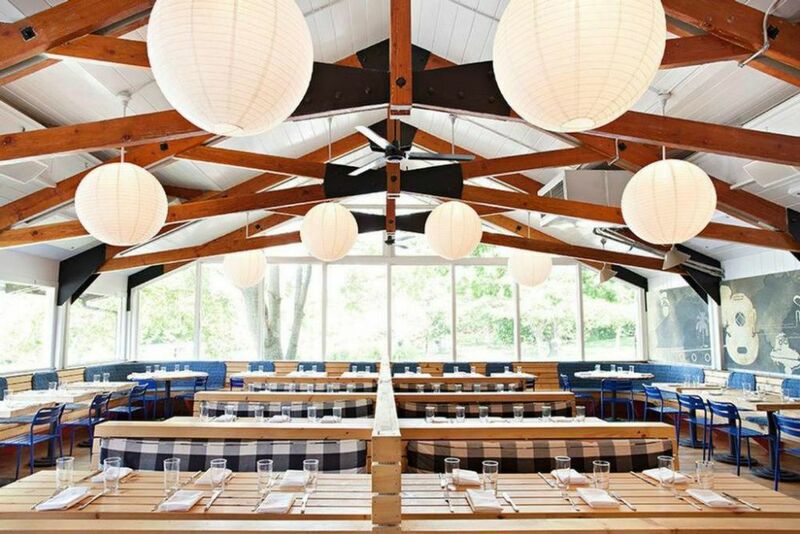 Thoughtfully situated less than one mile from the town of Montauk and the Long Island Railroad station. 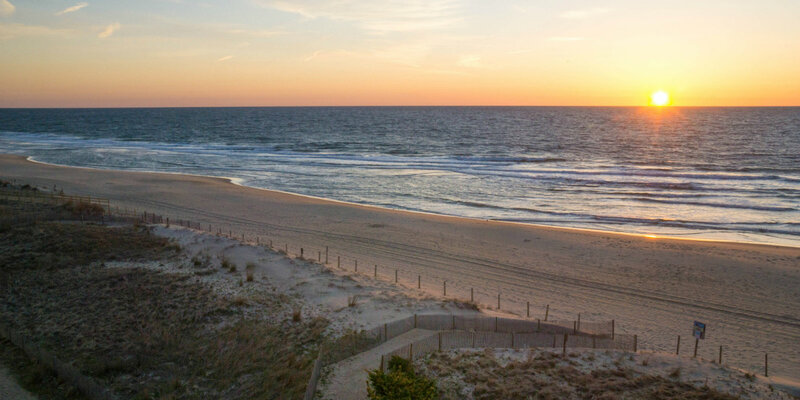 Ruschmeyer's is also in close proximity to world-renowned surfing at Ditch Plains Beach, as well as Downs Golf Course and Montauk Lighthouse. 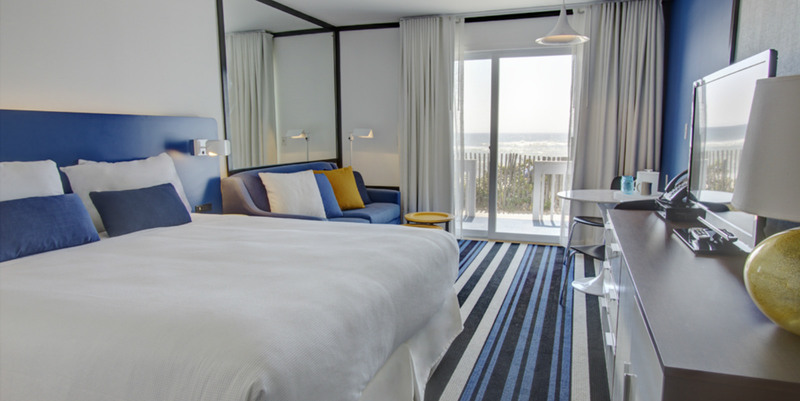 There's no better location on Montauk, Long Island than Montauk Blue Hotel. 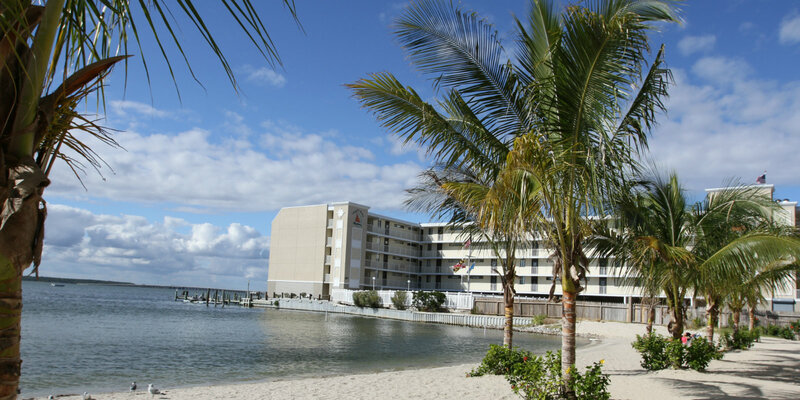 The hotel is not only located at the center of town but also steps from the beach and the ocean. 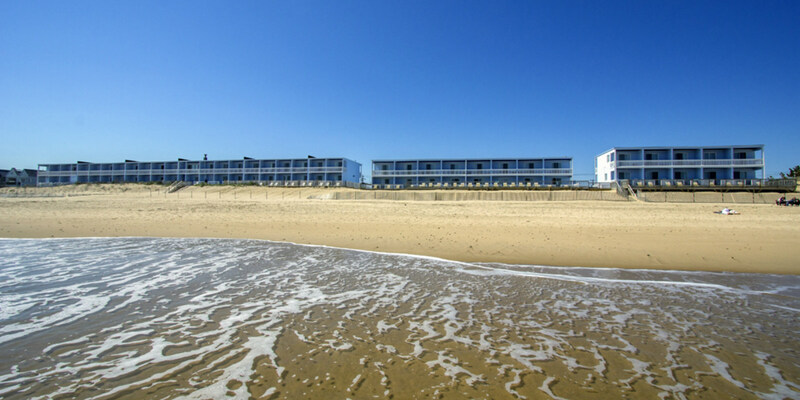 Beach access, ocean views, and luxury suite accommodations are yours for the taking at Bethany Beach Ocean Suites. 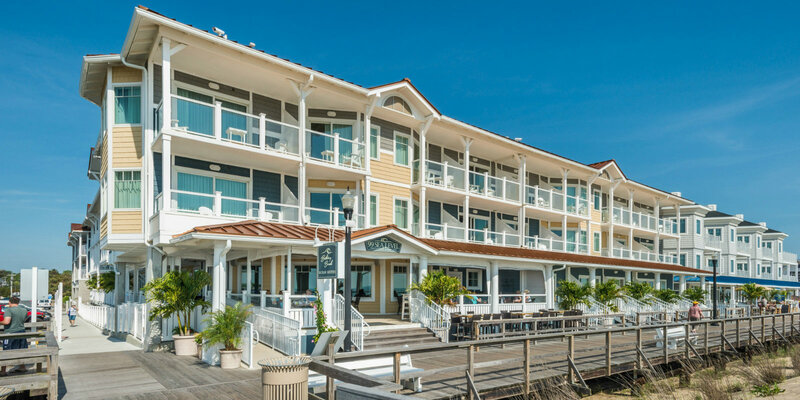 This full-service beachfront gem has a spa on the premises, a renowned seafood restaurant, and is the perfect spot for weddings on the waterfront. 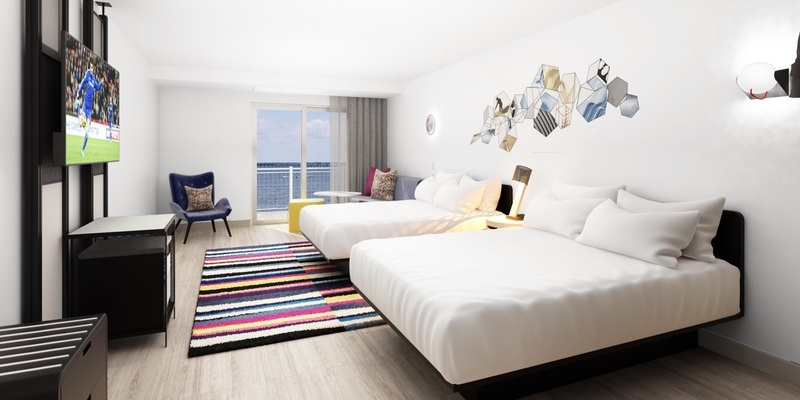 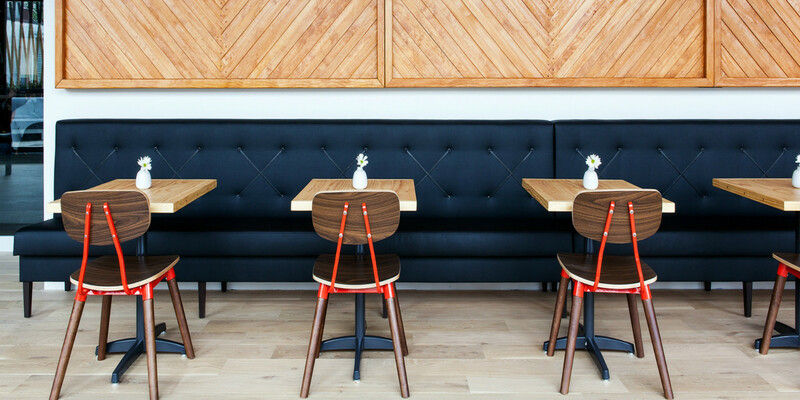 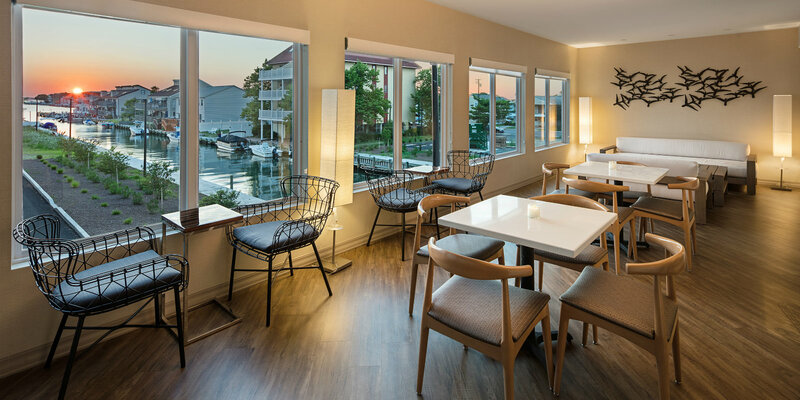 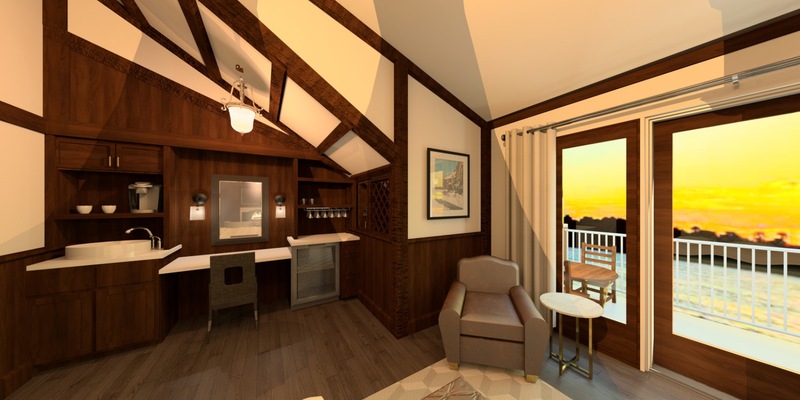 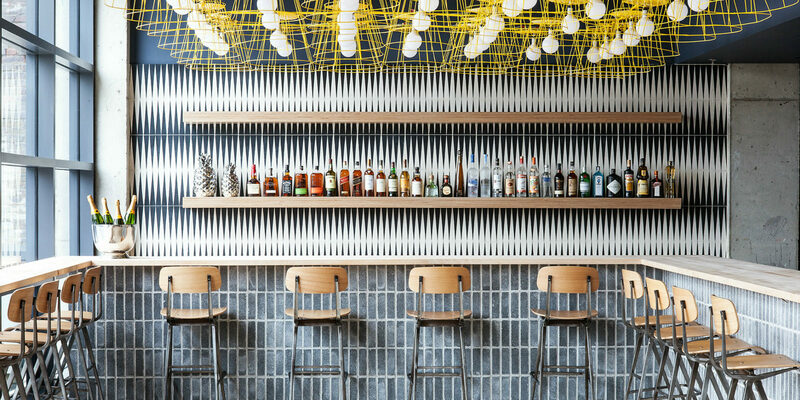 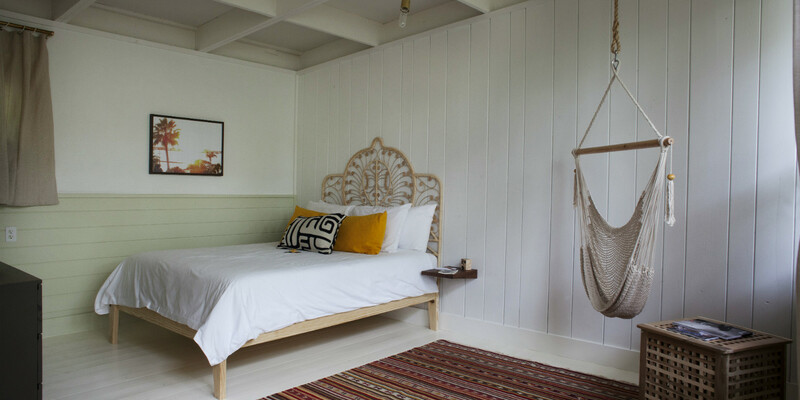 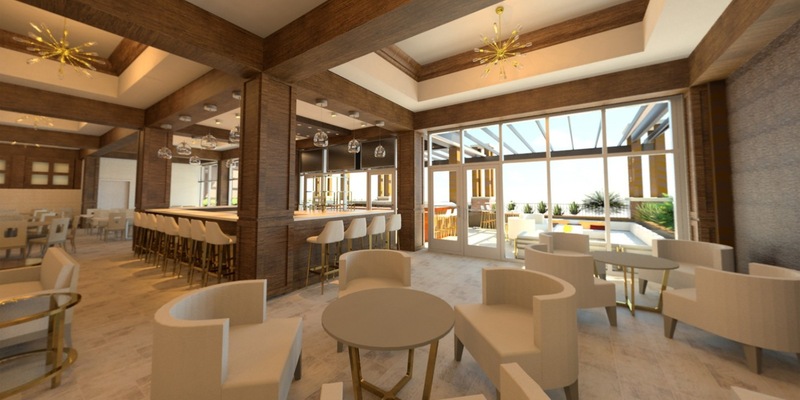 Stylish design and stunning sunsets are what you can expect from this new Ocean City outpost. 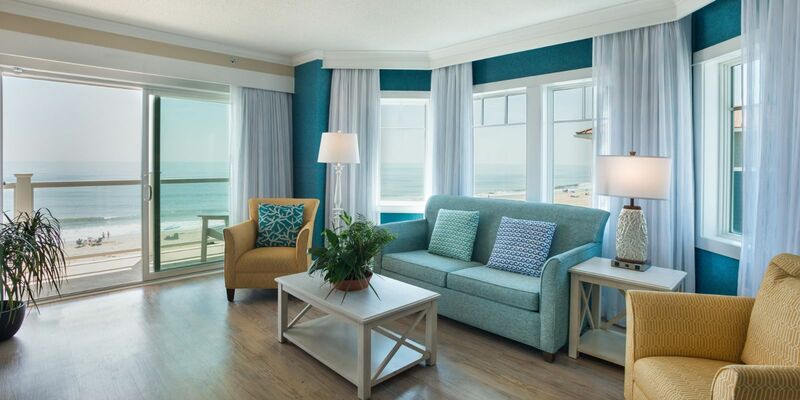 Bay front rooms offer spectacular water views and the famous beach at Ocean City is only a short walk away. 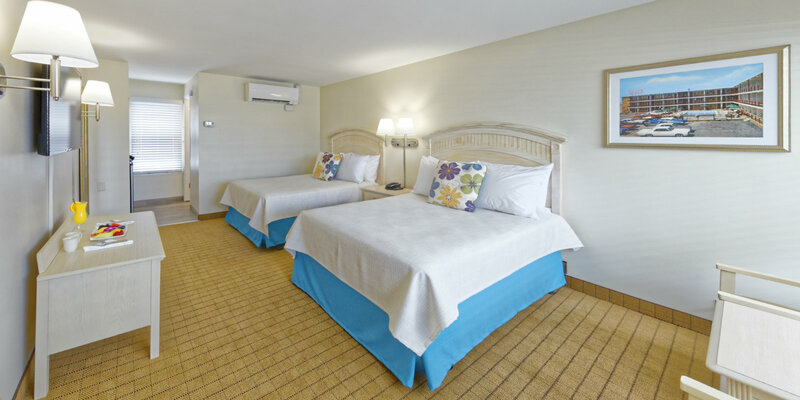 Relax and recharge in Coral Springs on your next Florida getaway. 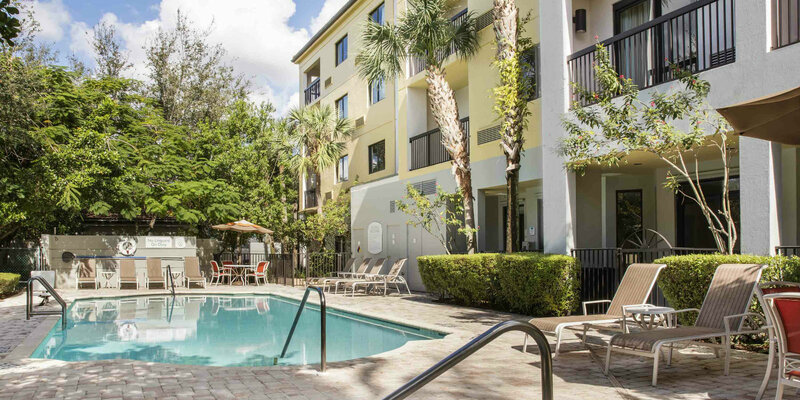 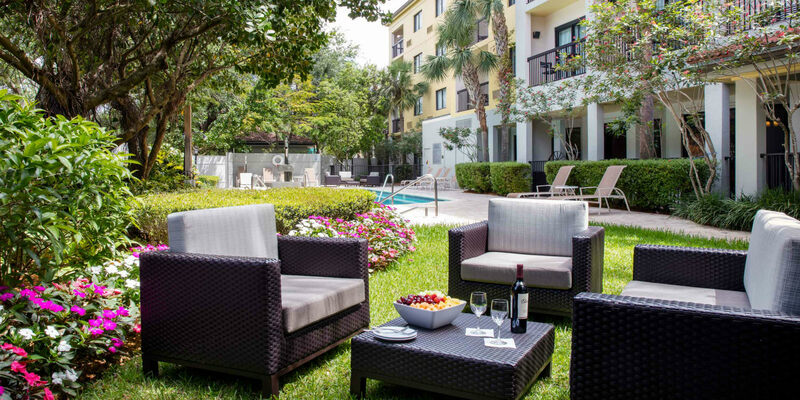 Located just a short drive from Pompano Beach, Heron Bay Golf Club, & Seminole Casino Coconut Creek, this Courtyard will surely become your home away from home when visiting South Florida. 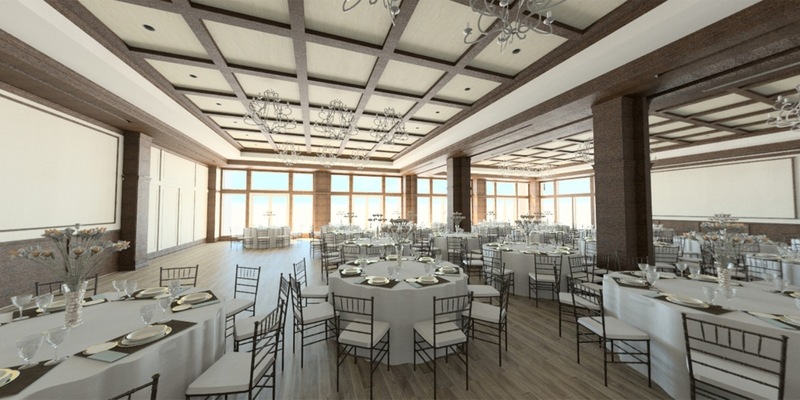 Located just 20 minutes north of Manhattan is 48,000 sq ft of multi-functional, indoor/outdoor, state of the art event space. 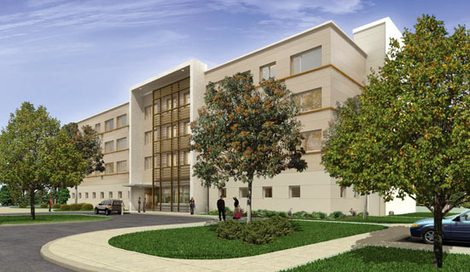 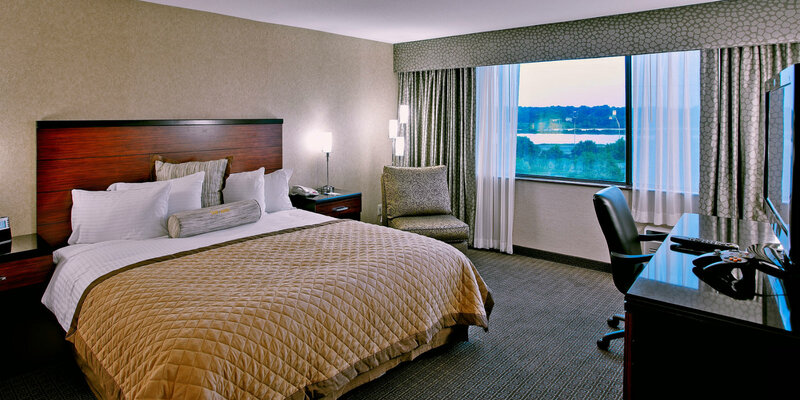 HNA sits on 106 acres of land with access to comfortable guest rooms, 5 nearby airports, tennis courts, and parking. 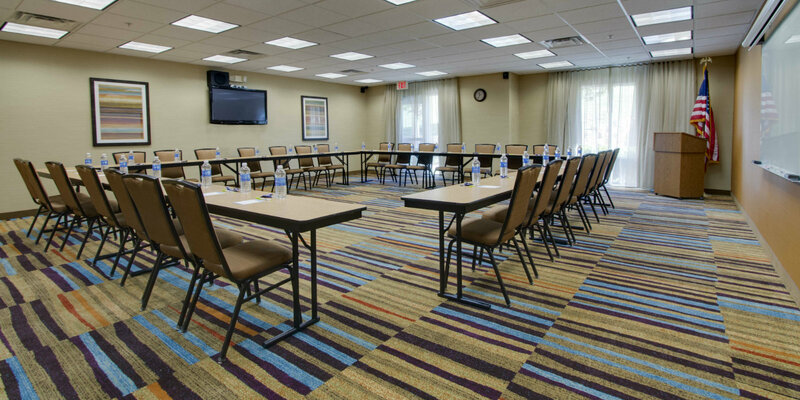 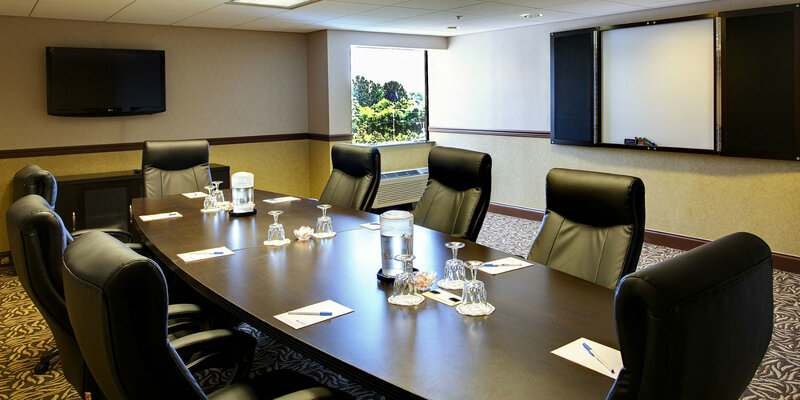 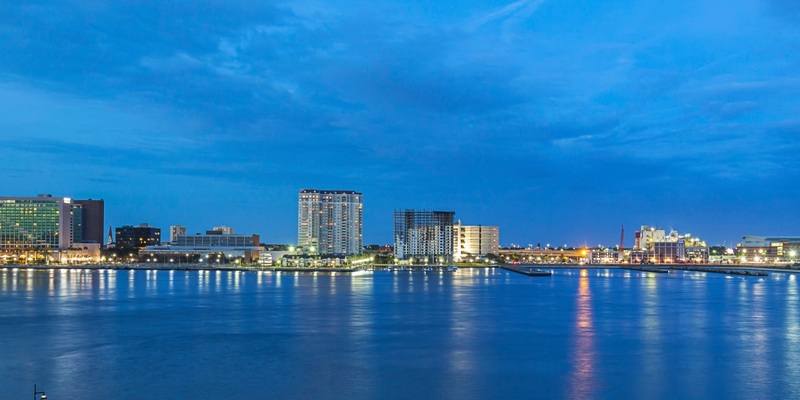 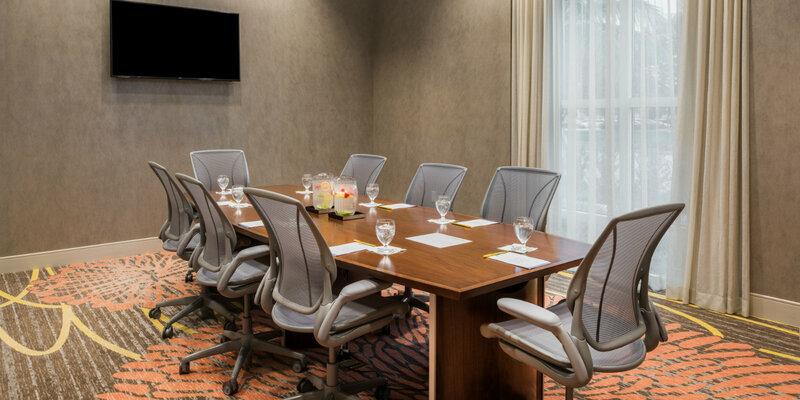 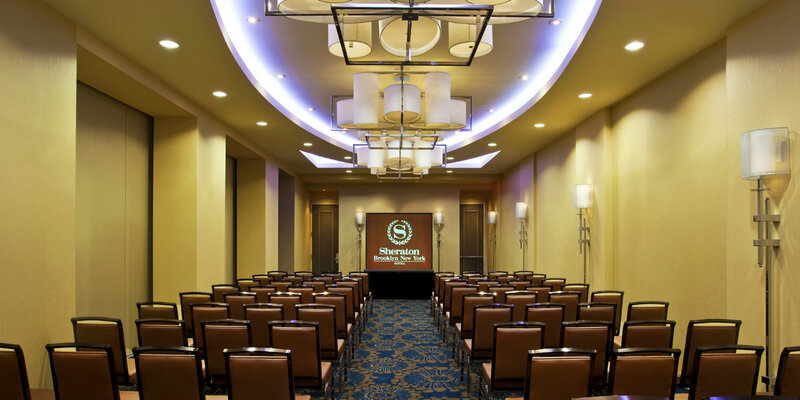 Thoughtfully situated along the St. John's River stands Jacksonville's premiere hotel, conference and event center. 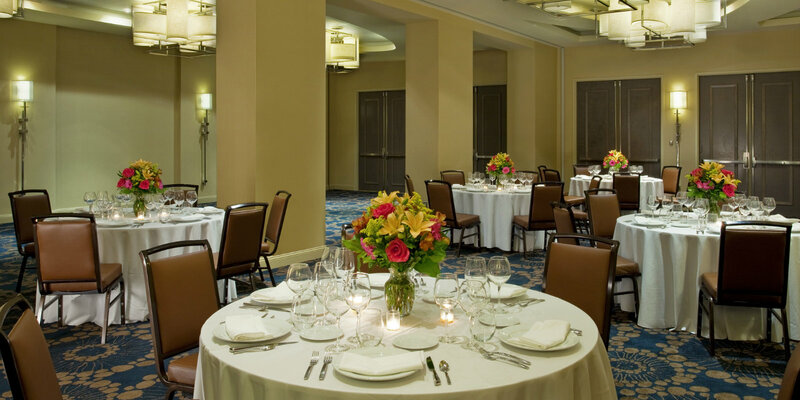 35,000 sq ft of special event space with stunning river views can set the stage for the perfect wedding or conference. 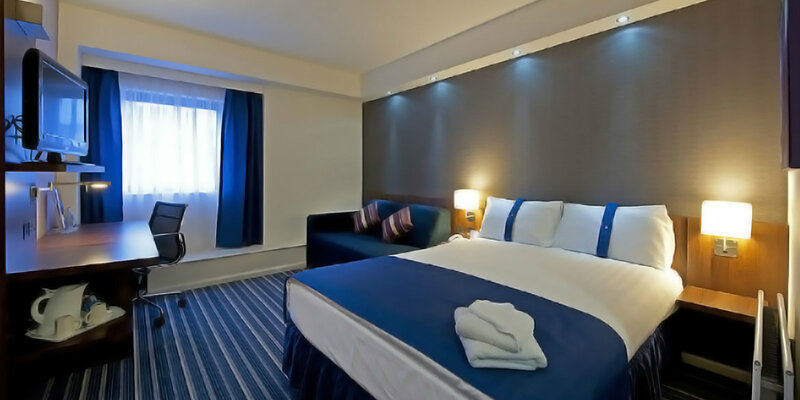 Newly renovated rooms will keep you comfortable in posh surroundings and the friendly team will welcome you to an unforgettable experience. 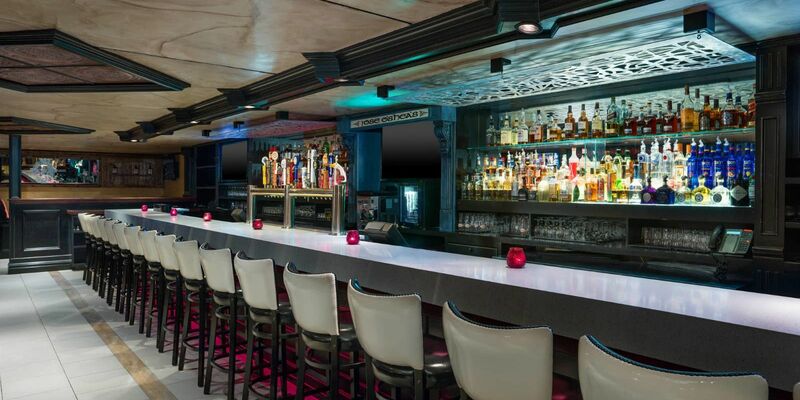 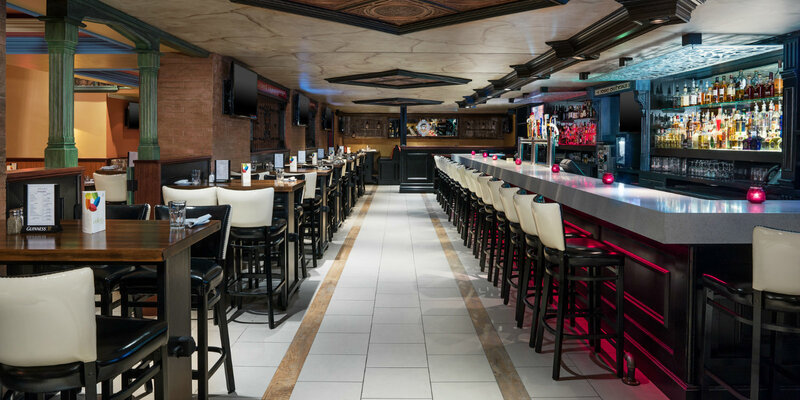 Get ready for a vibrant social scene, specialty cocktails, live music, and more. 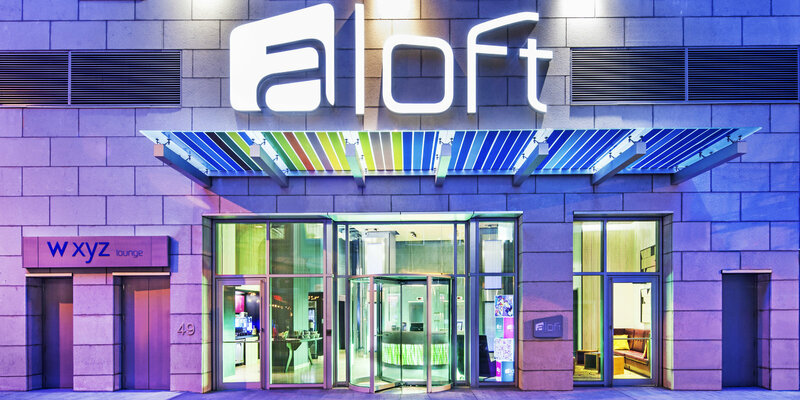 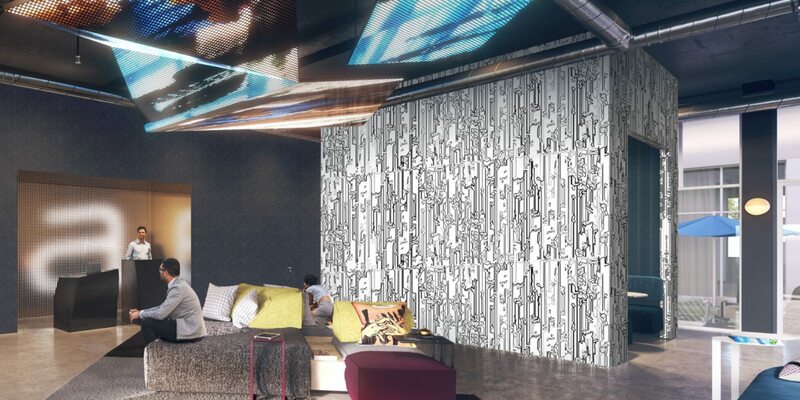 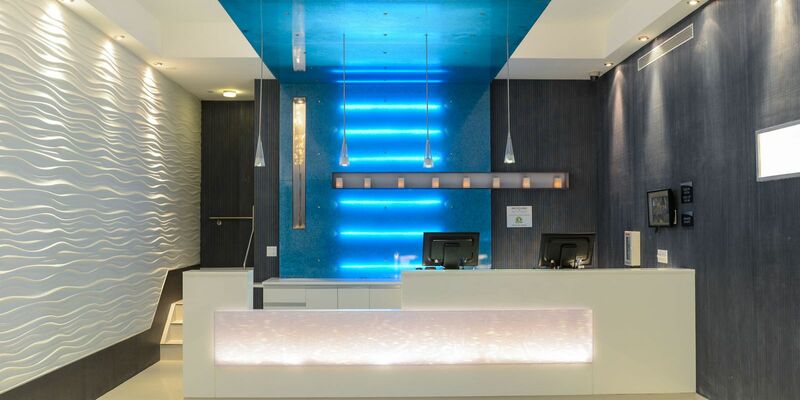 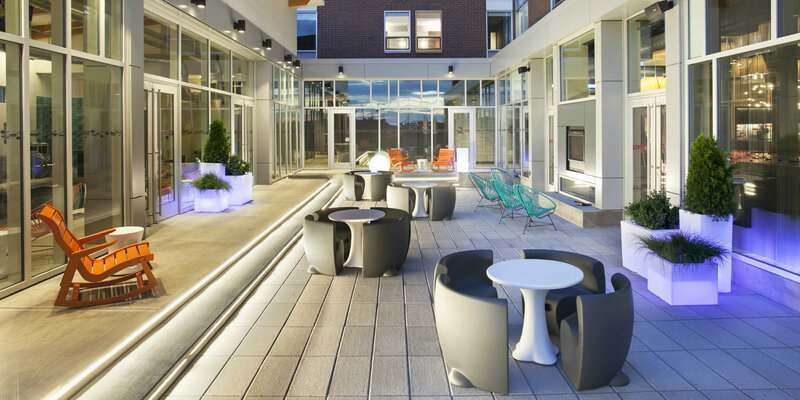 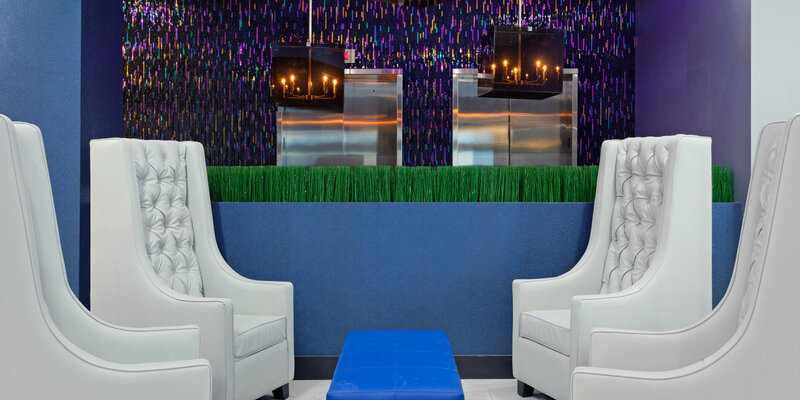 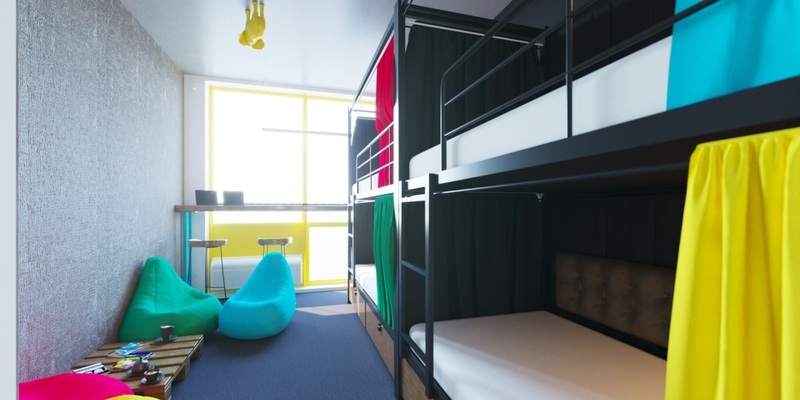 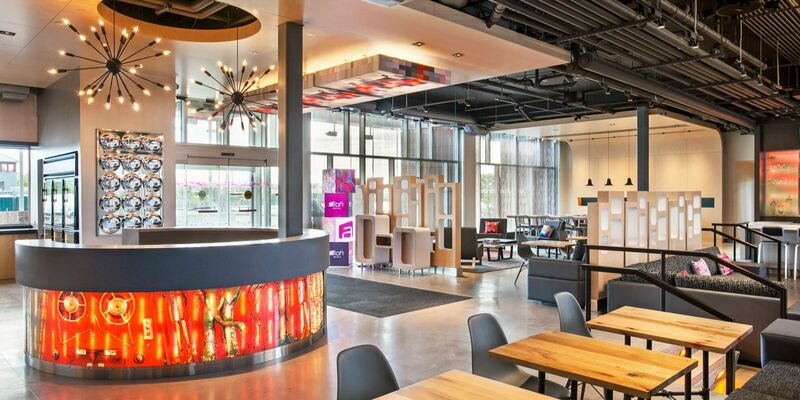 Feel the buzz of New York City's hottest borough at Aloft. 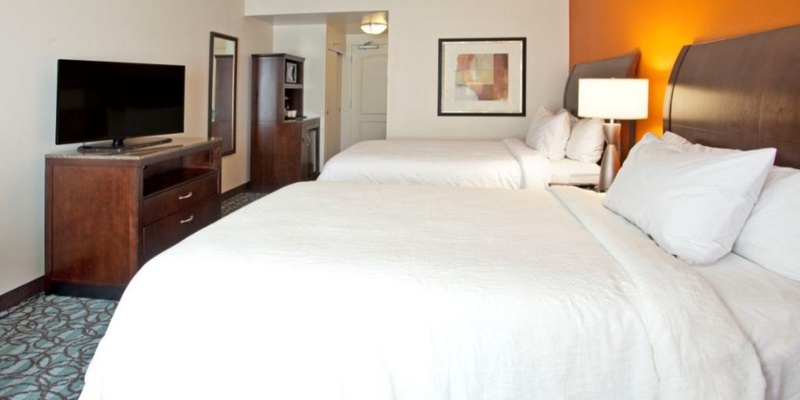 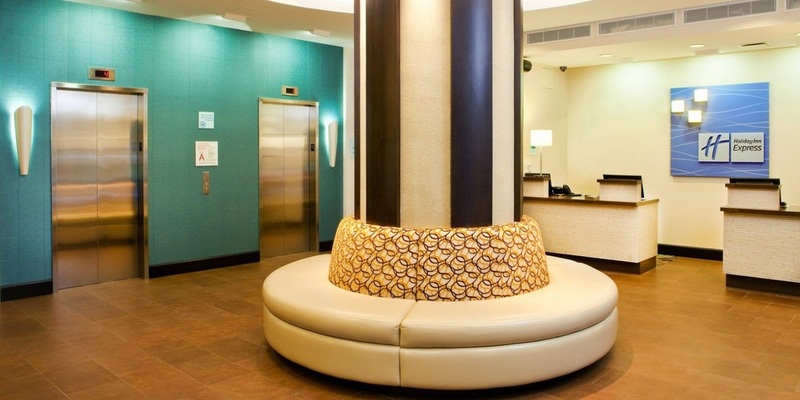 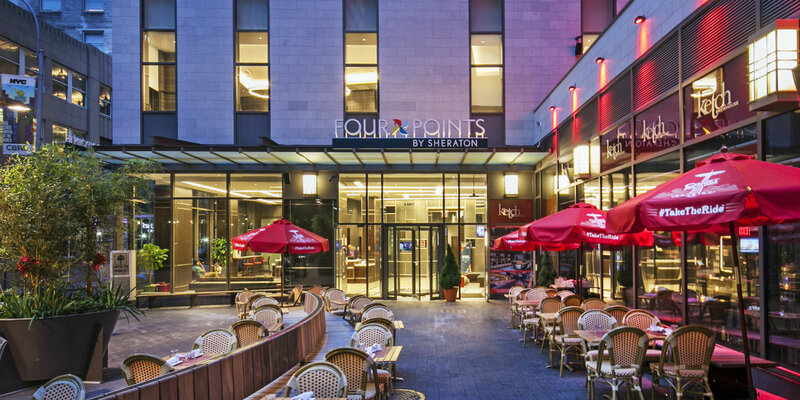 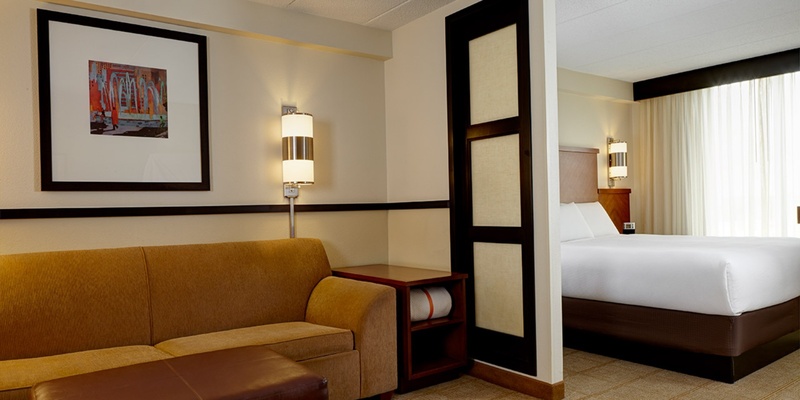 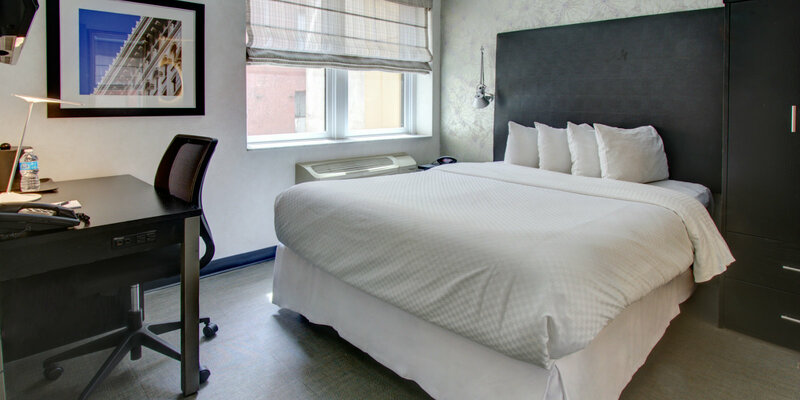 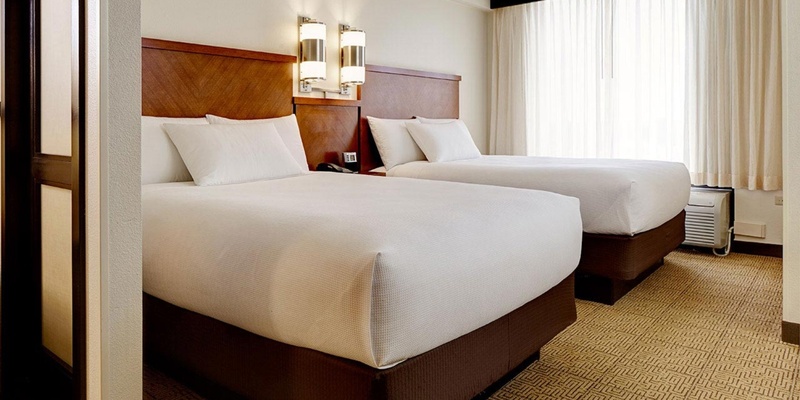 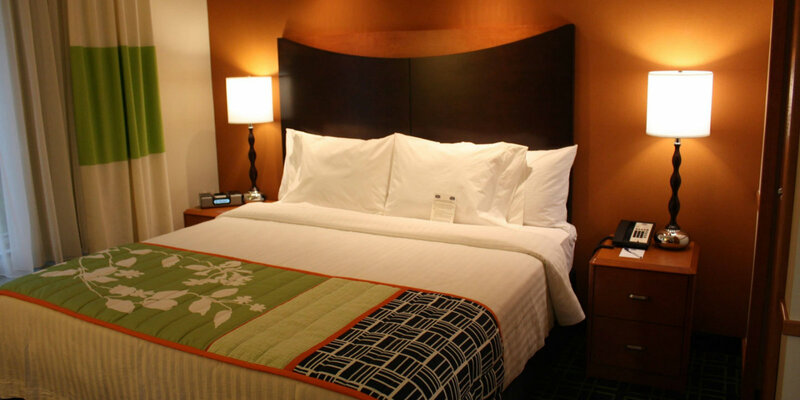 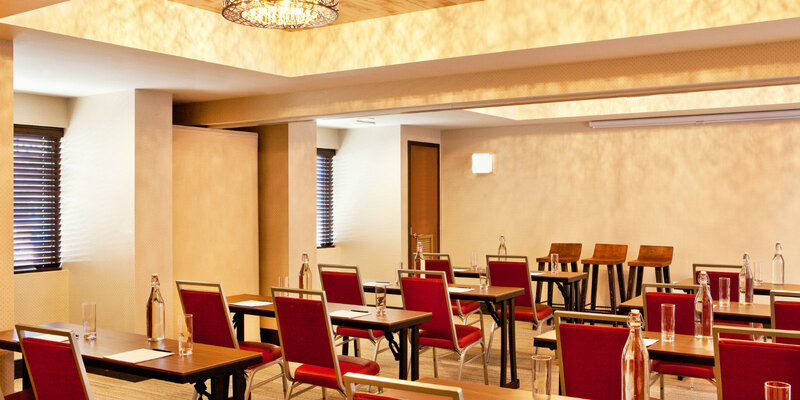 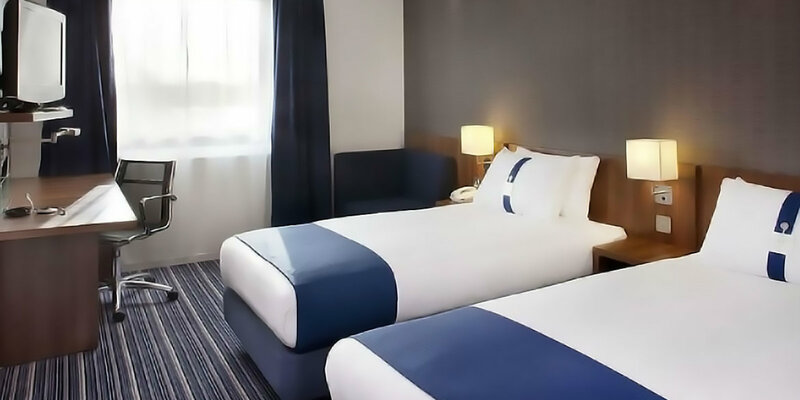 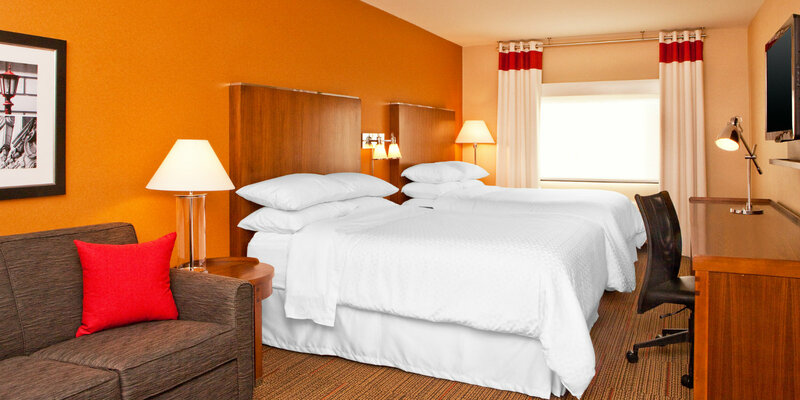 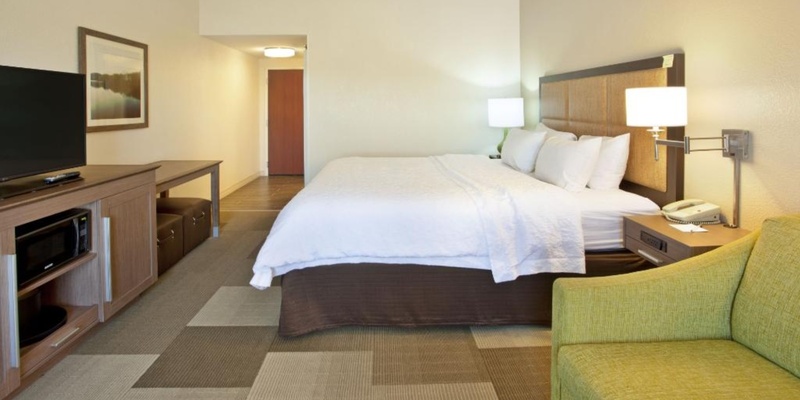 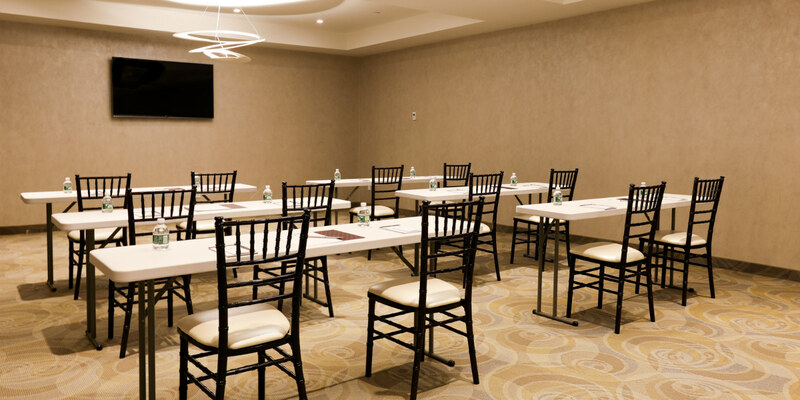 Enjoy value, style, and comfort near LaGuardia Airport at Hotel de Point. 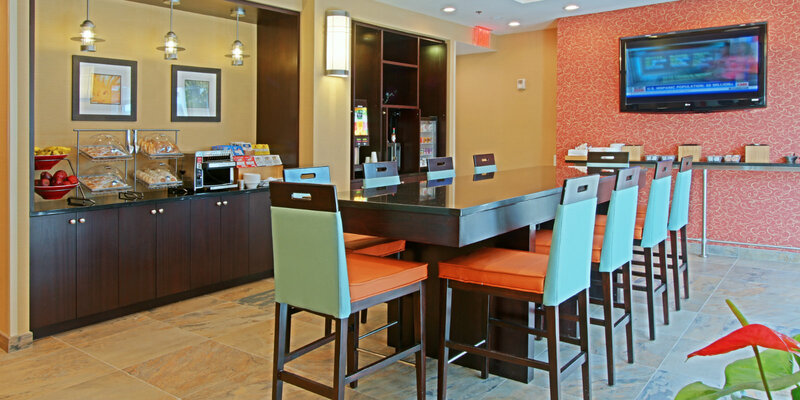 Free parking, WiFi, and buffet breakfast are some of our favorite guest amenities. 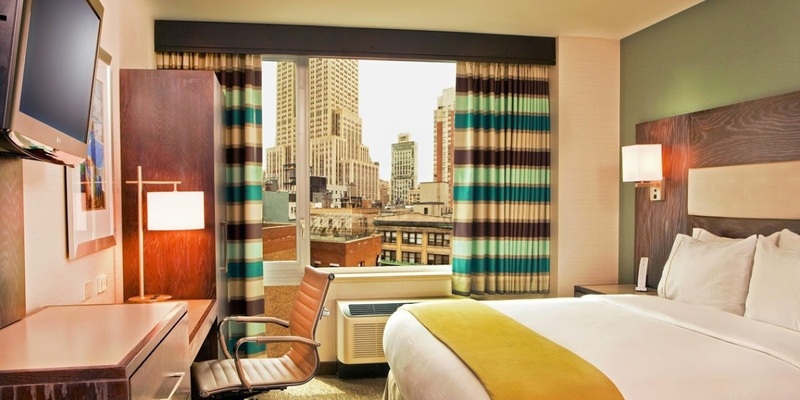 Easily access all major Flushing, NY sites or head to Manhattan for NYC's famous attractions. 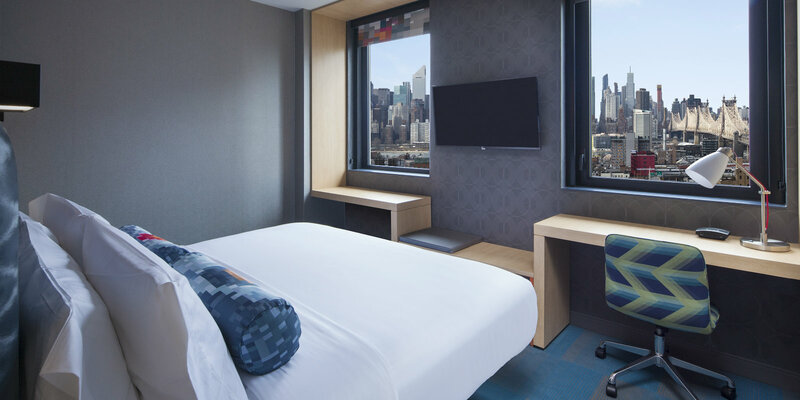 Take in Times Square from your doorstep at Fairfield Inn. 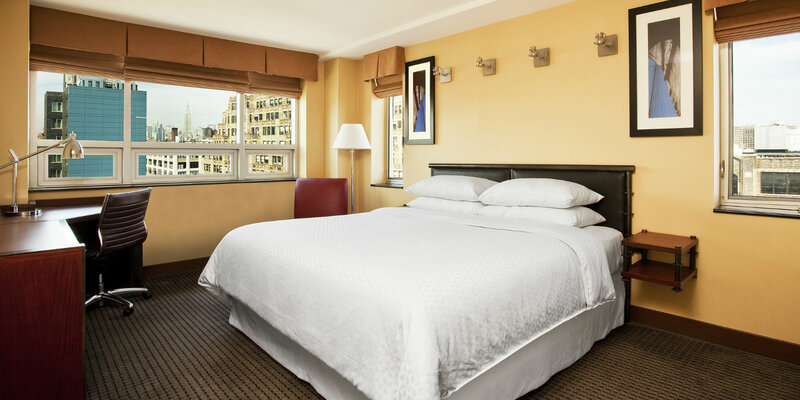 Walk to famous Broadway shows and landmarks such as Rockefeller Center & the Empire State Building. 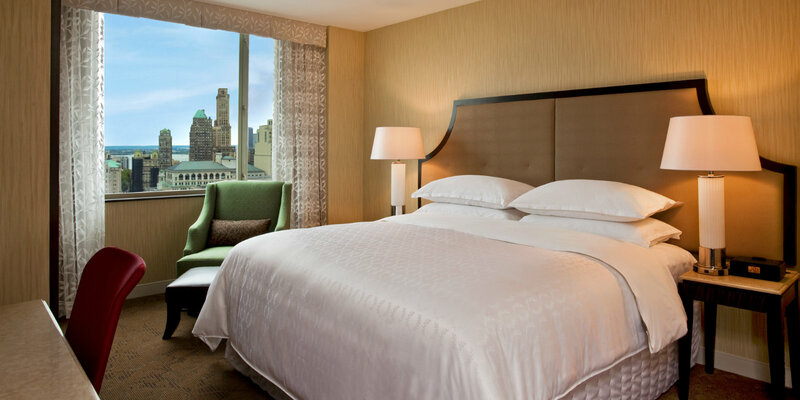 Relax in plush bedding after a day of shopping and site-seeing or head up to our rooftop bar for stunning NYC views. 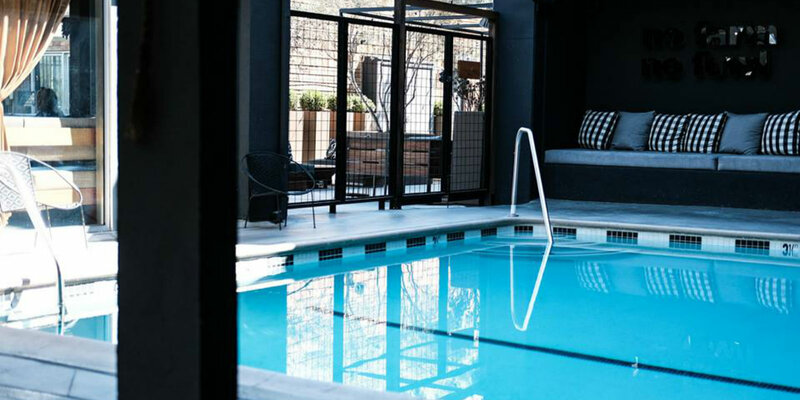 Nestled In a former industrial zone around Brooklyn's Gowanus Canal, this burgeoning area is a unique mix of classic row houses and converted warehouses. 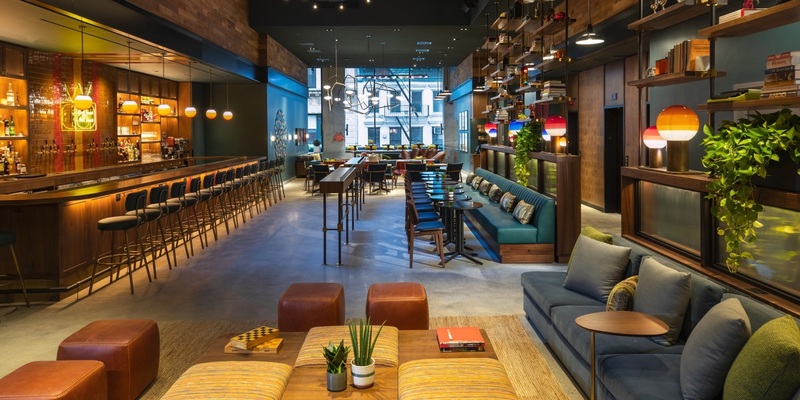 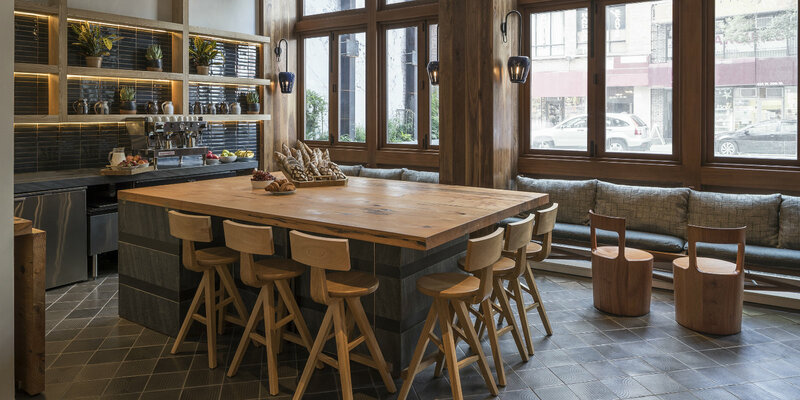 Hipsters and creative types are flocking to the neighborhood to sample the newest eateries around Boreum Hill, Park Slope, and Barclays Center, while the close proximity to Manhattan & Downtown Brooklyn keep you minutes away from all the city's main attractions. 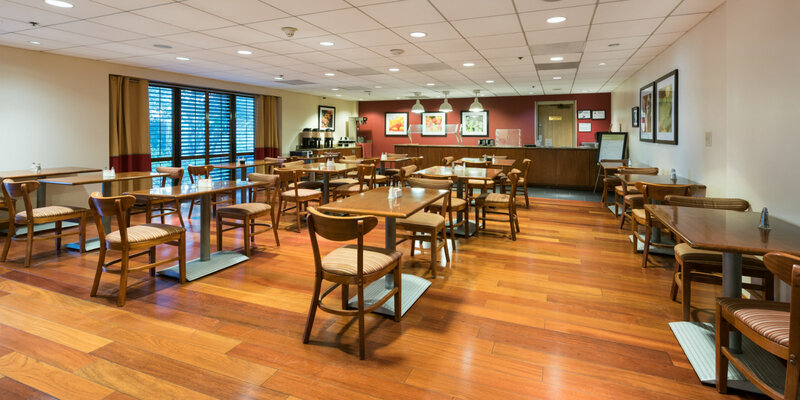 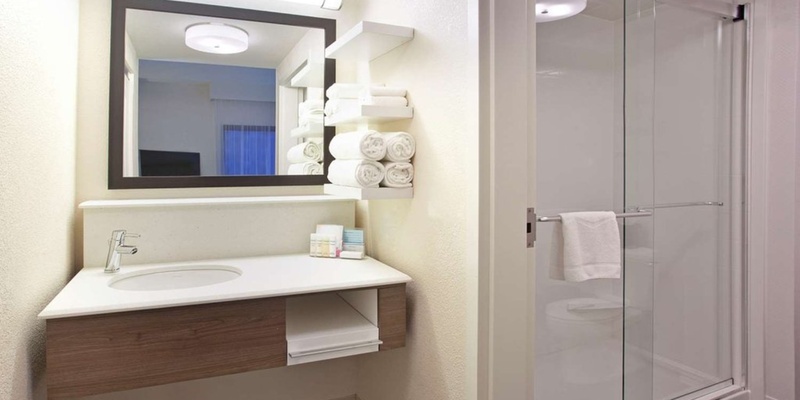 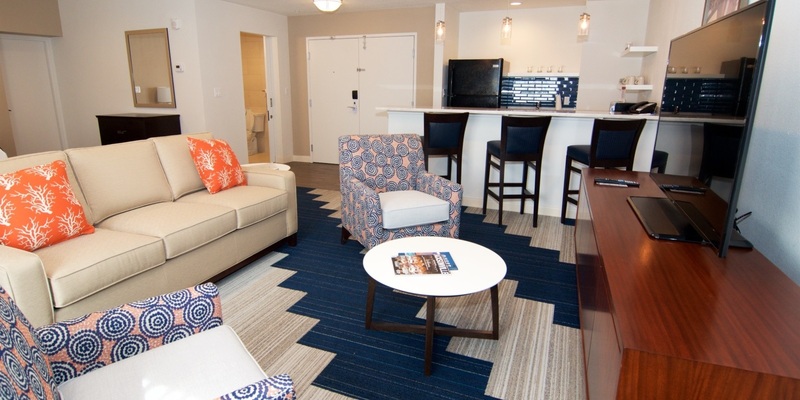 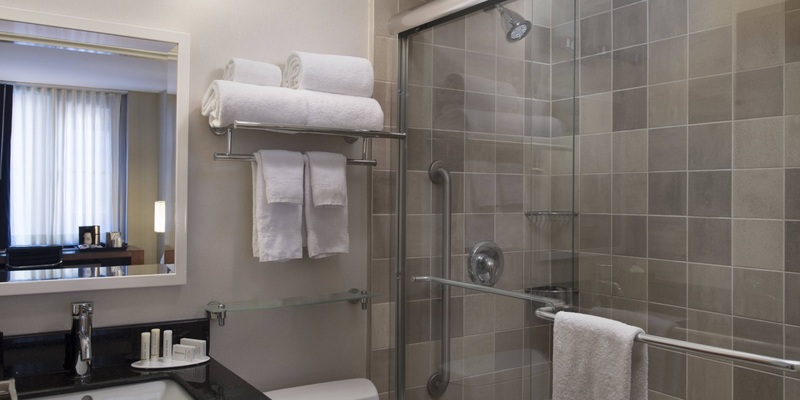 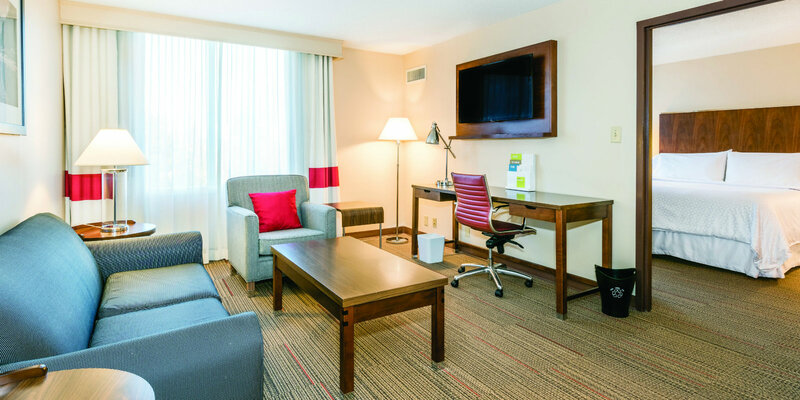 You'll thrive at Residence Inn with the conveniences you need. 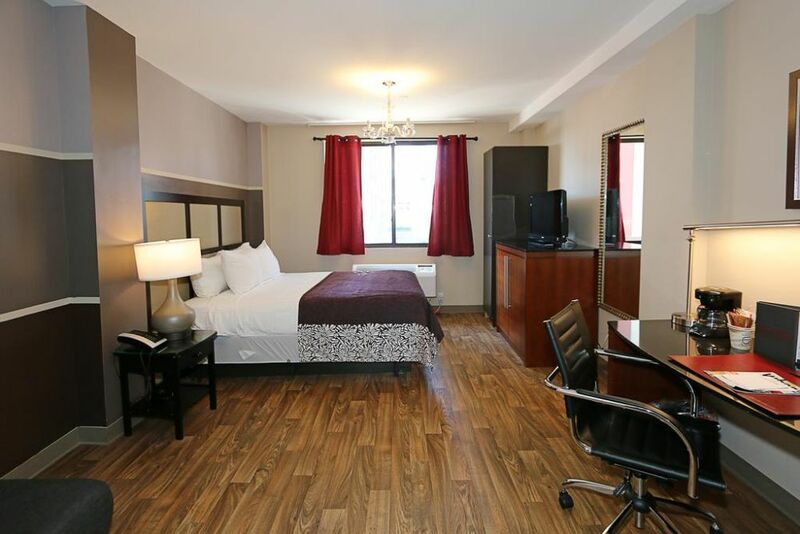 Like spacious studios and one-bedroom suites with separate living and sleeping areas. 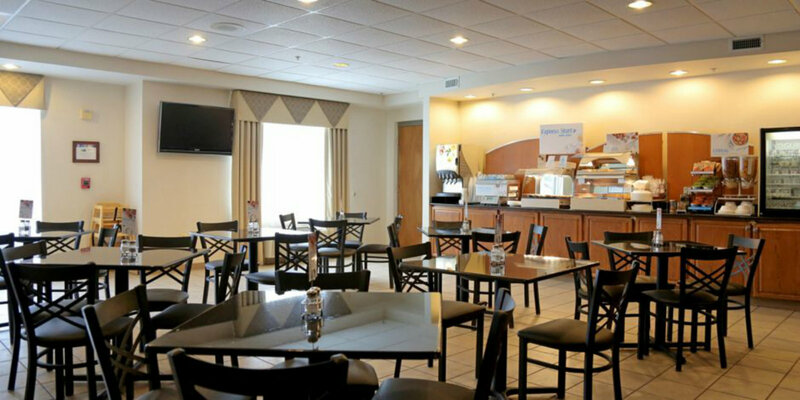 Complimentary grocery delivery service, fully equipped kitchens, and free hot breakfast & free internet are just some of our hotel amenities. 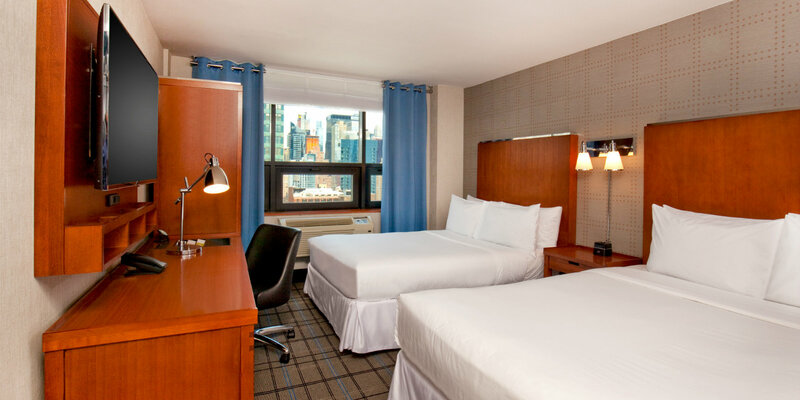 You're in for a relaxing Times Square stay at Four Points after days of working, shopping, or site-seeing. 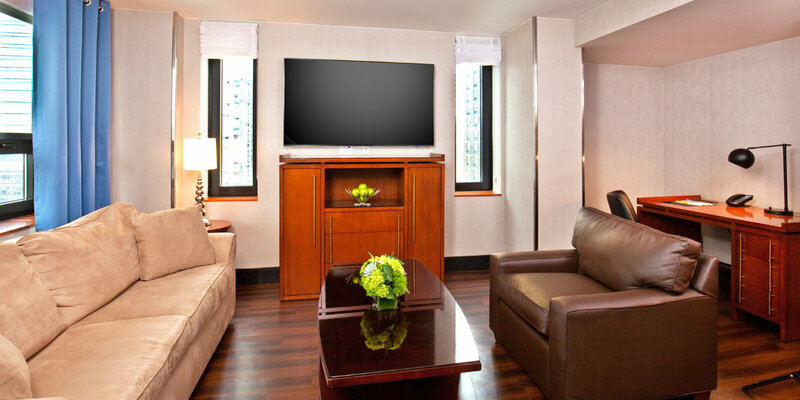 Step out into the Big Apple and walk to Broadway shows, Madison Square Garden, Rockefeller Center, and more. 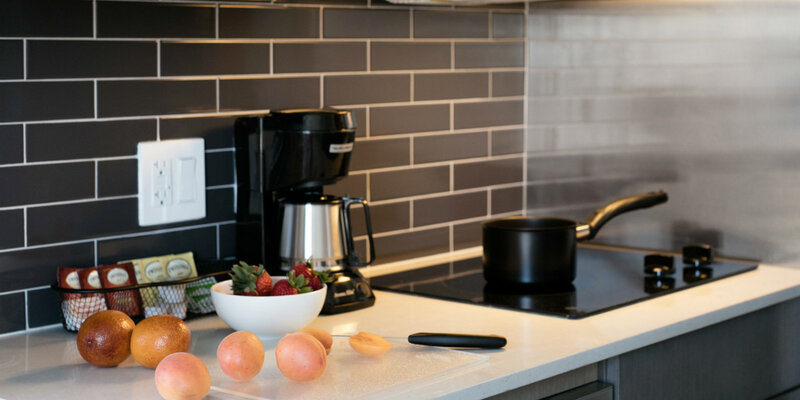 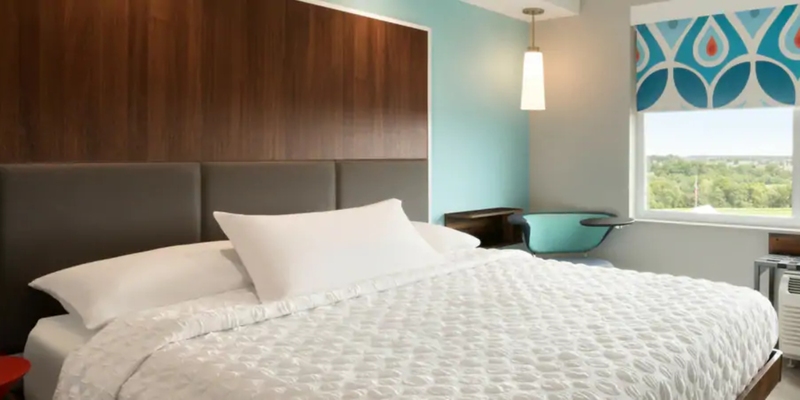 Perched on a highpoint overlooking the Monongahela River in University Town Center, Courtyard Morgantown offers easy access to West Virginia University, Mylan Sports Complex, and Monongalia County Ballpark. 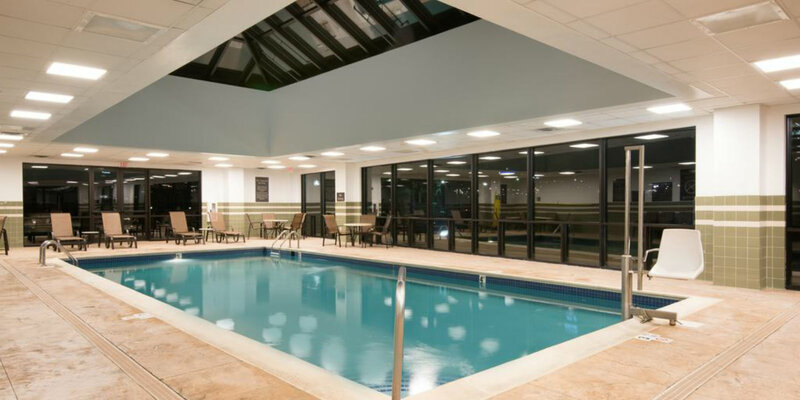 Newly built and in northern New Jersey, stay situated just minutes from MetLife Center, Meadowlands Exposition Center, and New York City. 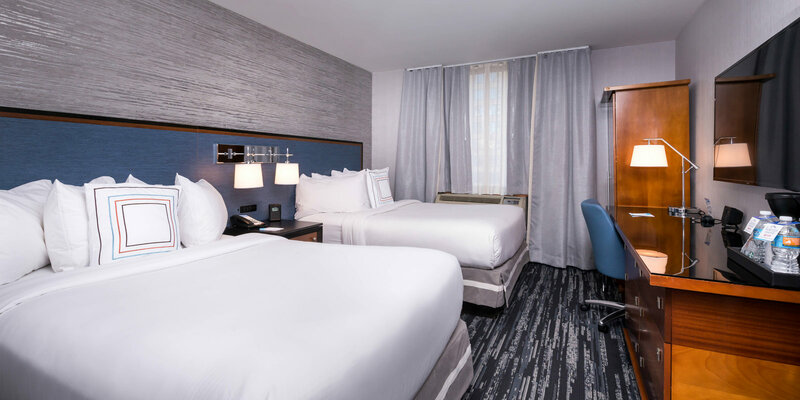 The hotel's complimentary shuttle takes guests to either the Secaucus Train Station or the NJ Transit bus stop, both offering easy access to Midtown Manhattan. 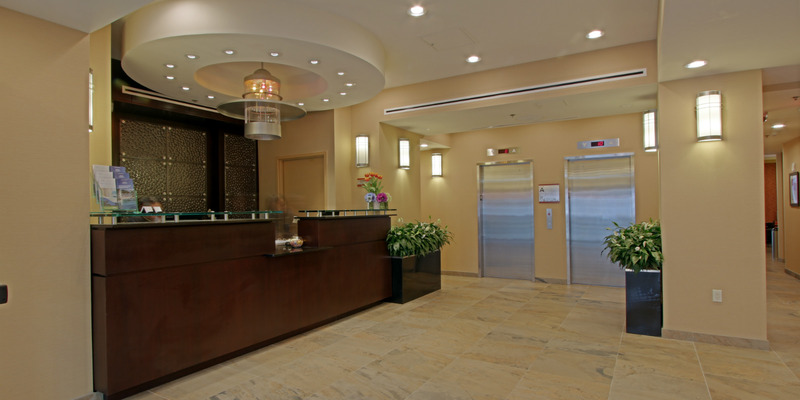 Three remarkable experiences. 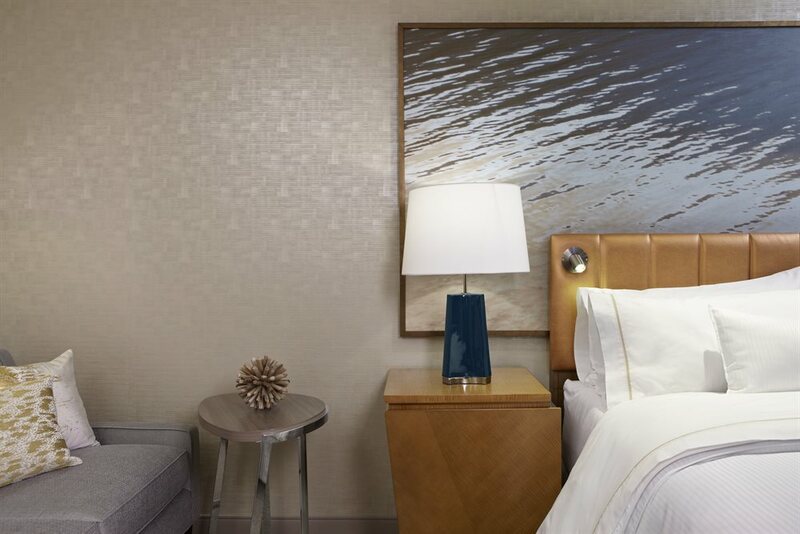 One unforgettable destination. 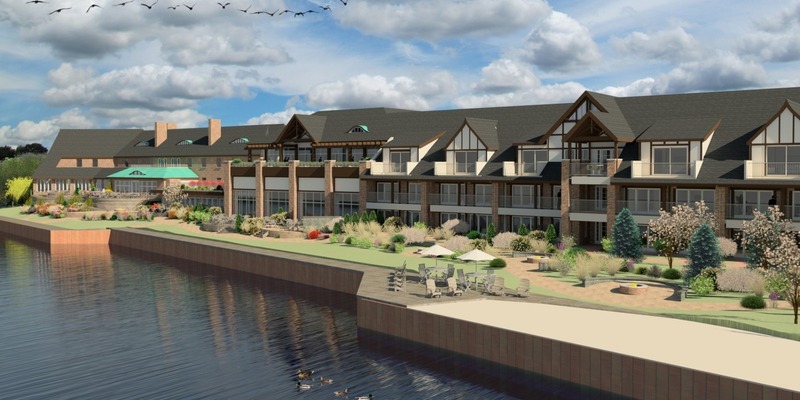 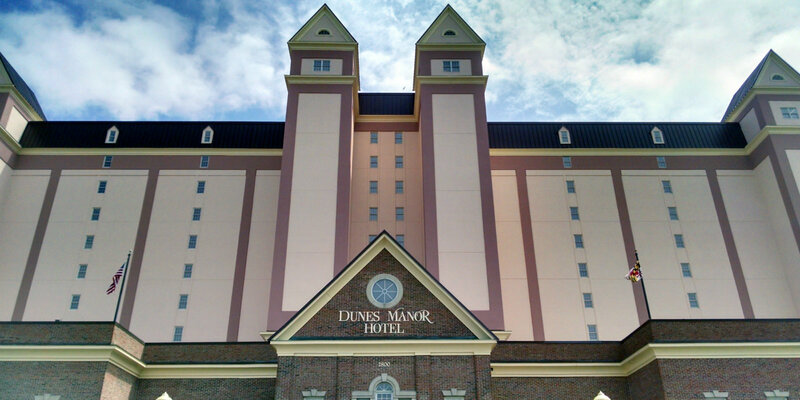 The landmark building, Dunes Manor Hotel, keeps guests in the middle of the action with easy access to Zippy Lewis Lounge and The Victorian Room restaurant. 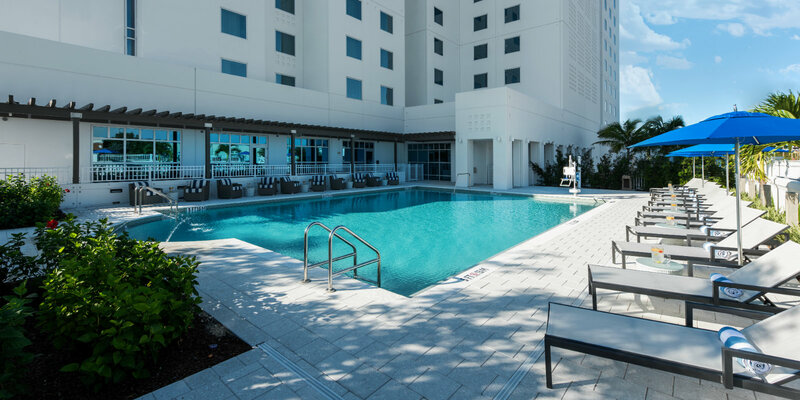 For guests wanting a taste of retro-chic, Dunes Court never disappoints with poolside patios and modern design. 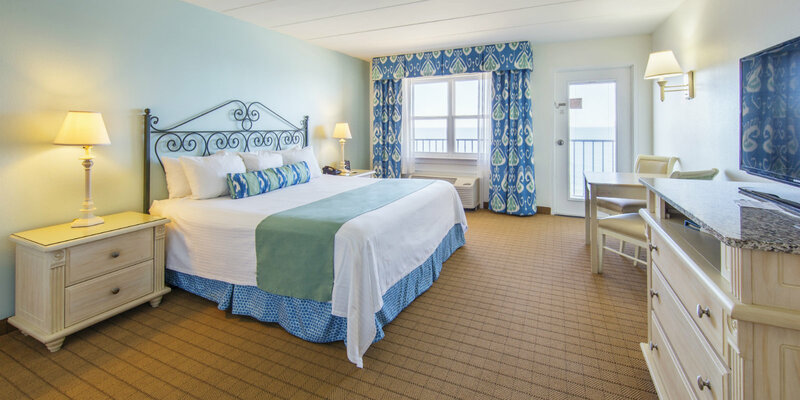 Dunes Suites offers guests a home away from home with extra space, privacy at the foot of the boardwalk, and all-oceanfront rooms with terraces. 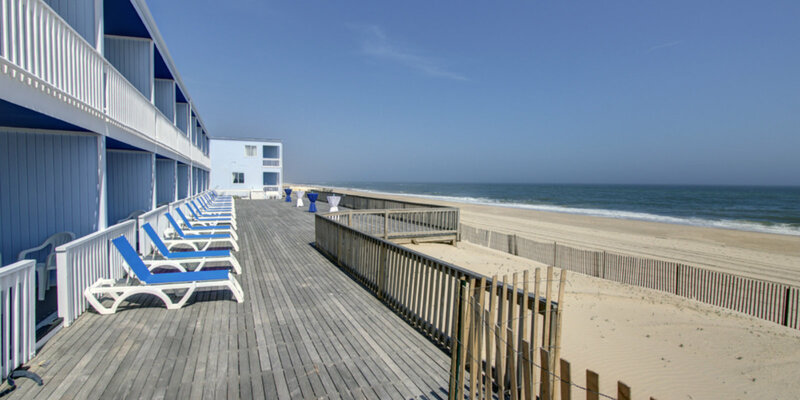 The three buildings are mere steps away from each other and all allow for easy beach access. 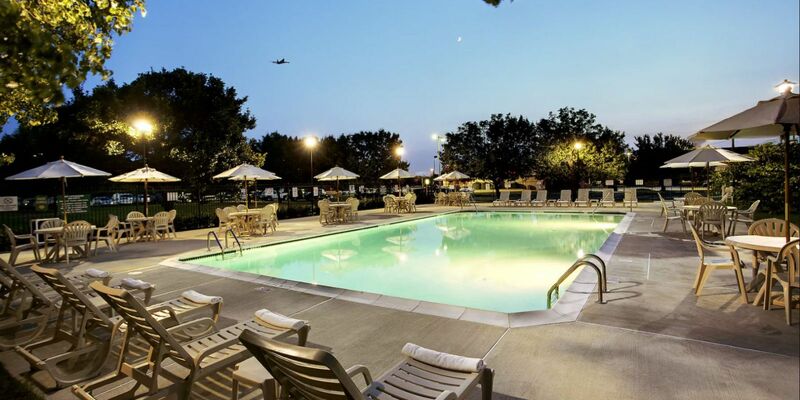 This newly remodeled outpost at University Town Centre offers close proximity to West Virginia University, renowned golf courses, and breathtaking parks & recreation areas. 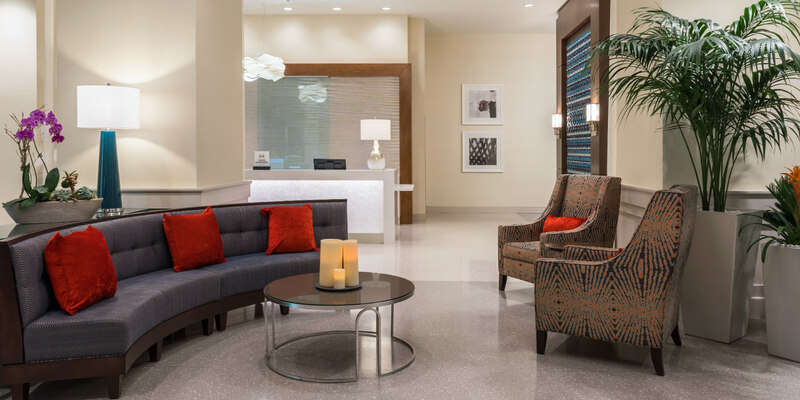 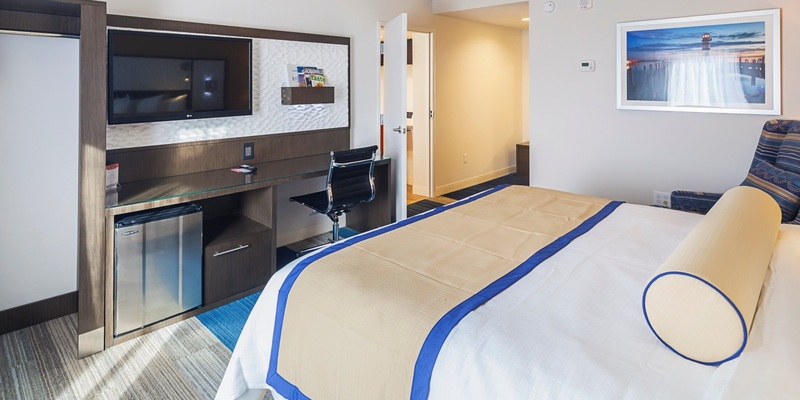 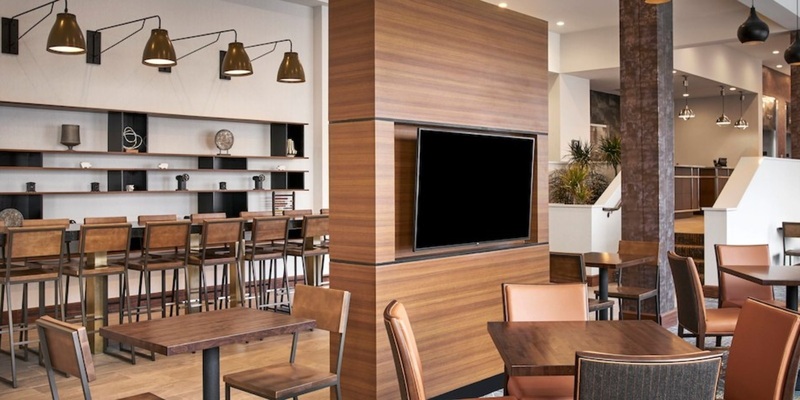 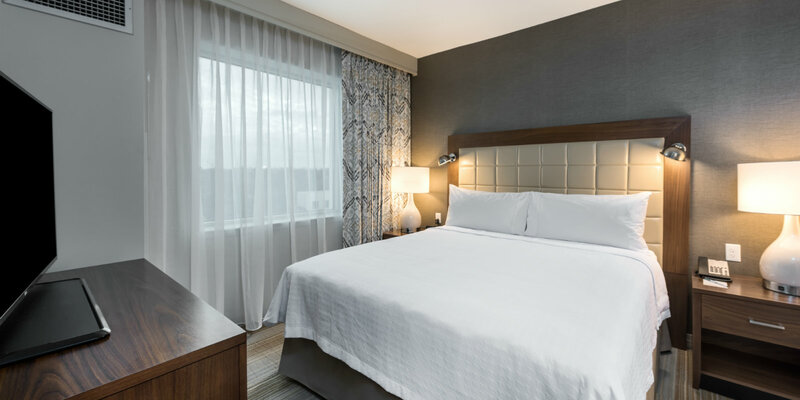 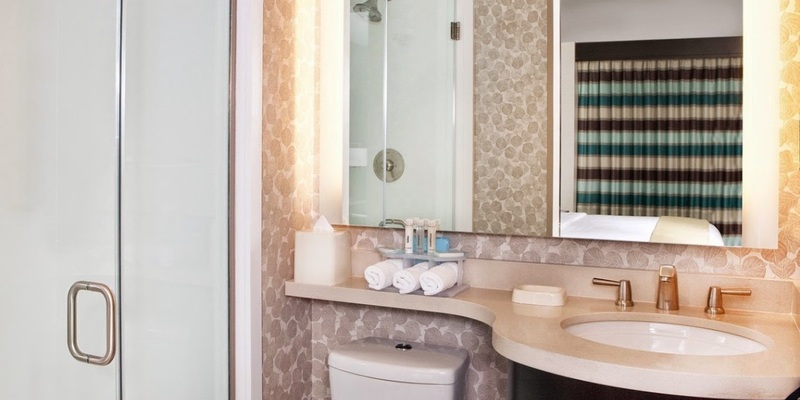 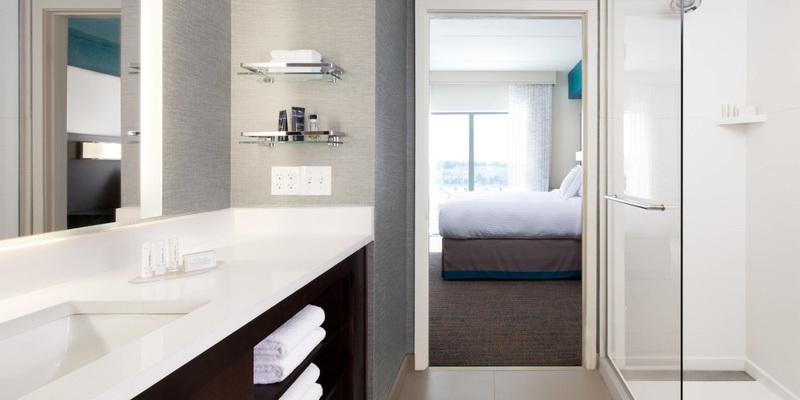 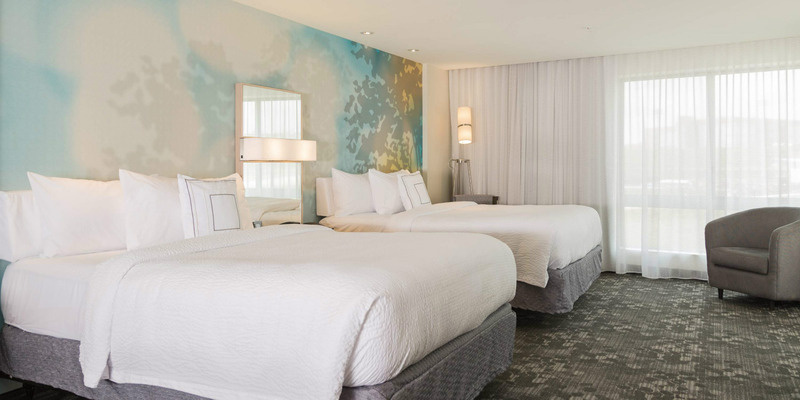 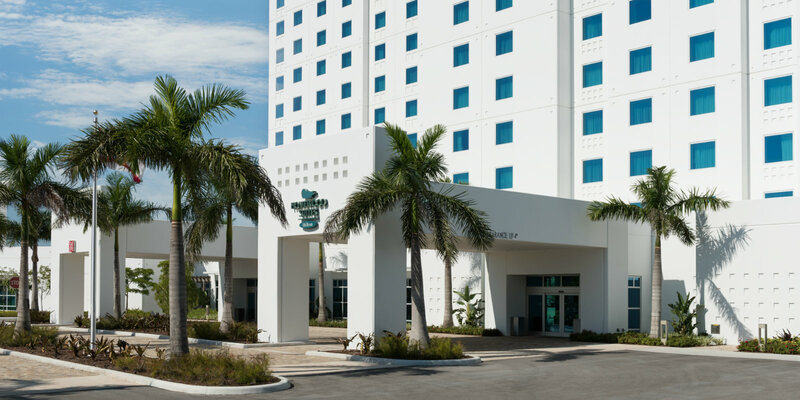 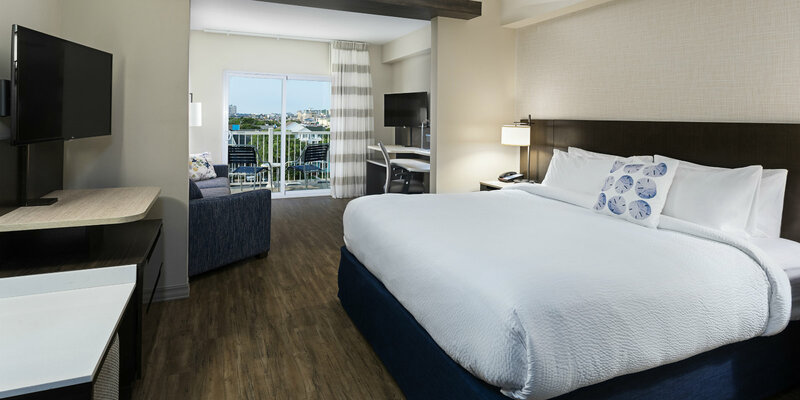 Perfect for a pre/post cruise stay, a shopping excursion to Dolphin Mall, or a visit to downtown Miami, the Hilton Garden Inn offers travelers a stylish and comfortable getaway in South Florida. 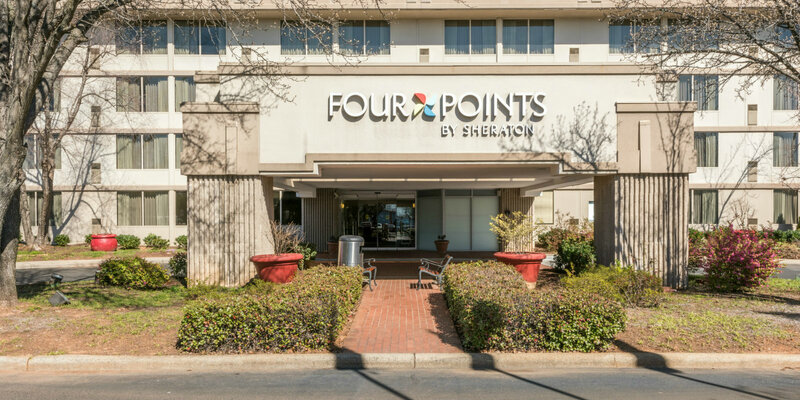 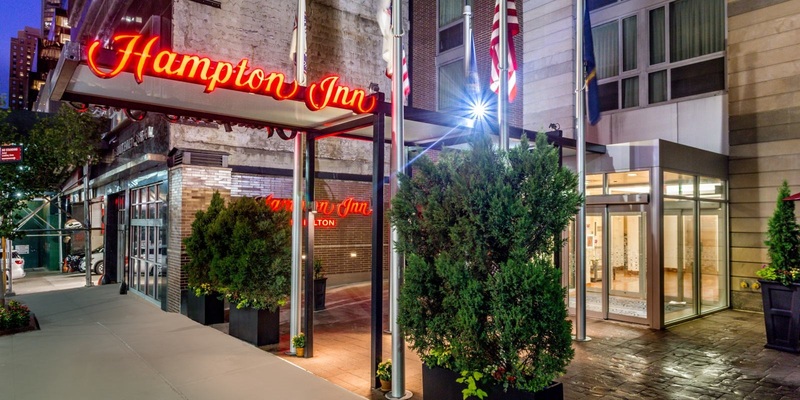 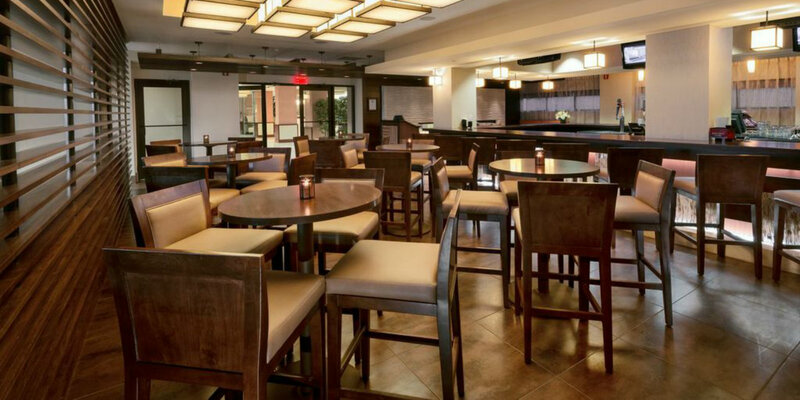 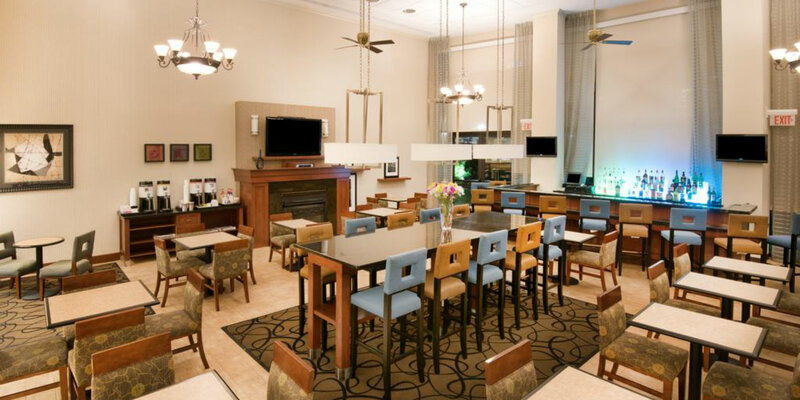 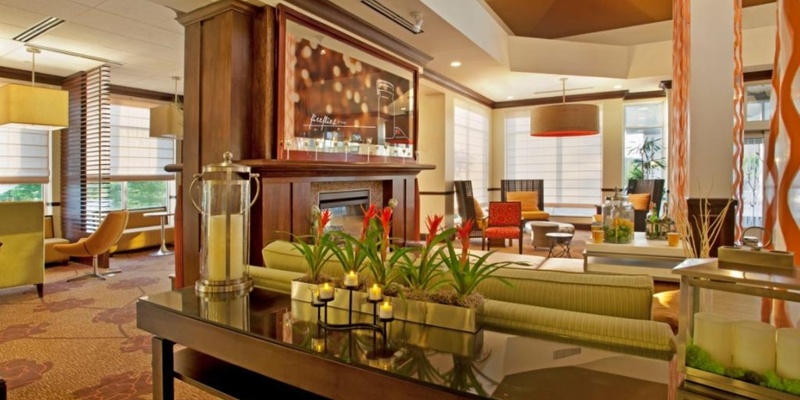 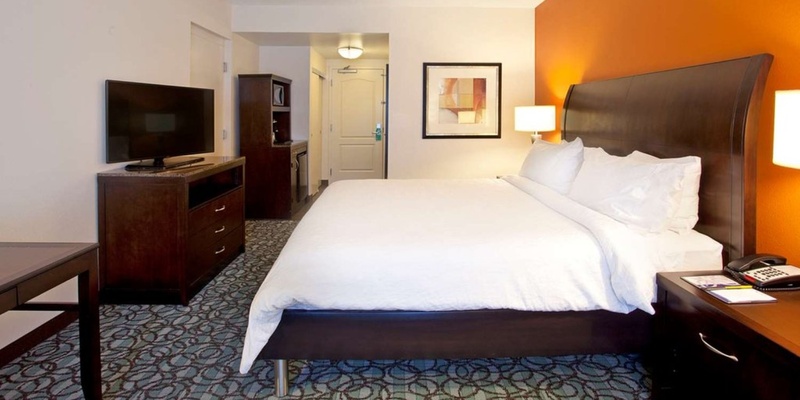 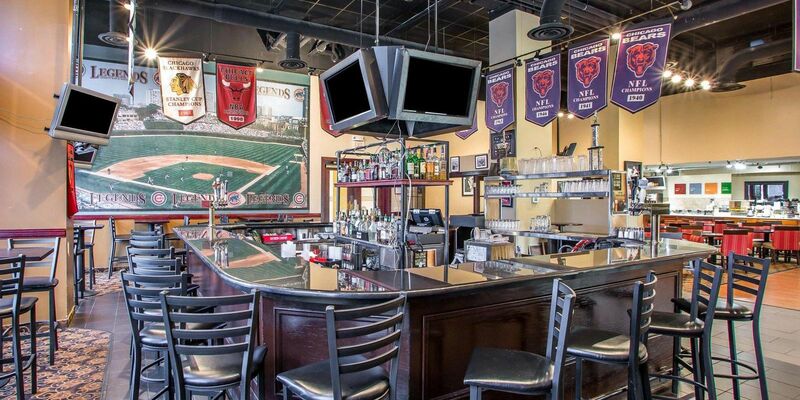 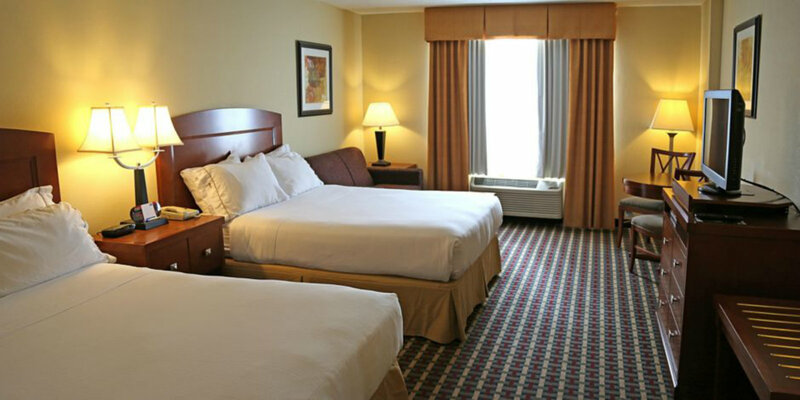 Enjoy sporting events, concerts, and easy access to EWR from this centrally located hotel. 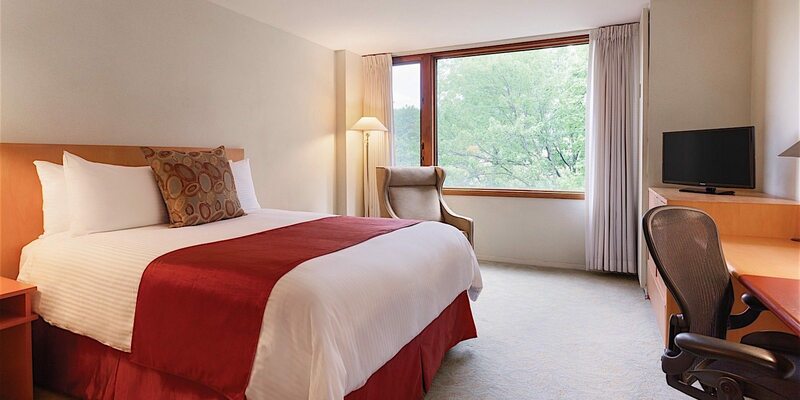 Free onsite parking with shuttle service to EWR & NJ Penn Station make it a breeze to get to and from NYC. 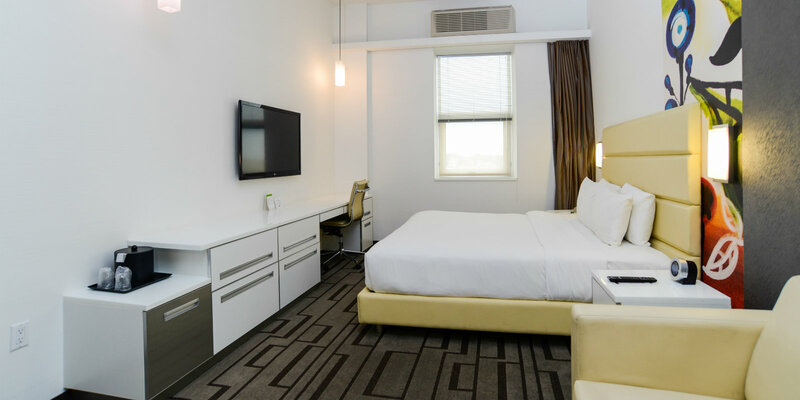 Stay close to MetLife Stadium, Red Bull Arena, Meadowlands Sports Complex and Prudential Center while right on the Passaic River. 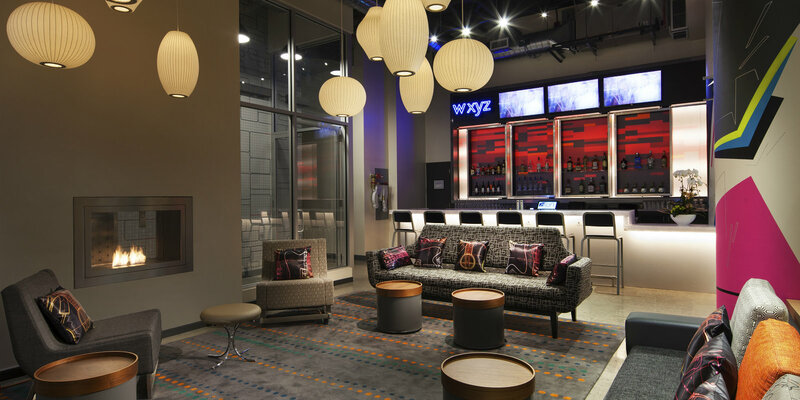 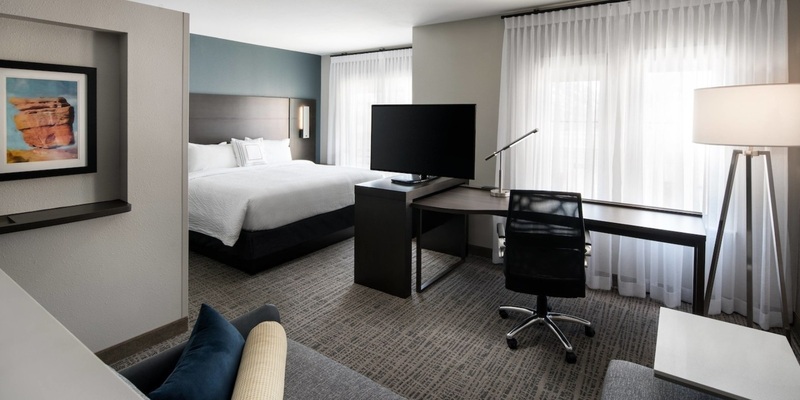 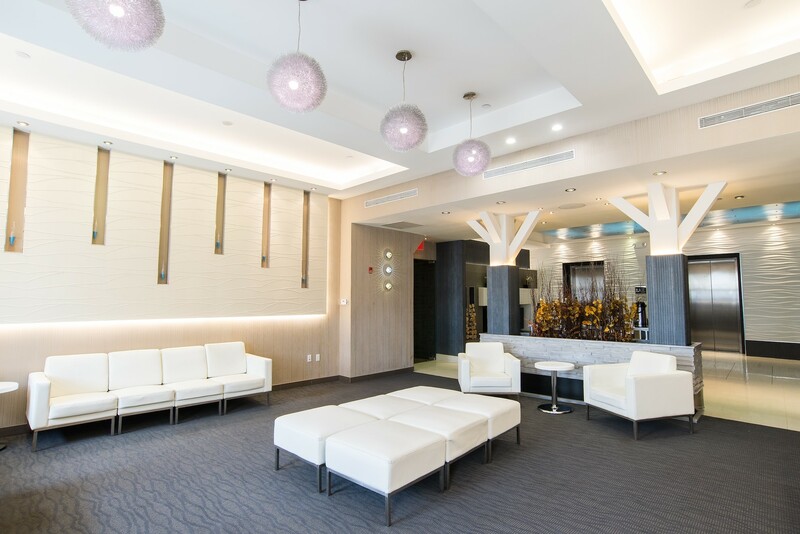 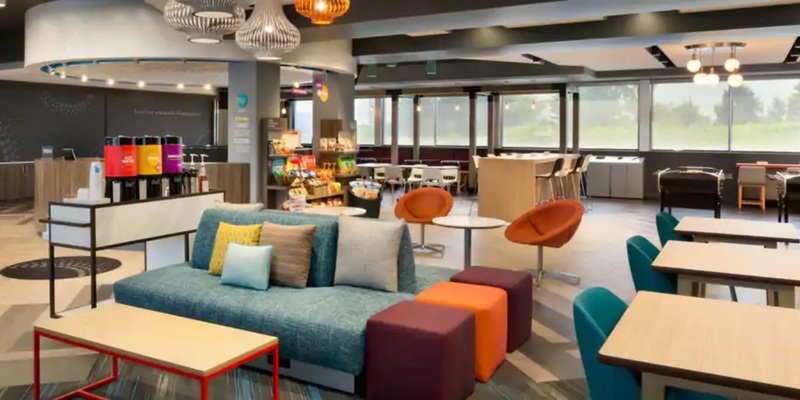 This Motor City outpost offers a complimentary airport shuttle to and from DTW, free bottled water, modern design, and a full service restaurant for all of your Detroit area needs. 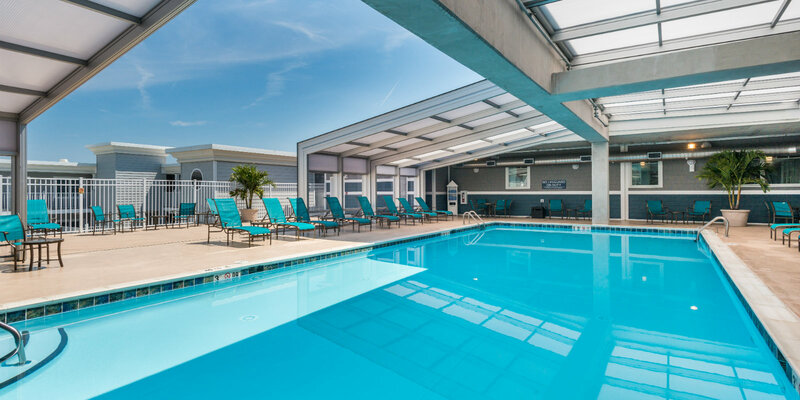 Stay close to both Charlotte Douglas International Airport and uptown Charlotte where you'll find Bank of America Stadium, Spectrum Center, and The EpiCentre. 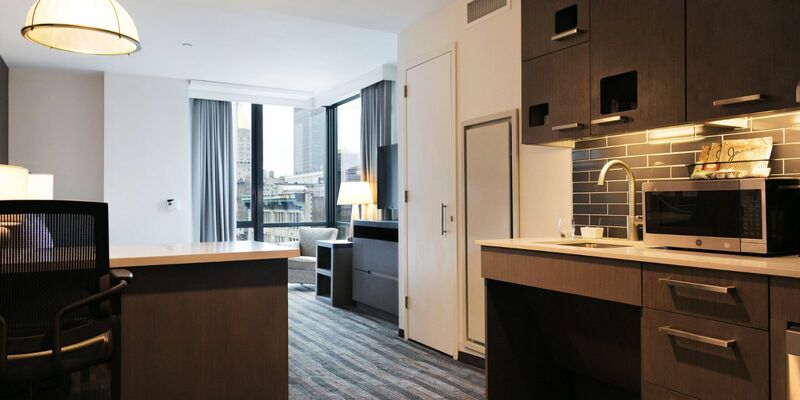 Hop on the LYNX Light Rail, just across the street from the hotel, and reach uptown in a matter of moments. 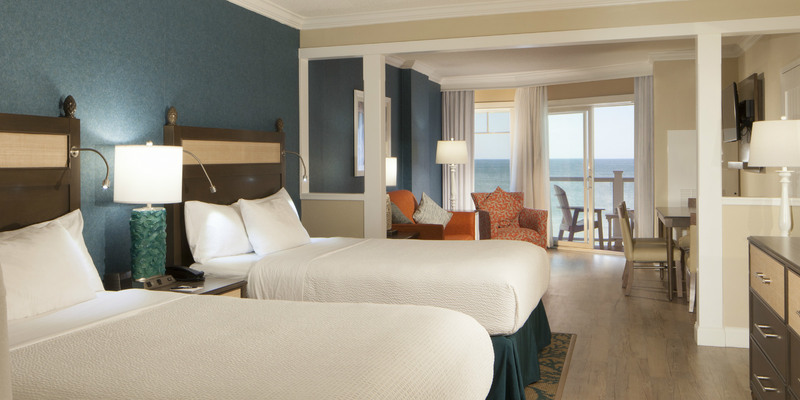 Located just two blocks from the beach, this award-winning hotel is the perfect place for your seasonal getaway. 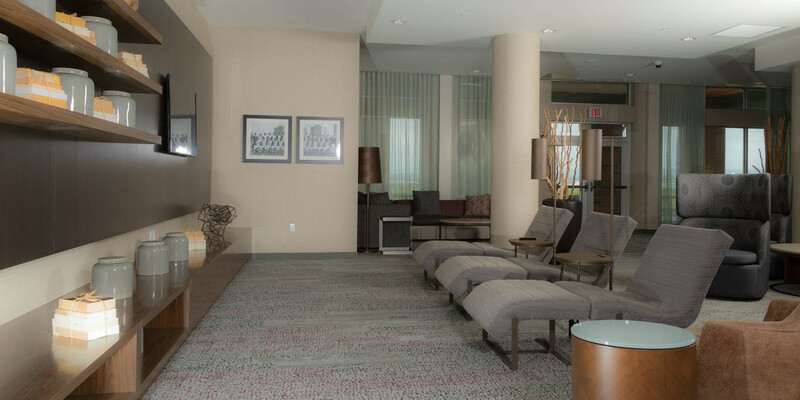 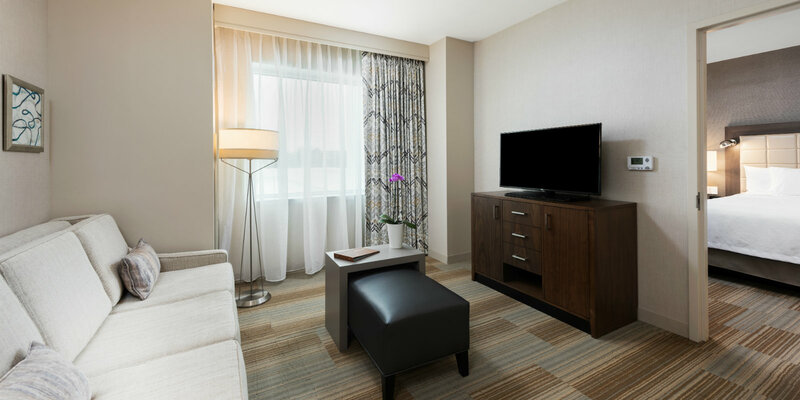 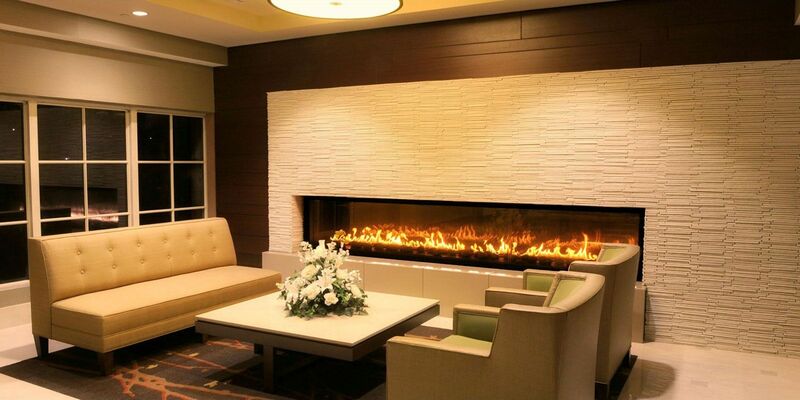 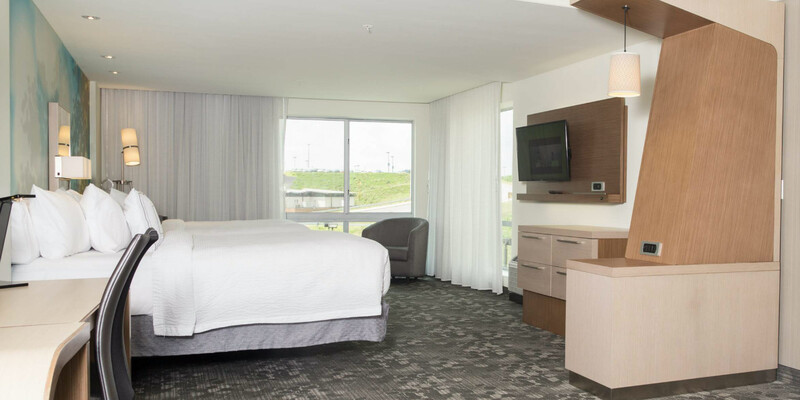 Stay comfortable in modern guestrooms or enjoy a celebration in 1400 sq ft of event space. 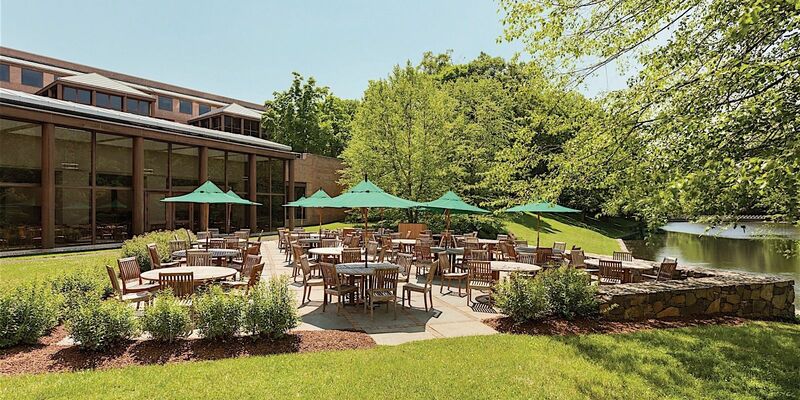 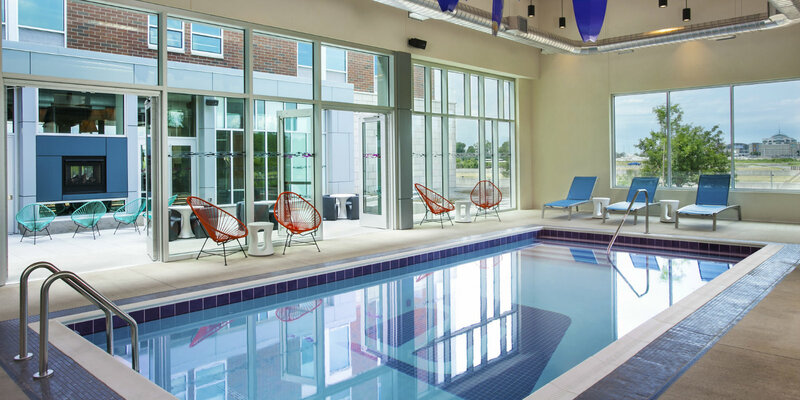 An outdoor pool and free breakfast are just some of the great amenities at this green-certified hotel. 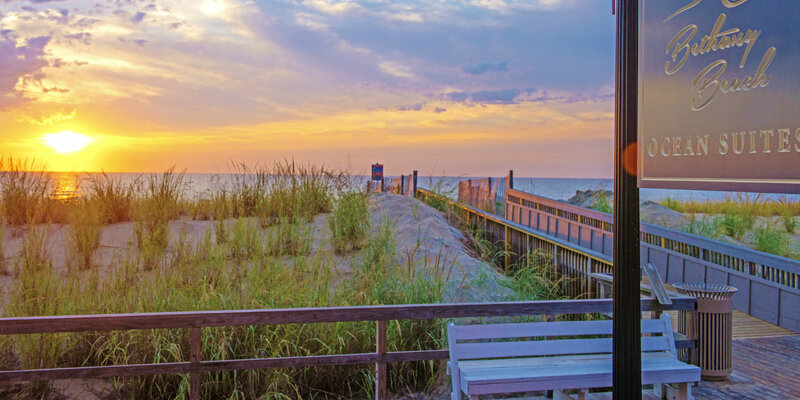 The legendary beaches of Rehoboth are waiting for your summer getaway. 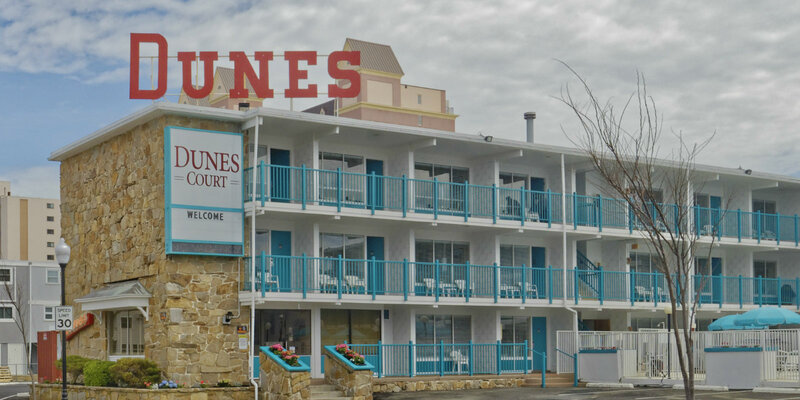 This all-inclusive town is known for fun summer activities and nightlife. 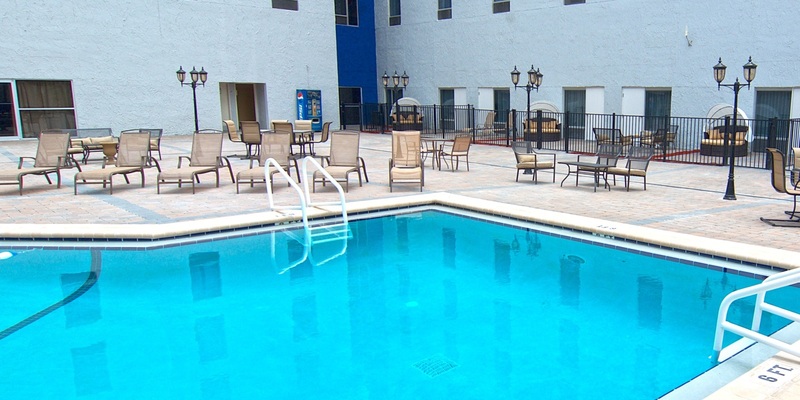 After days & nights of summer fun relax on our outdoor deck, indoor pool, and comfy beds. 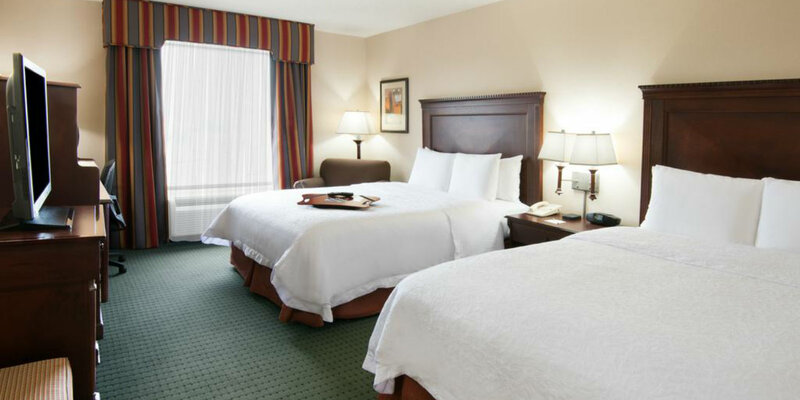 Music City USA is only 15 minutes away from our Nashville-area hotel. 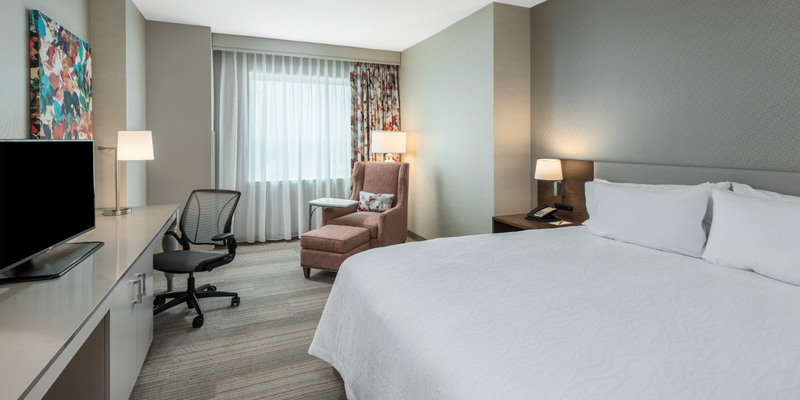 Free hot breakfast, Wifi, indoor pool, and a business center are yours to enjoy along with clean & comfy beds and a perfect location near the Country Music Hall of Fame. 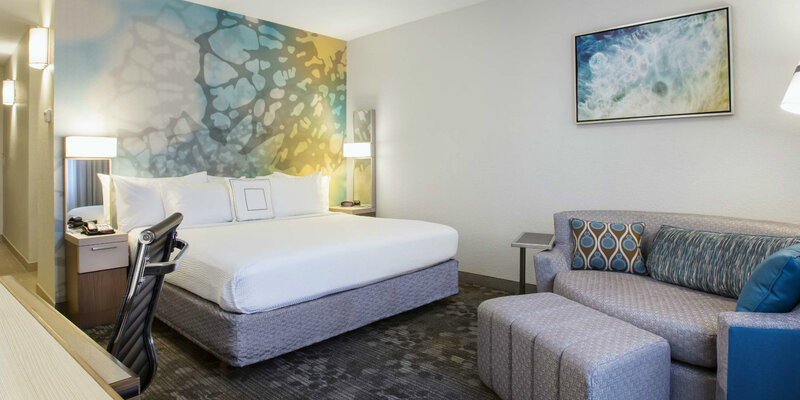 Stay comfortable during your next visit to Phoenix and indulge with plush signature Hyatt Grand Beds™, free Wi-Fi, daily breakfast, and a local area shuttle. 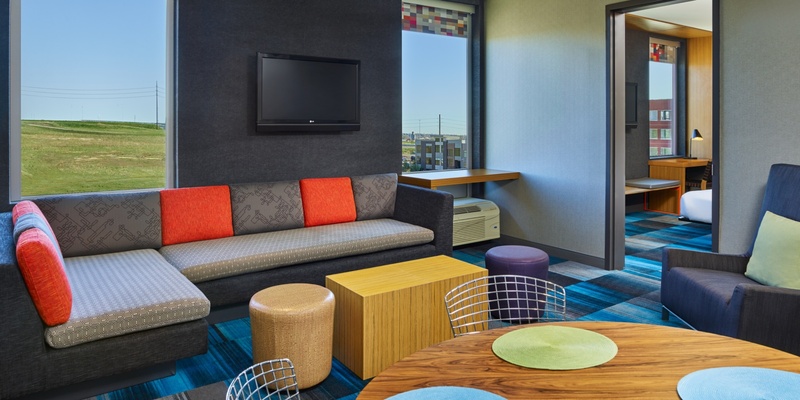 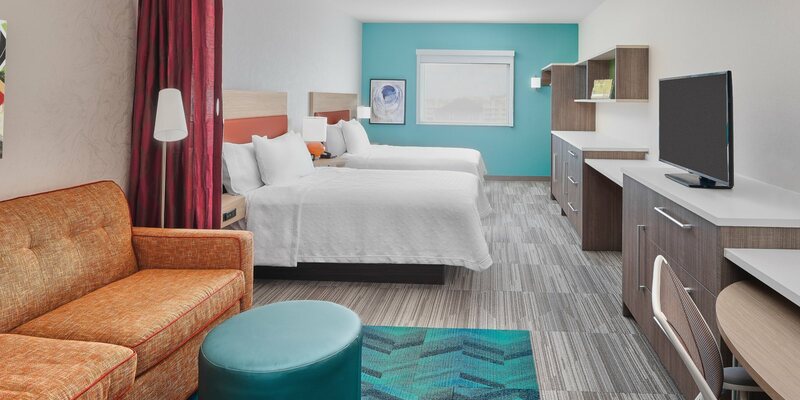 Travelers love the fact that Hyatt Place Phoenix-North is close to the city, only 9 miles from Glendale, and offers east access to Arizona State West Campus, University of Phoenix Stadium, and more. 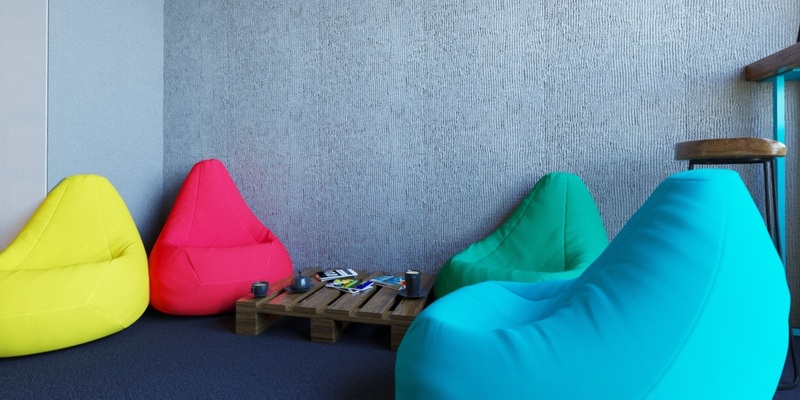 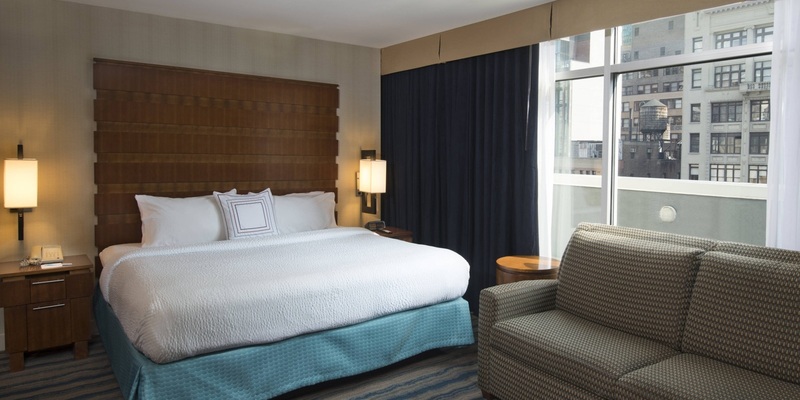 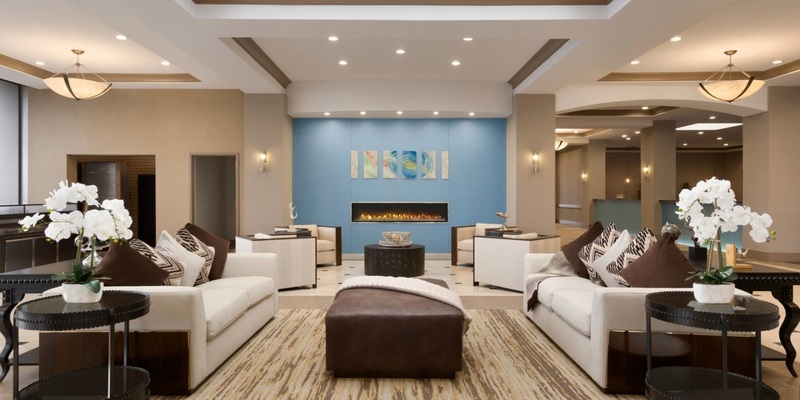 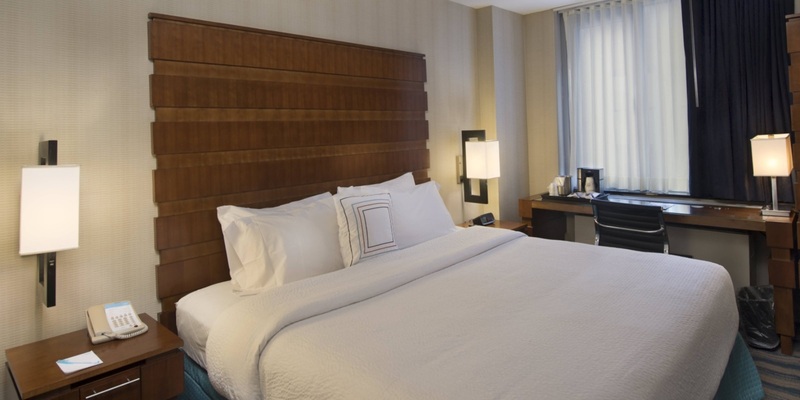 Find value and comfort just outside of the Philadelphia City Center. 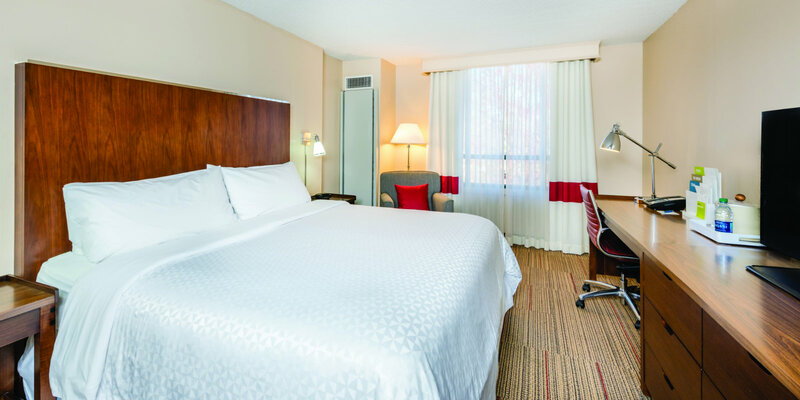 Stay close to Wells Fargo Center for concerts & sports as well as Lincoln Financial Field for football. 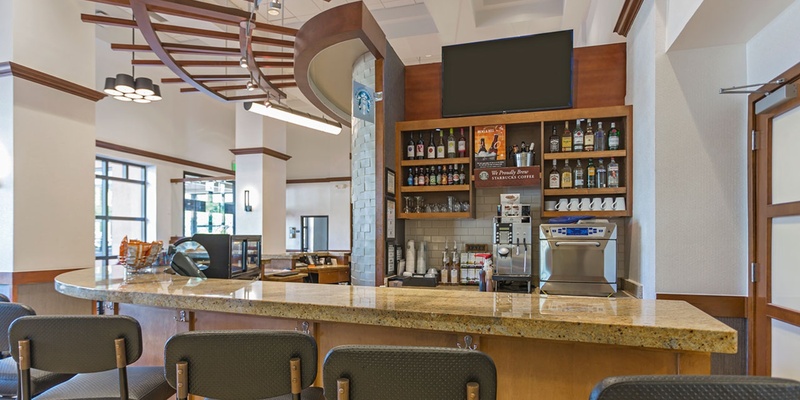 Ample parking on the premises and many food options nearby. 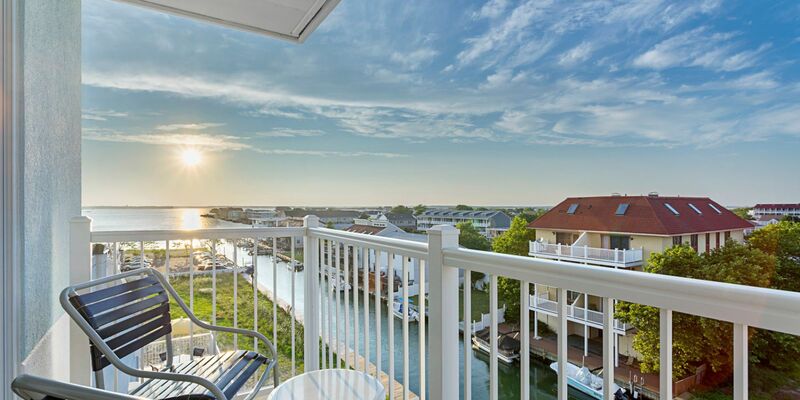 Enjoy stunning waterfront sunsets and easy access to the beach, restaurants, and shops. 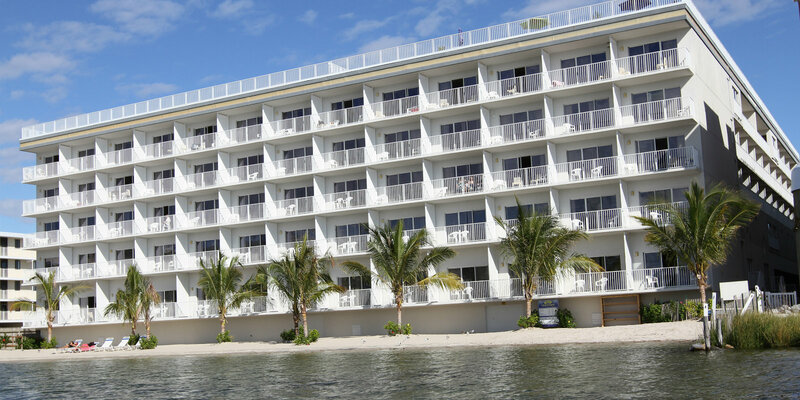 Let the hotel team schedule your beach activities or take in the water views from the comforts of your hotel room. 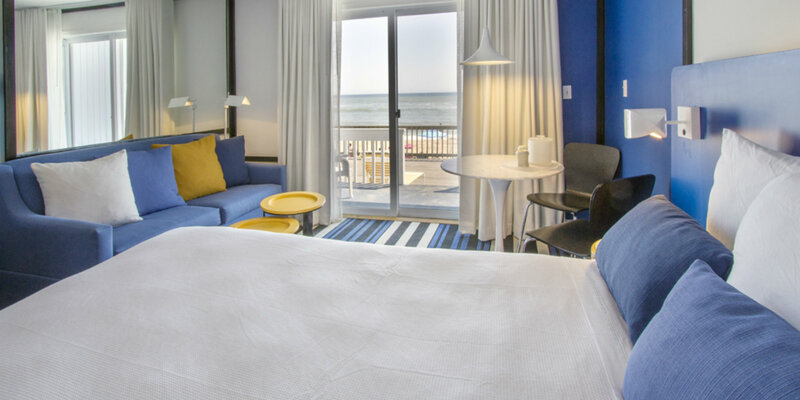 Enjoy boardwalk and beachfront access at Ocean 1 Hotel & Suites. 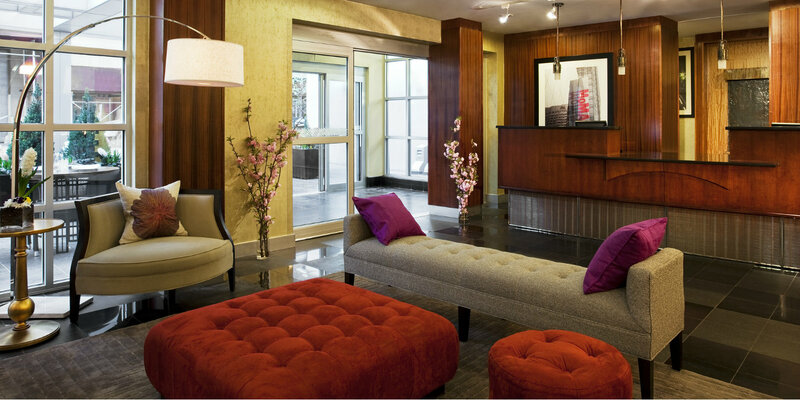 Stay in the middle of action for the summer season with great service, on-site parking, and private balconies. 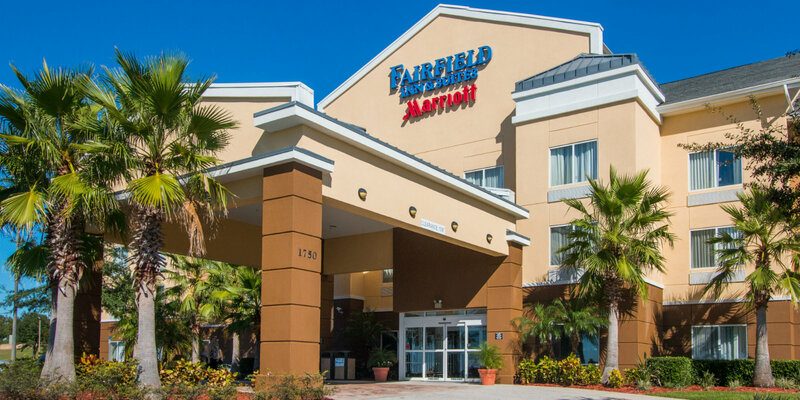 This convenient location next to South Lake Hospital, National Training Center, and Lake Sumter State College is also only 20 miles away from Orlando. 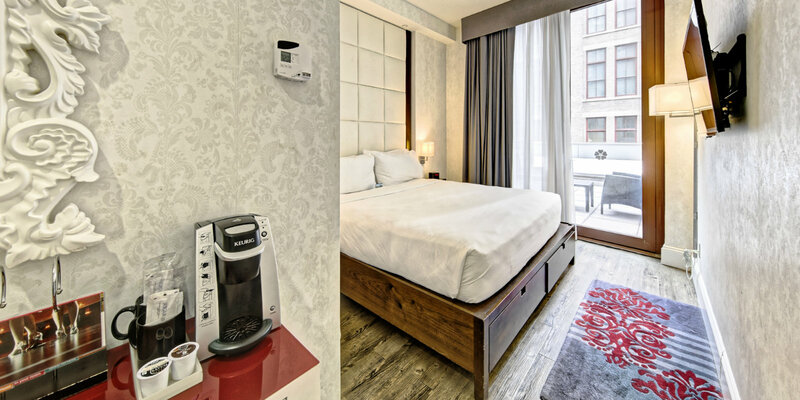 The perfect location in Manhattan awaits at Holiday Inn Express. 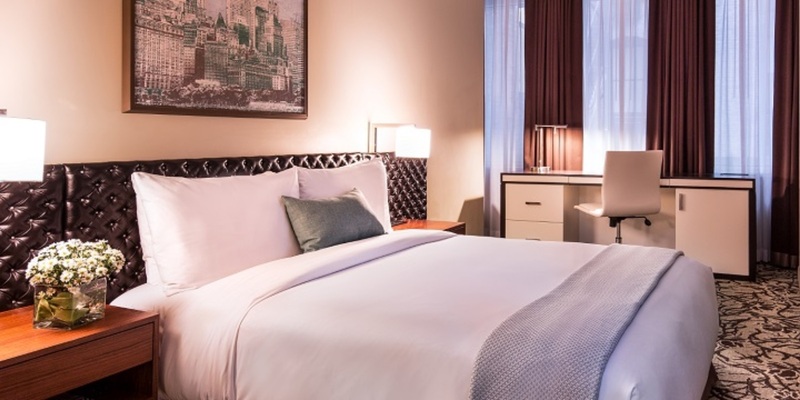 After spending the night in a comfy room and enjoying a free buffet breakfast, easily access landmarks such as Macy's Herald Square, Madison Square Garden, and Times Square, all a short walk from the hotel. 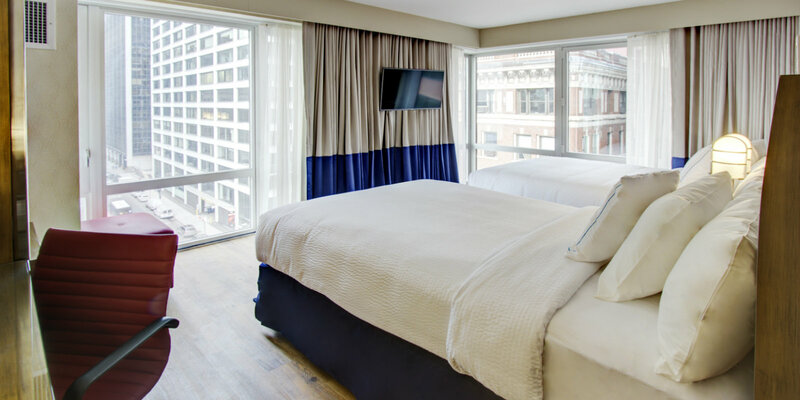 Seamlessly access the Flatiron District, NoMad, Herald Square, and the Empire State Building from this centrally located Manhattan hotel. 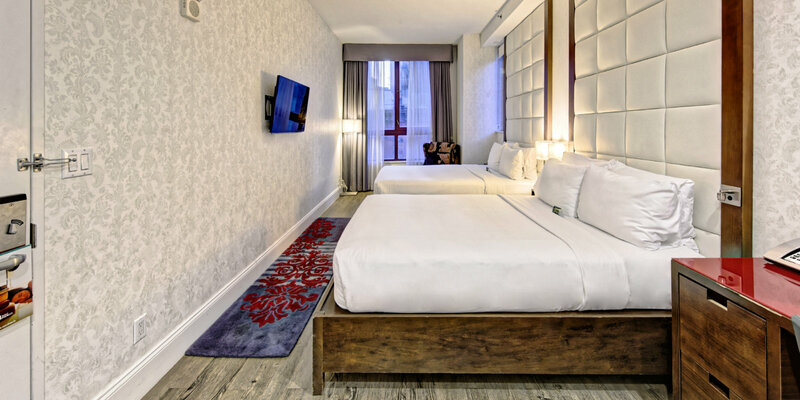 Comfortable beds, great service, and free breakfast are what's in store for your next trip to the Big Apple. 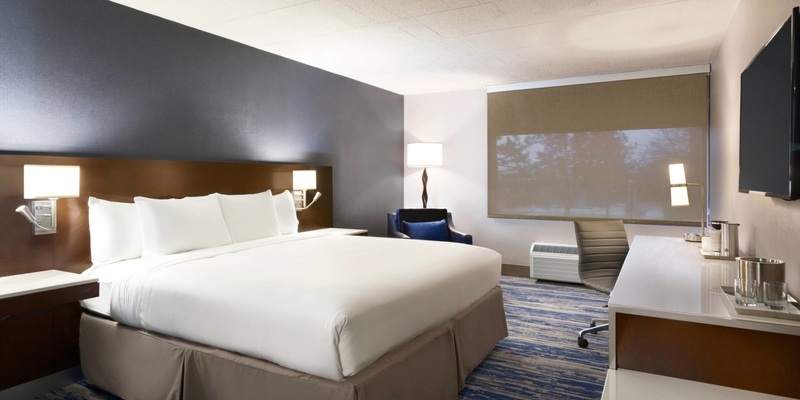 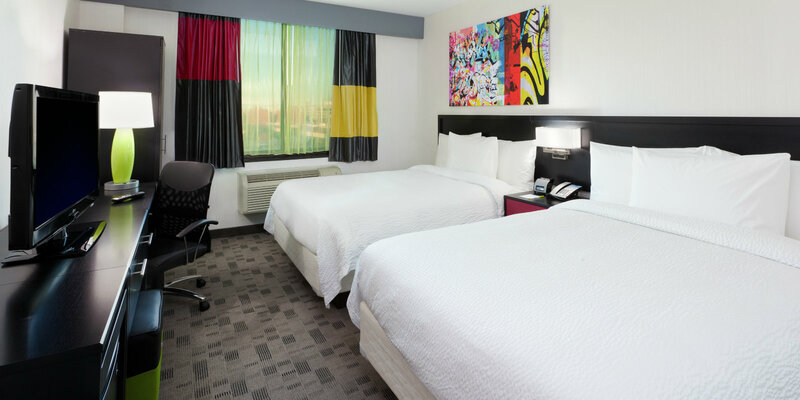 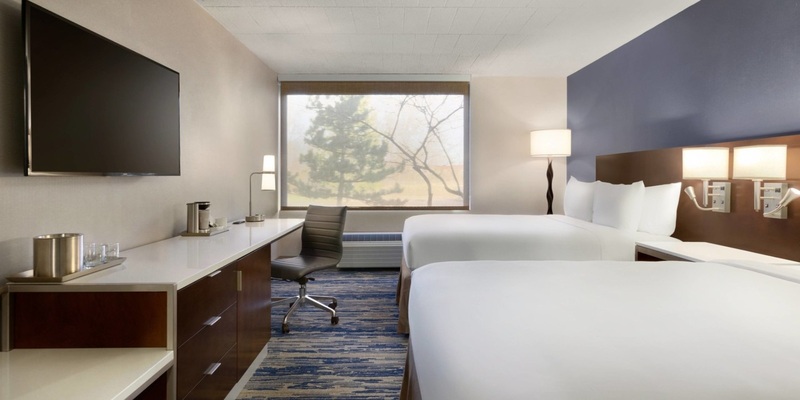 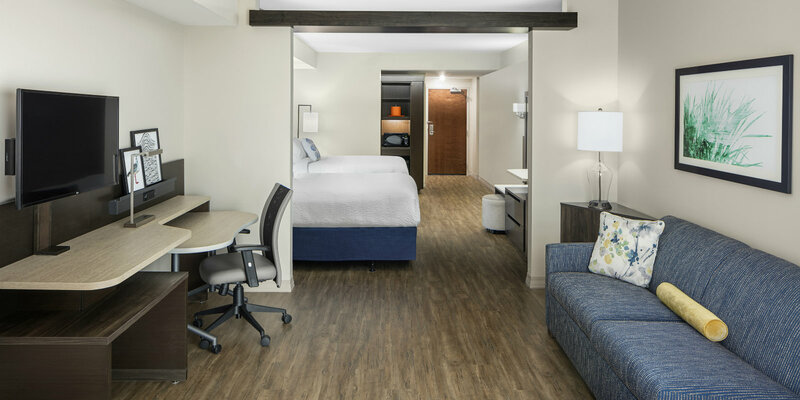 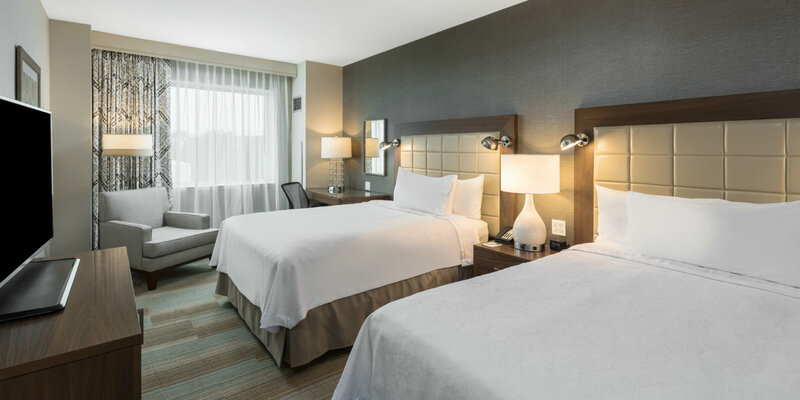 Easily access the University of Delaware, Delaware Park Racetrack, and Dover International Speedway from this thoughtfully situated hotel. 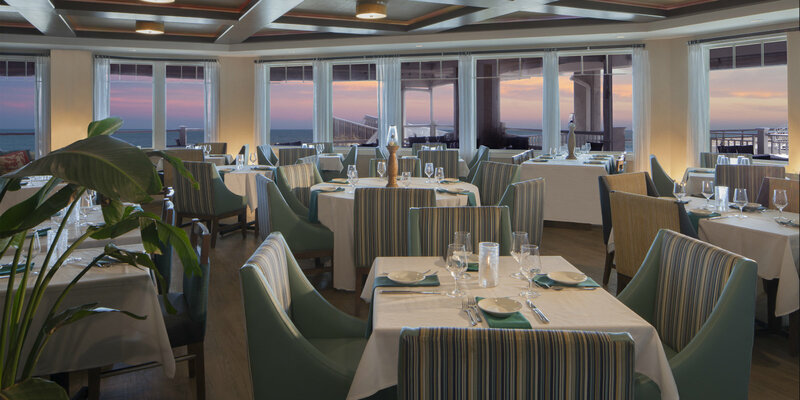 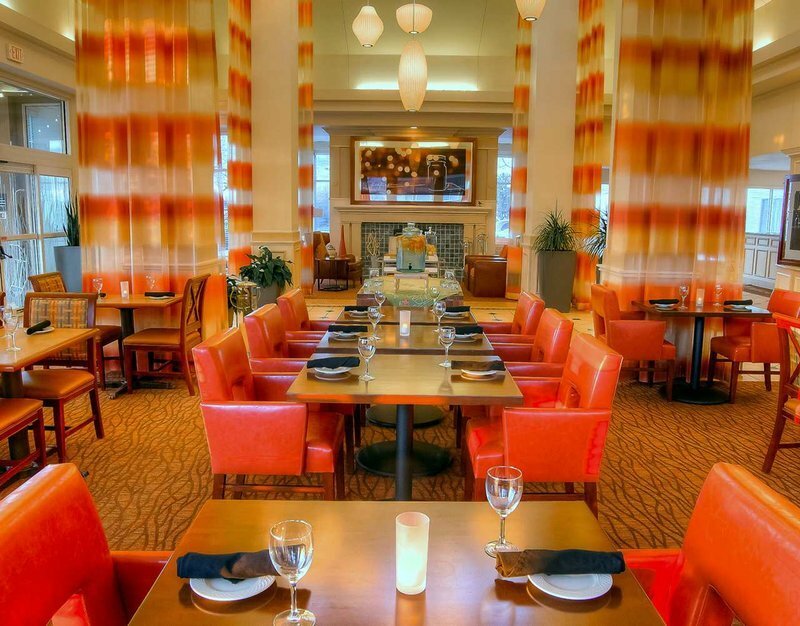 After a day of work or leisure, grab a bite & drink at our very own Farm-A-Sea Bistro & Crafthouse. 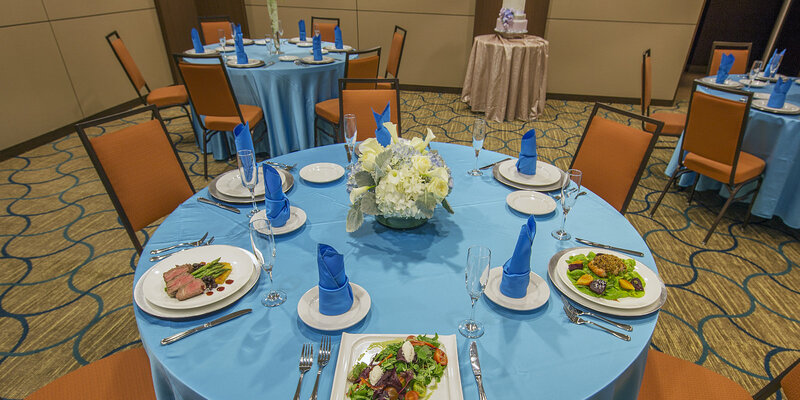 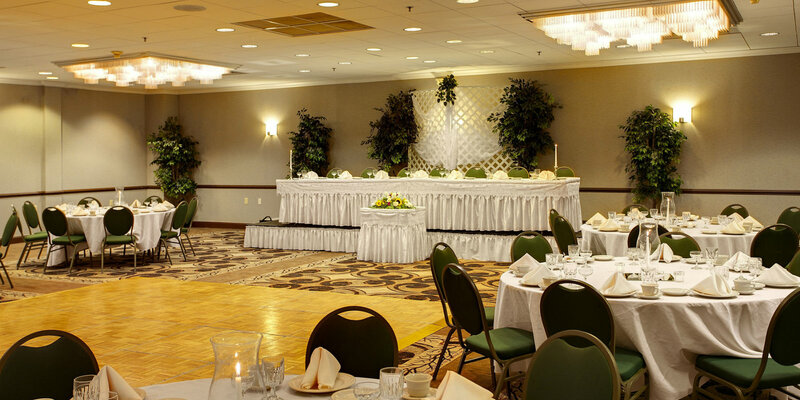 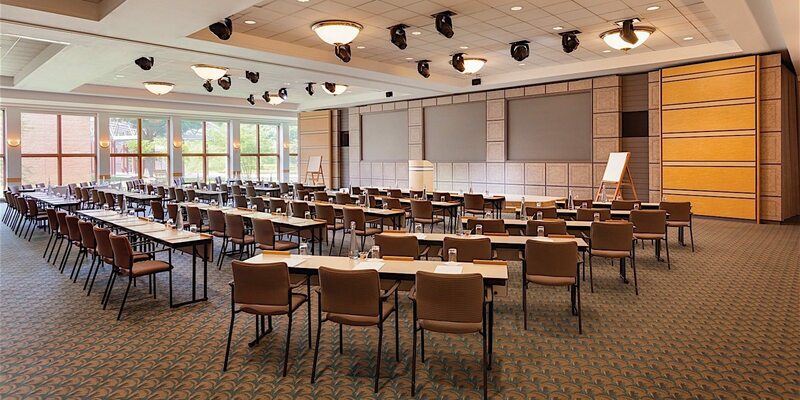 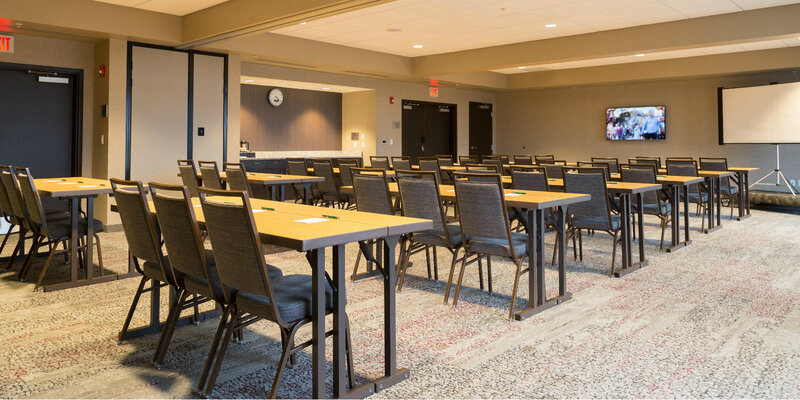 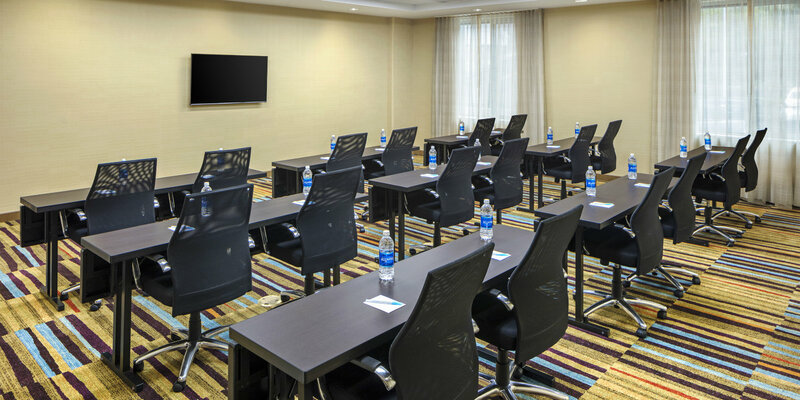 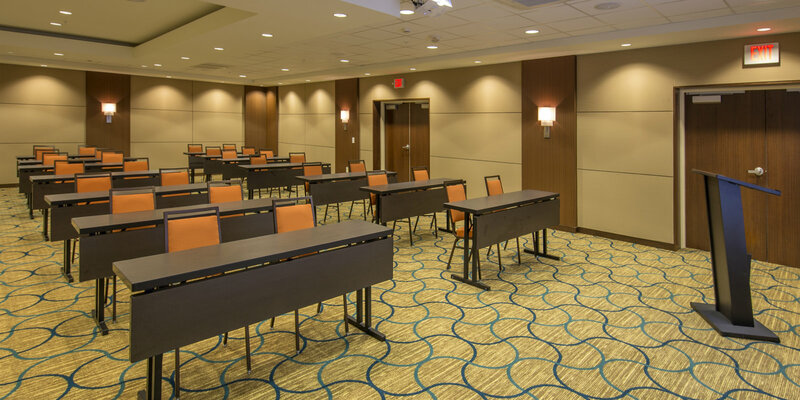 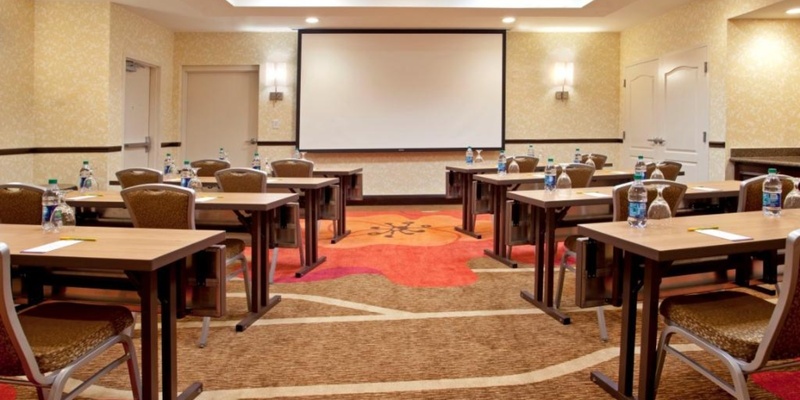 Plan your next 200 person event at Hilton Garden Inn Nashville/Smyrna. 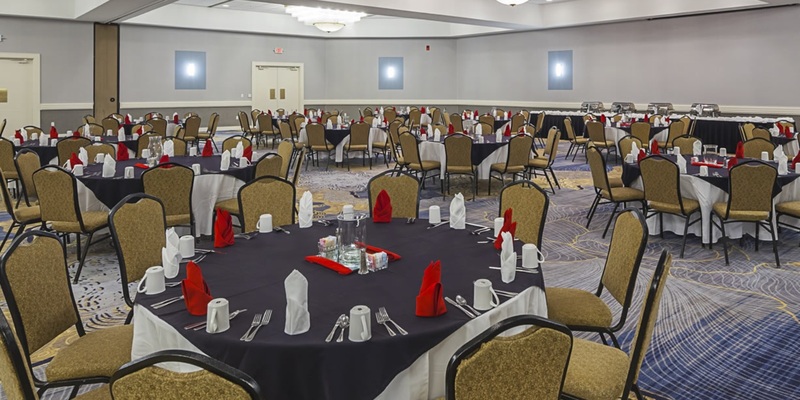 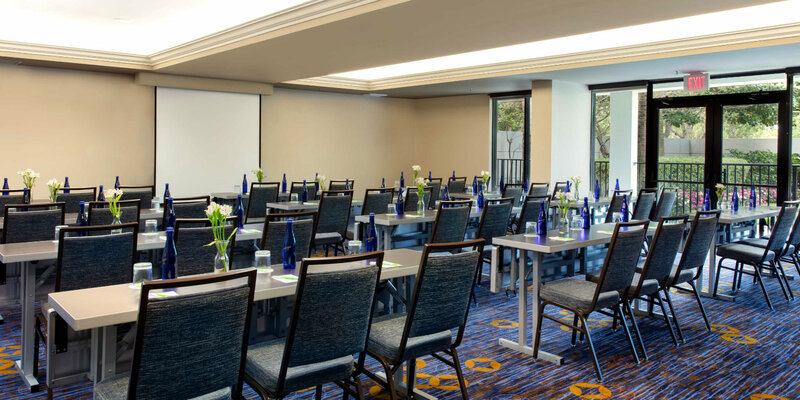 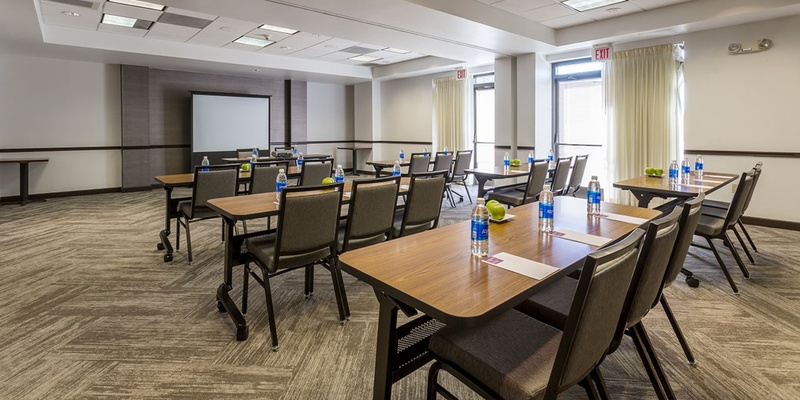 With over 1700 square feet of event space, our team of professionals will ensure your business meeting, wedding, or reunion will be an occasion to remember. 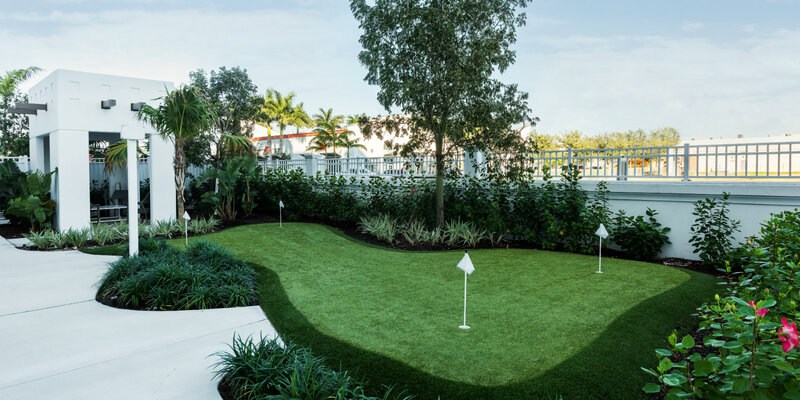 A five-hole putting green on the premises is yours to practice on during your stay along with a fitness center, full service restaurant, and business center. 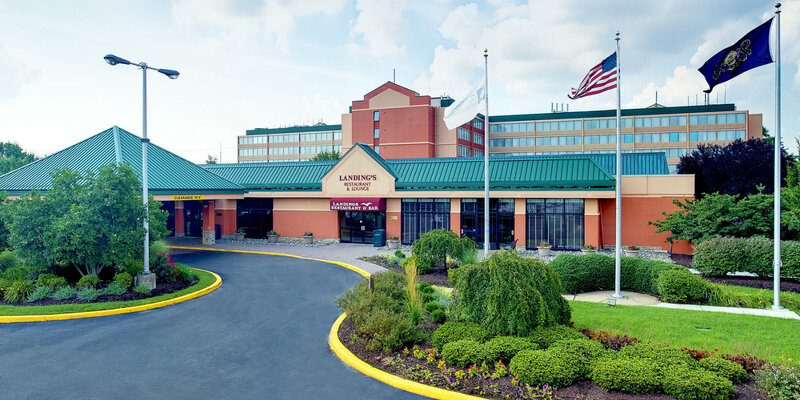 Located near the Philadelphia International Airport, Crowne Plaza Wilmington North is in Claymont, Delaware, just north of Wilmington. 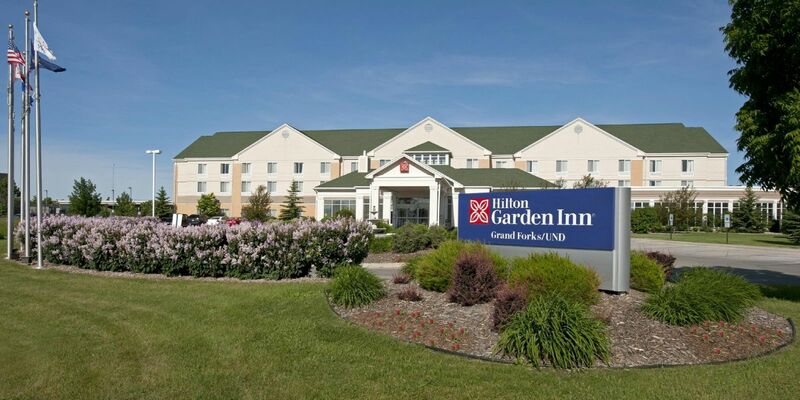 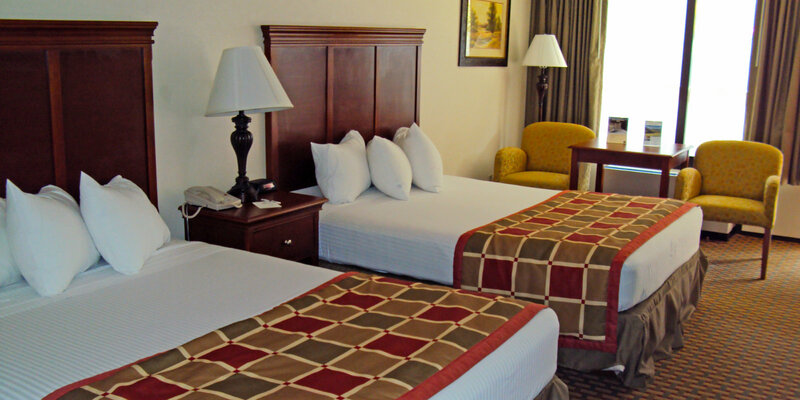 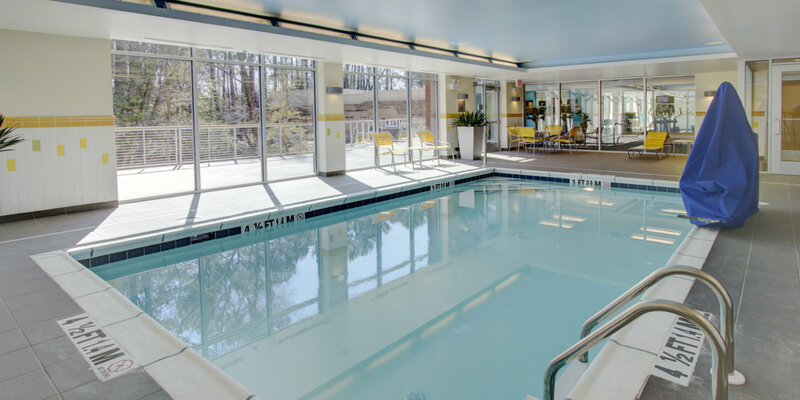 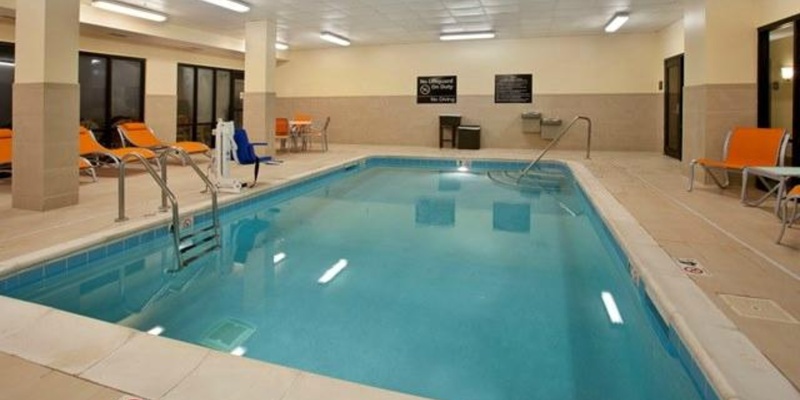 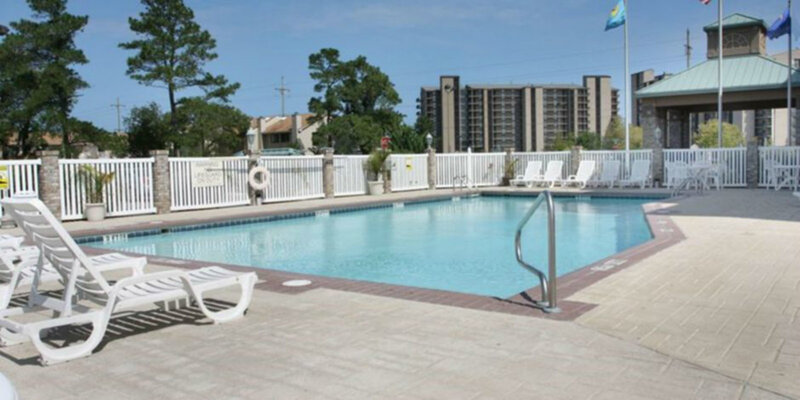 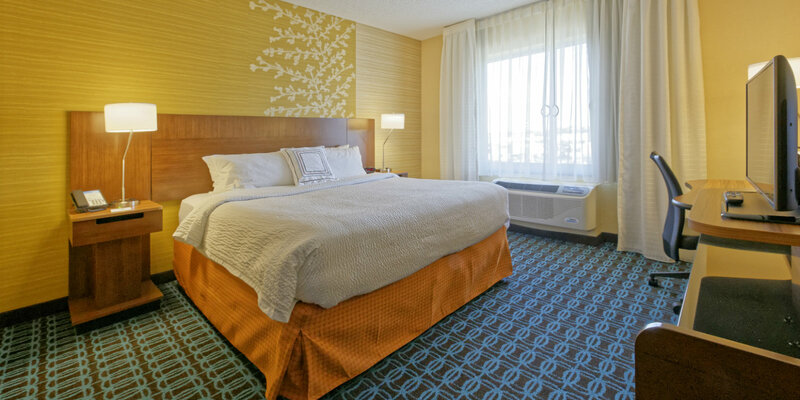 Comfortable guest rooms and suites, an outdoor pool, and a casual restaurant offer the perfect resting spot off I-95. 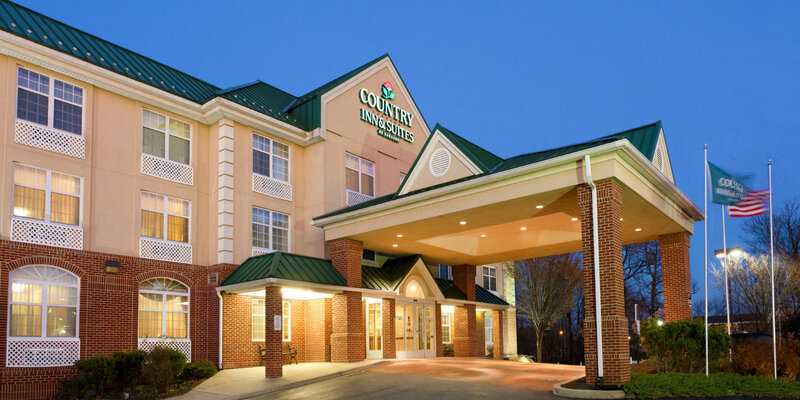 Country Inn & Suites is in the perfect spot to explore the Iron Hill Museum, play the slots at Delaware Park or hit the greens at Deerfield golf course. 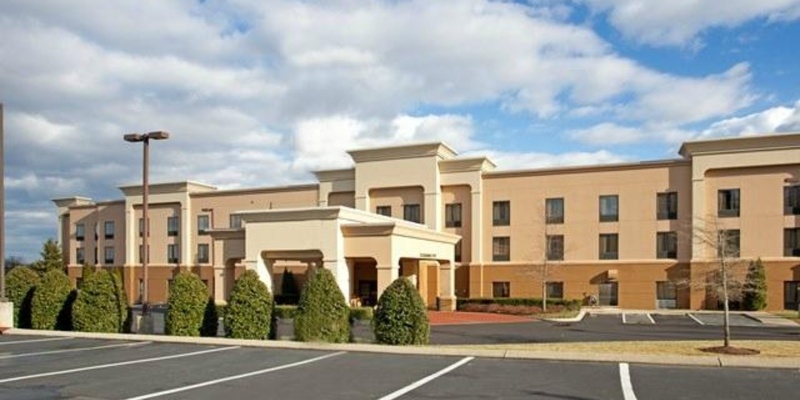 Families also love being near Christiana Mall and the University of Delaware, both a short drive away. 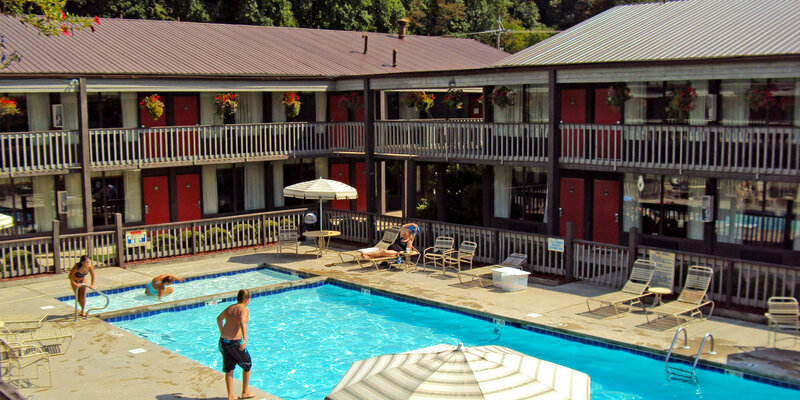 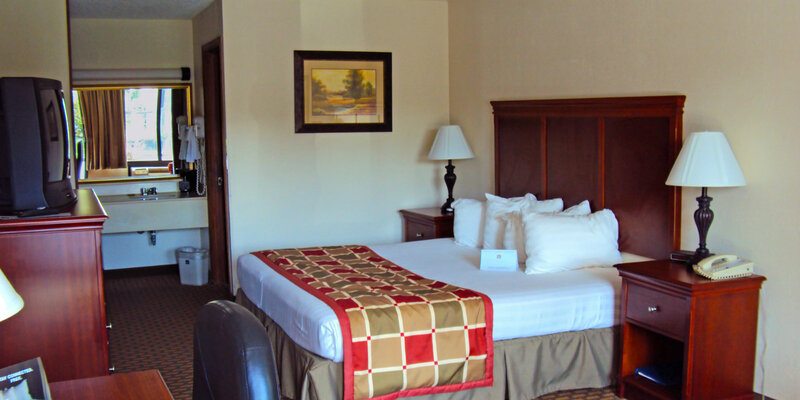 Nestled at the foot of the Smoky Mountains in Cherokee, NC is Great Smokies Inn. 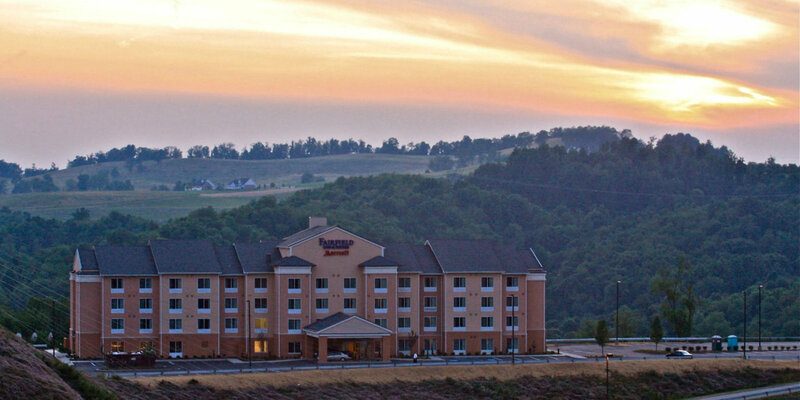 Take in nature, head to the renowned Harrah's Cherokee Casino, or explore the local Cherokee culture from this comfortable and convenient hotel. 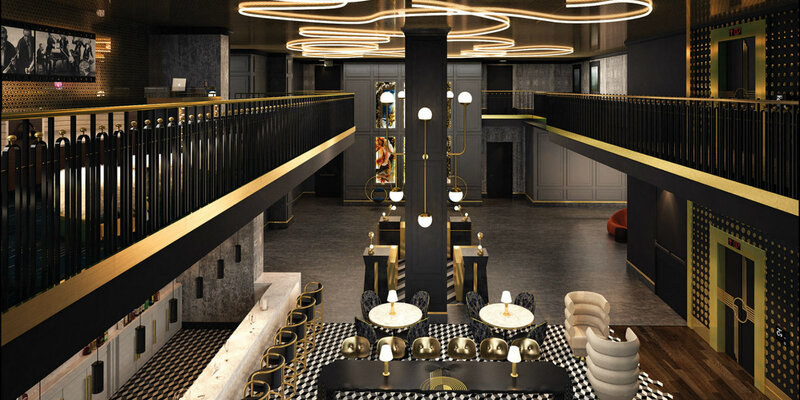 Under Development. 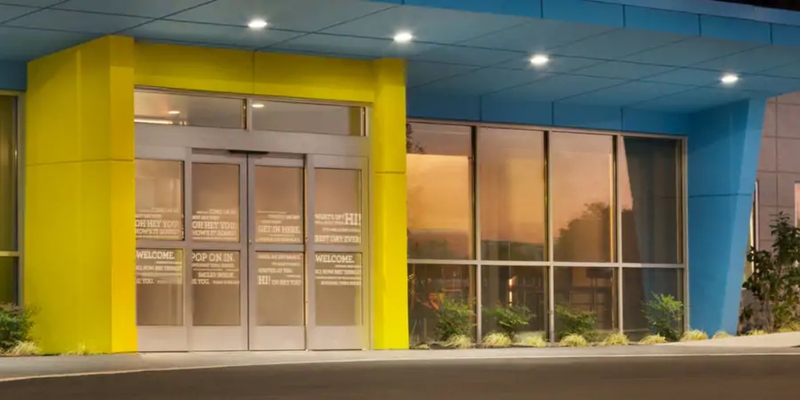 Opening in 2019. 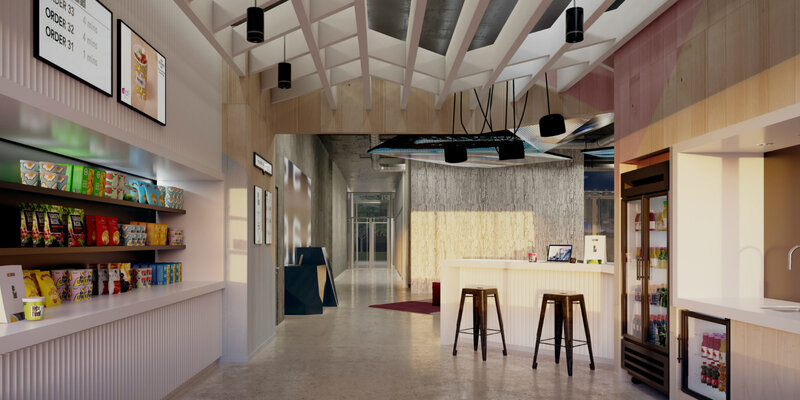 Under Development. 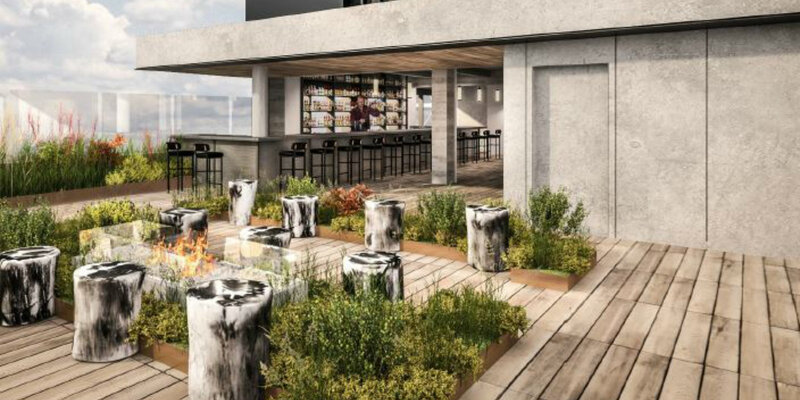 Tentative Opening in 2019.